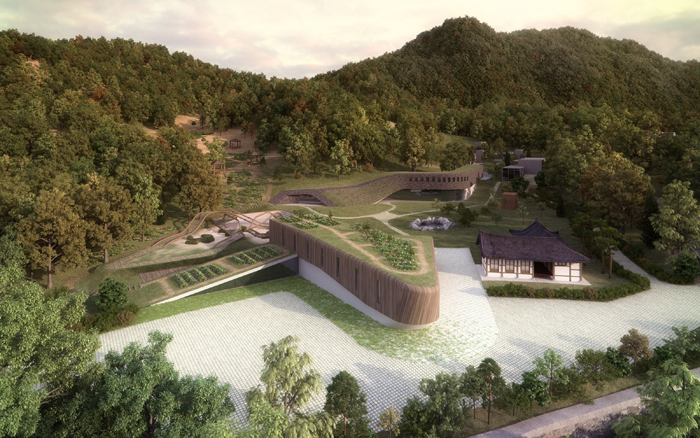 office53427 won 3rd prize in 'Schematic Design Service for Construction work National Memorial of Korean Provisional Govrnment'. 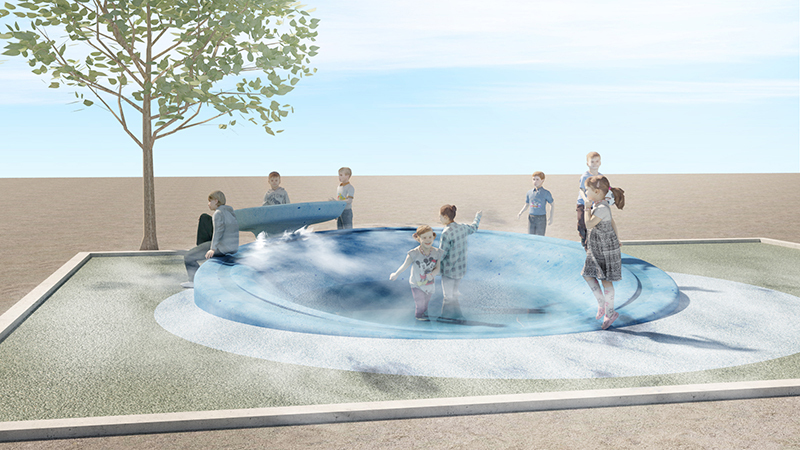 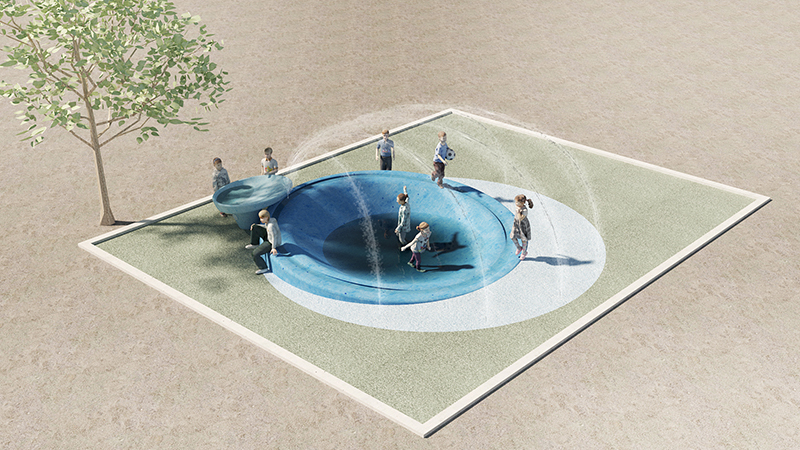 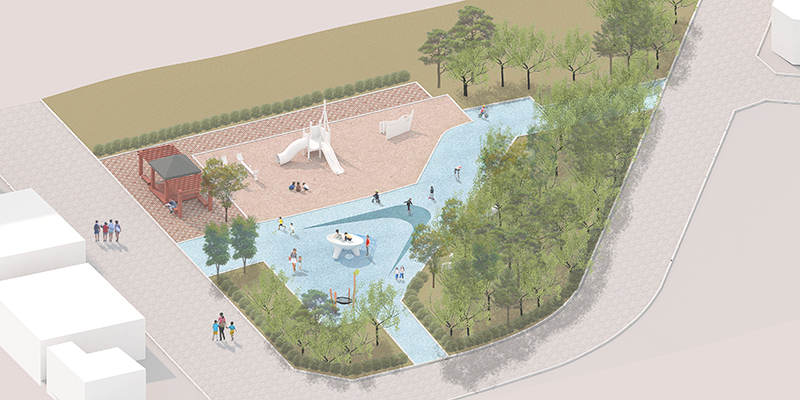 office53427 commissioned 'Bibong-myeon Singibangi Water Playground'. 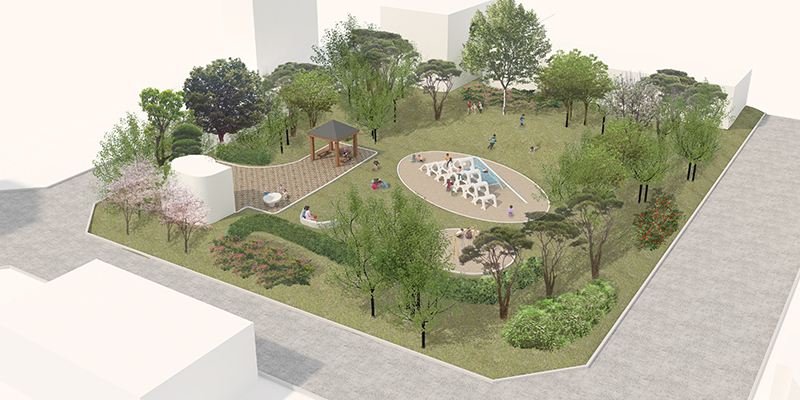 office53427 commissioned 'Playing Environmental Improvement Project'. 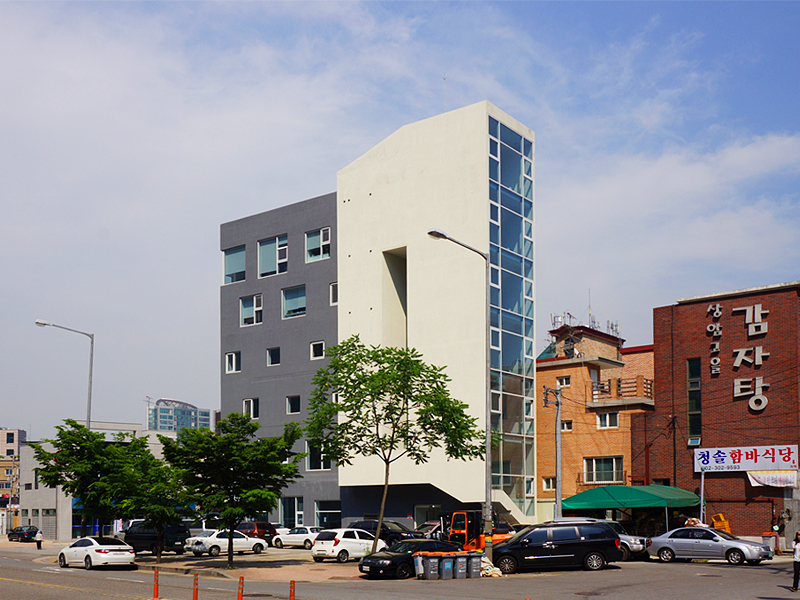 office53427 commissioned 'Busan-si Student Hotel'. 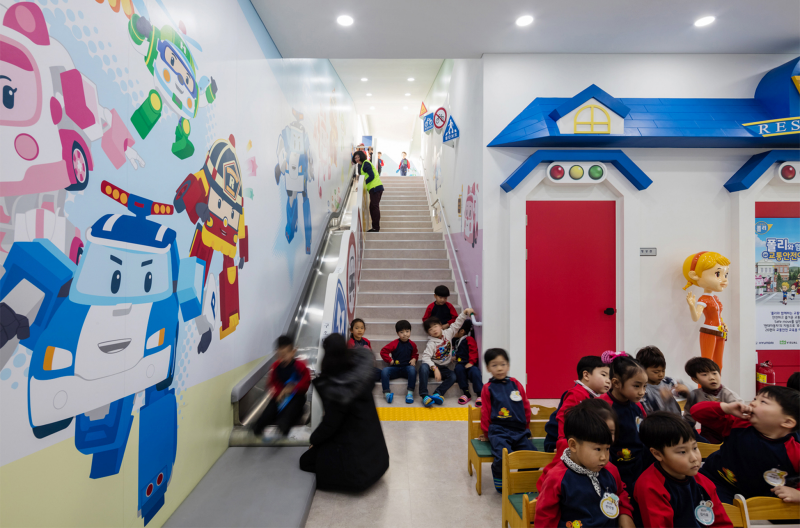 office53427 commissioned 'Yeoksam-dong Neighborhood Facility'. 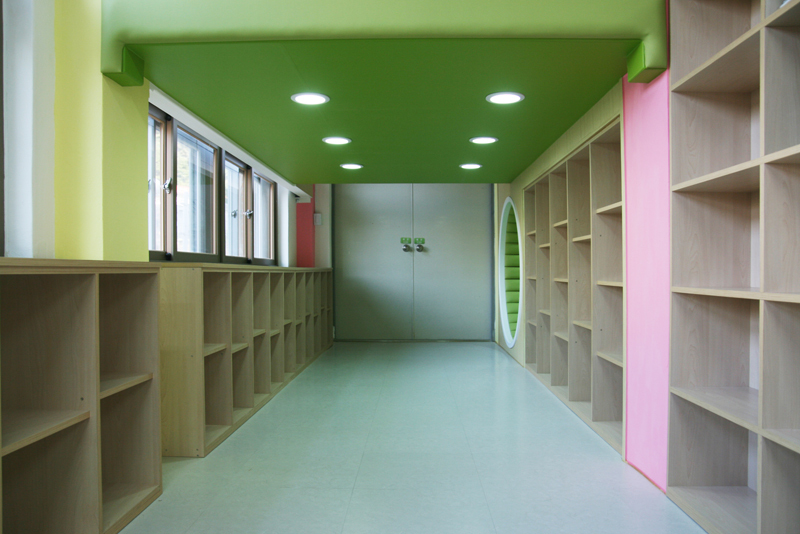 'SBTM Office Interior' was completed. 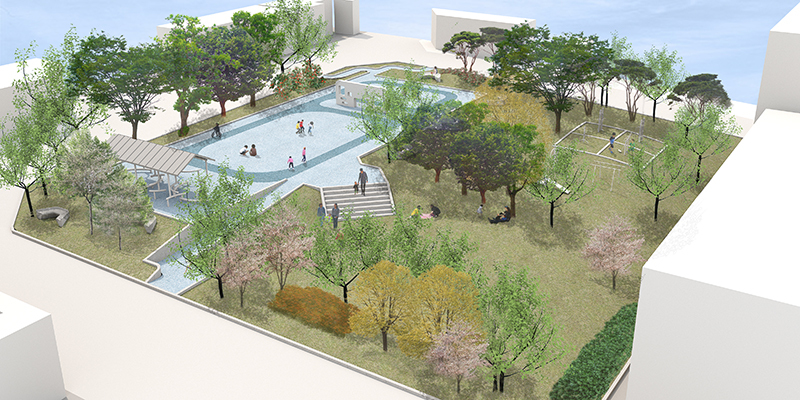 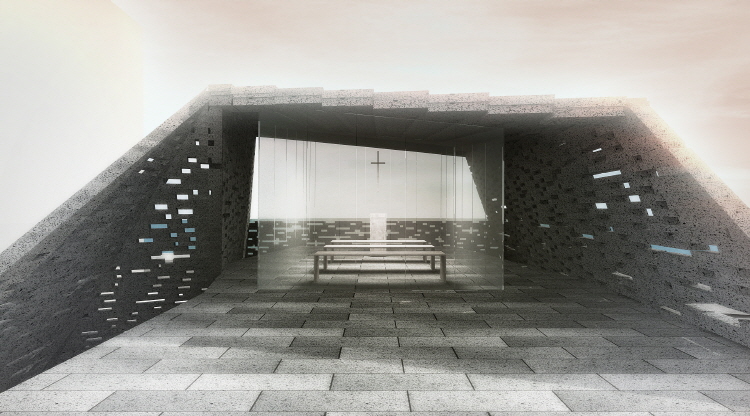 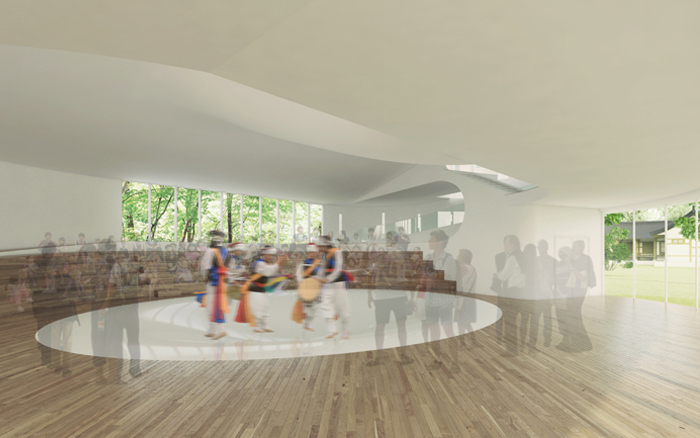 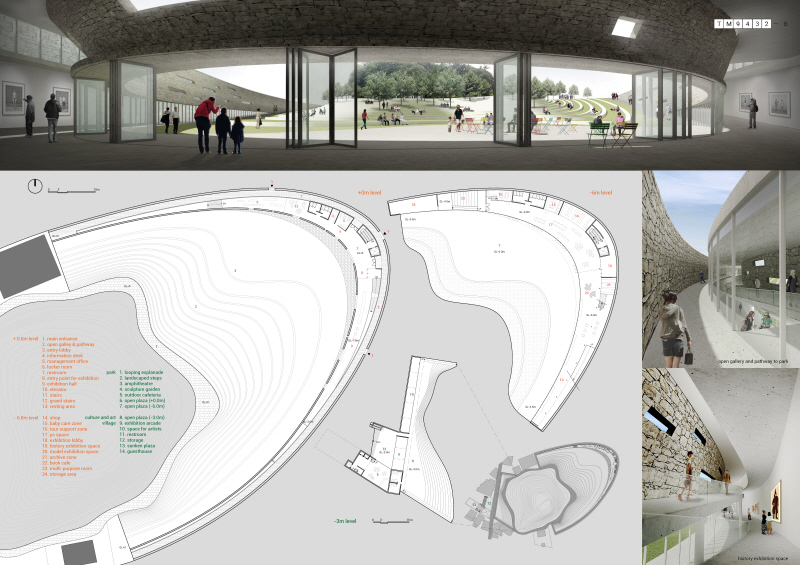 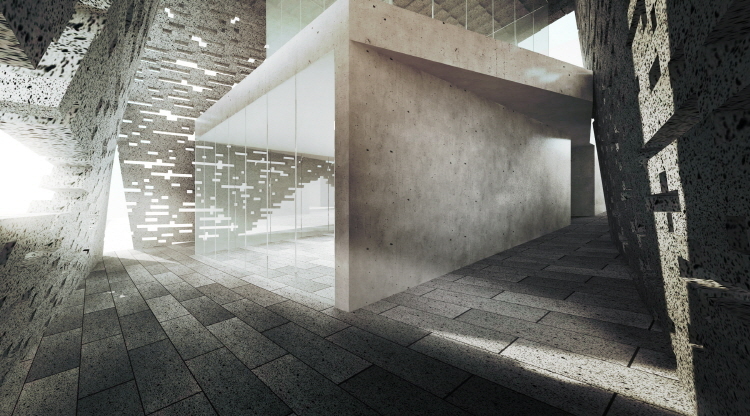 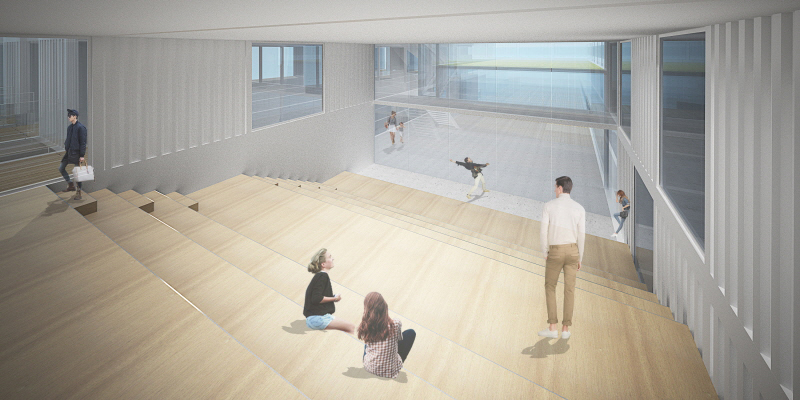 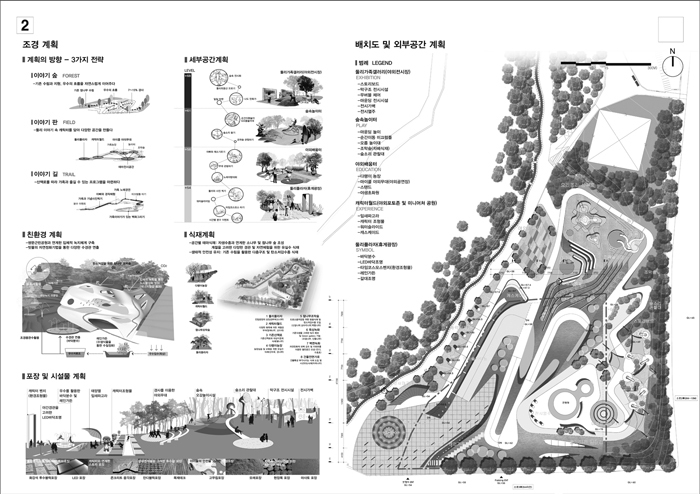 office 53427 + Prof. Sangyoun Lee (Yonsei University) + Studio M.R.D.O received an honorable mention in 'Yisabu Dokdo Memorial Park International Competition'. 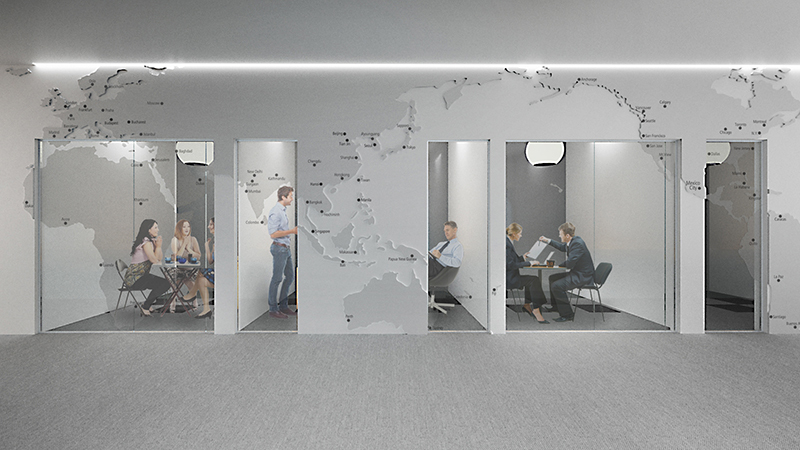 office53427 commissioned 'SBTM Office Interior'. 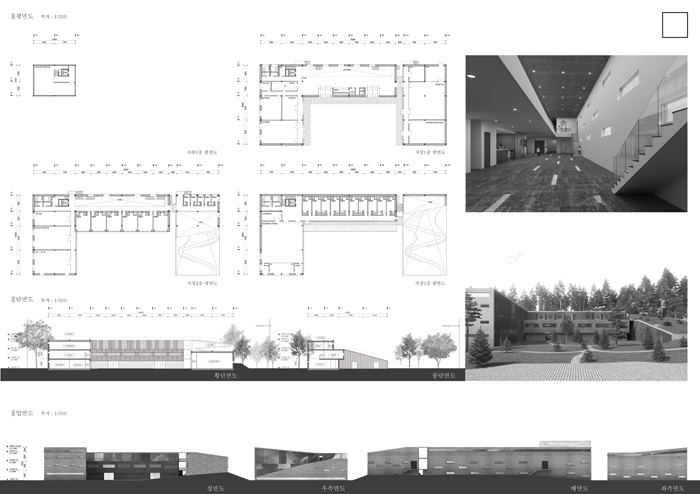 office53427 participated in 'Asan-si Mall Competition'. 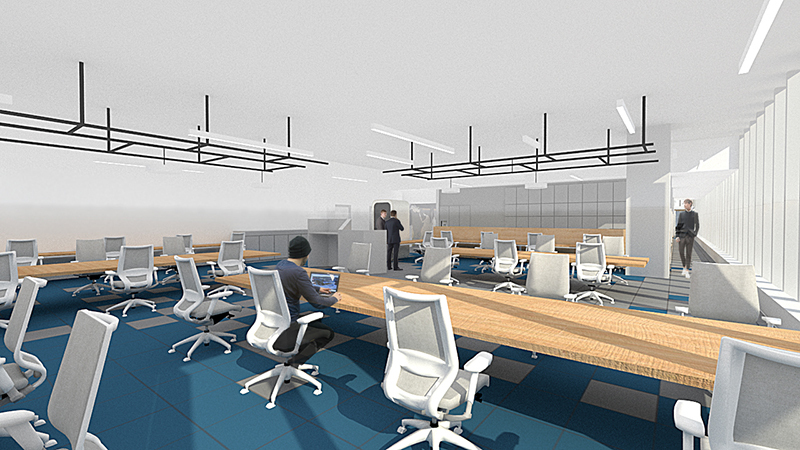 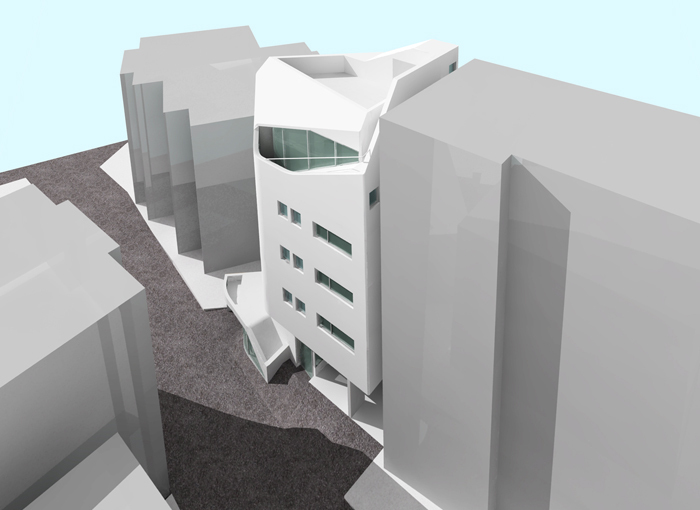 office53427 finished 'Conceptual Design of Jangchung-dong Office Building'. 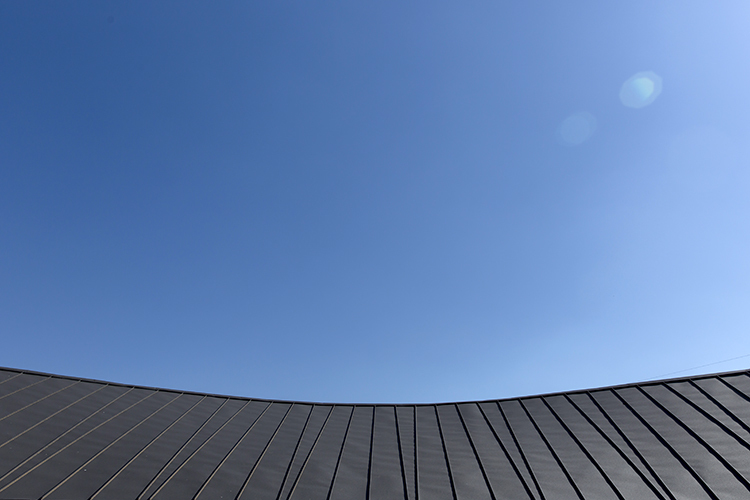 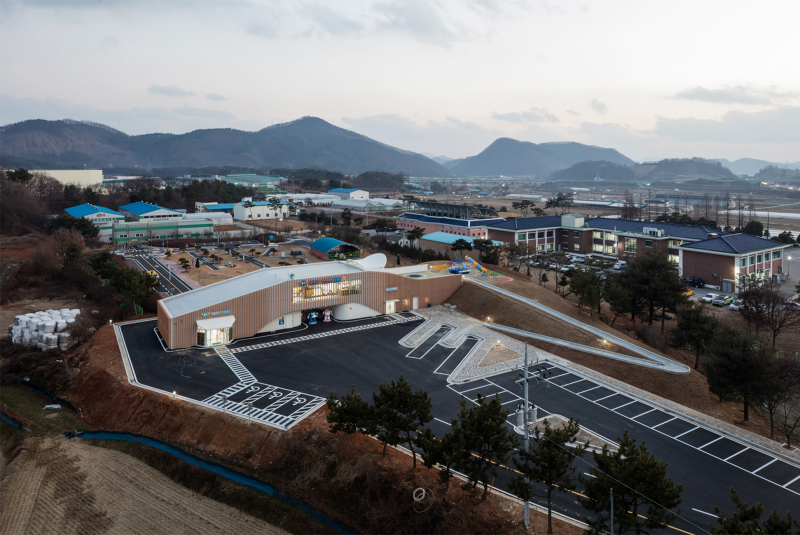 'Gongju-si Public Safety Education Center' was completed. 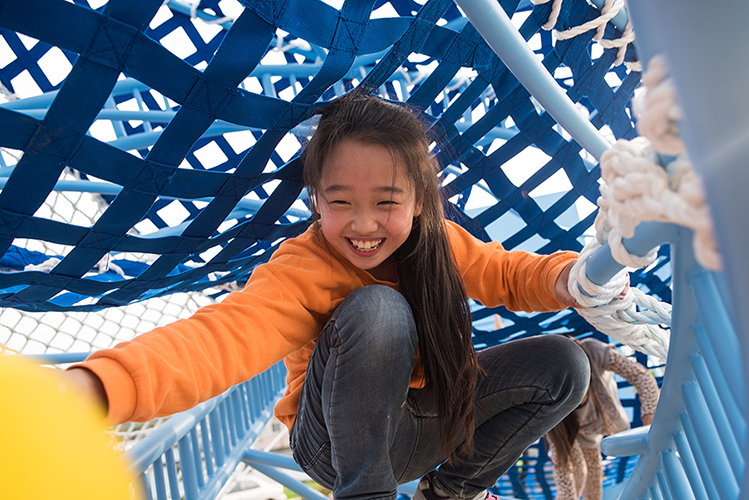 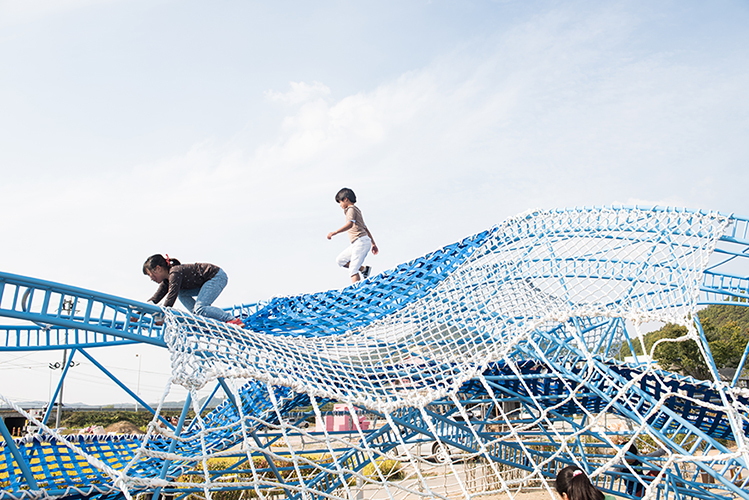 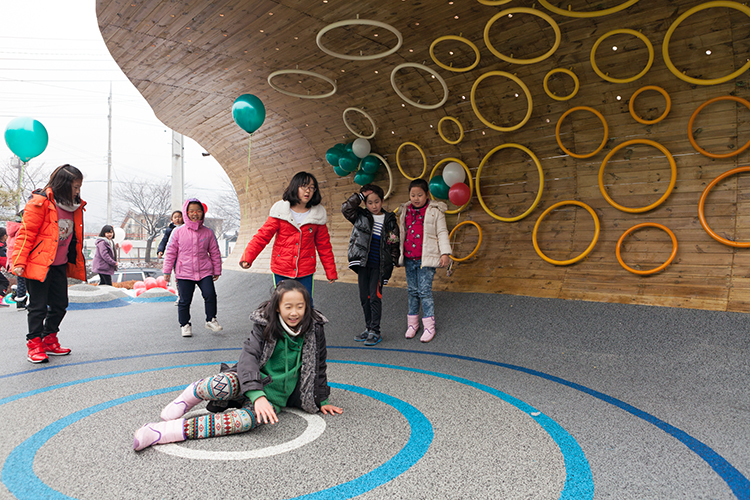 office53427 + Prof. Jooeun Sung + openplus architects won 3rd prize in '2016 Korea Public Design Award' as 'Save the Children's Rural Children Support Project - Wanju-gun Singibangi Playground'. 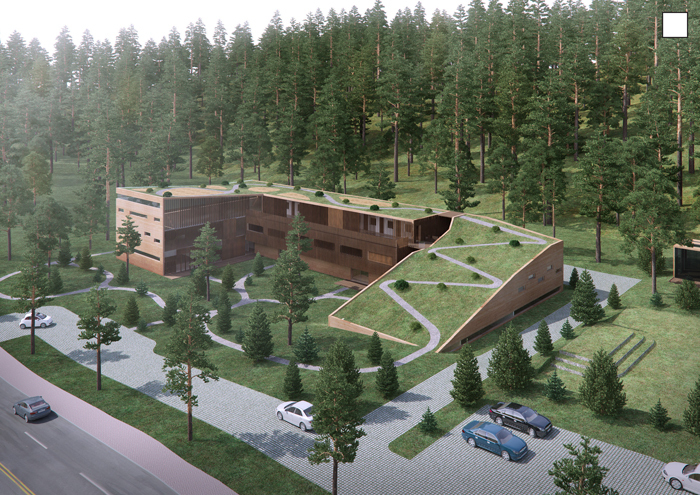 'Naum Childhood Cancer Center' was completed. 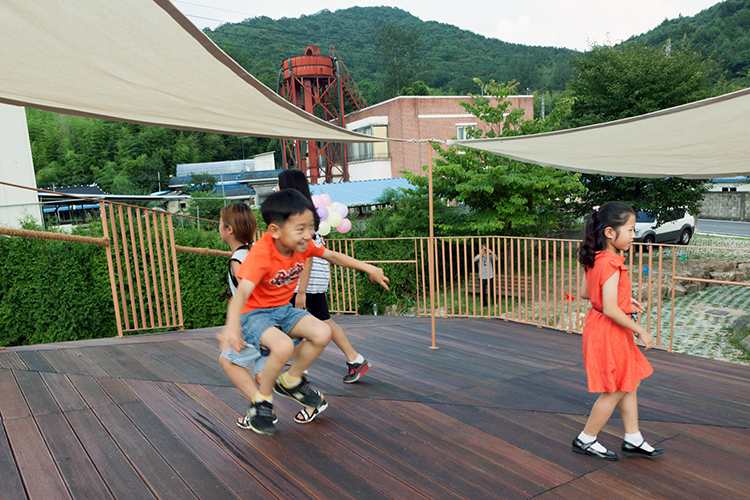 'Save the Children's Rural Children Support Project - Wanju-gun Singibangi Playground' was completed. 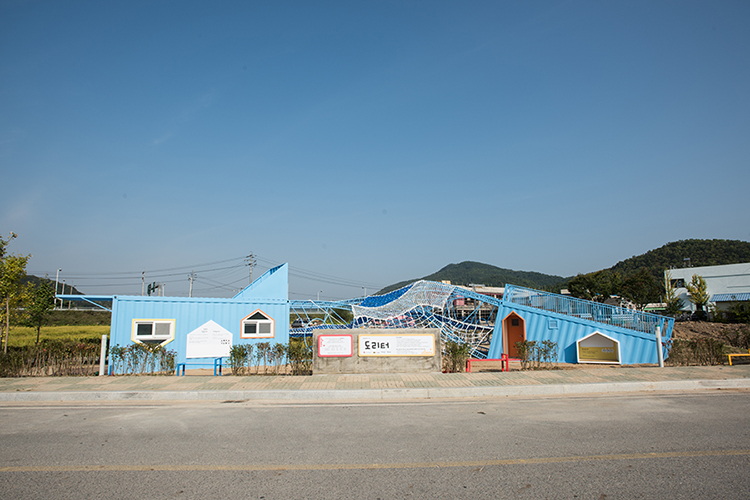 'Save the Children's Rural Children Support Project - Euisung-gun Angye Children Care Center' was completed. 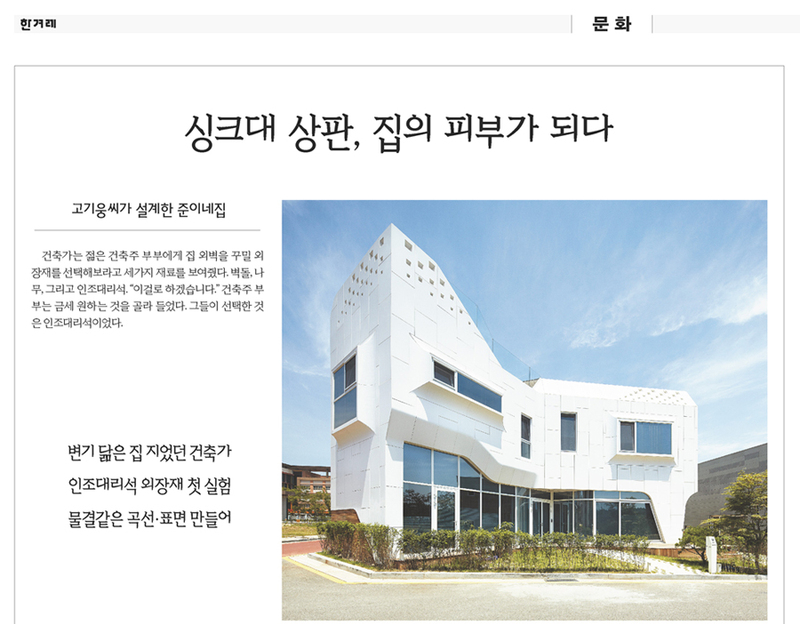 office53427 was elected in 'Kim Swoo Geun Preview' as 'Aewol-eup Church Stay'. 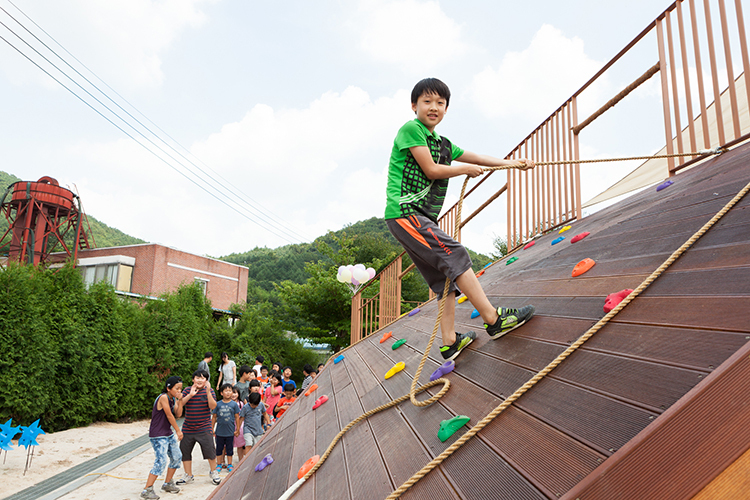 'Outdoor Stage in Paju Book City' was completed. 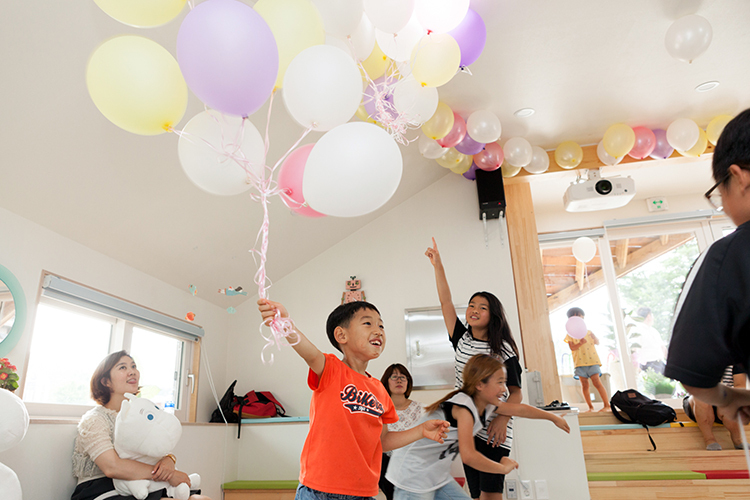 'Save the Children's Rural Children Support Project - Wanju-gun Nolja Children Care Center' was completed. 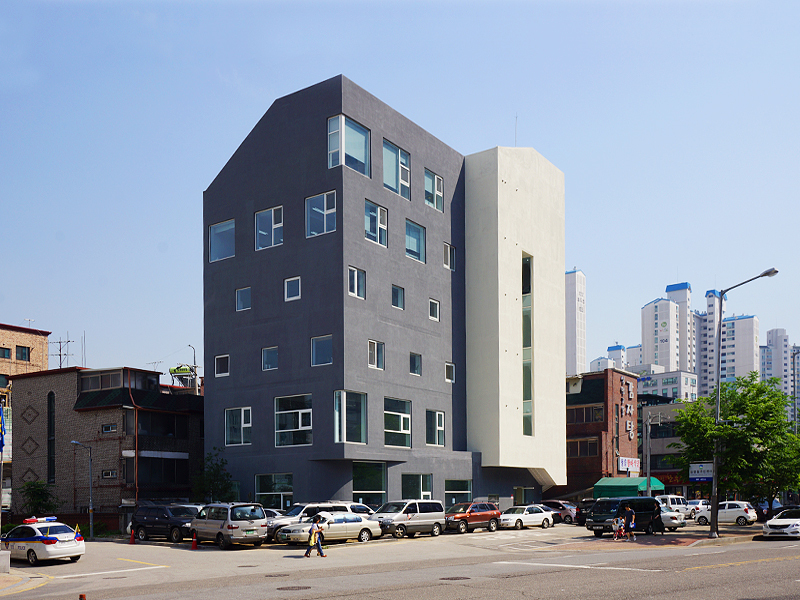 office53427 commissioned 'Aewol-eup Church Stay'. 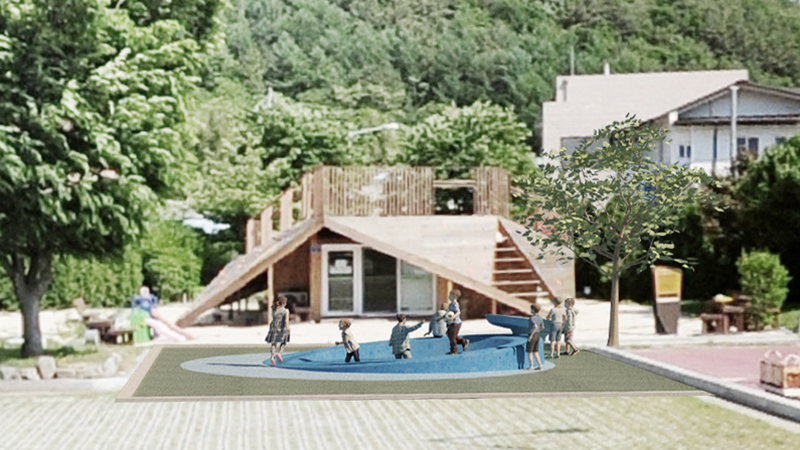 'Save the Children's Rural Children Support Project - Youngwol-gun Jomulrak Playground' was completed. 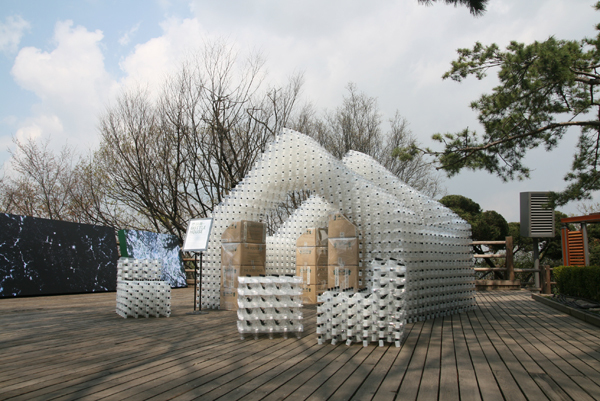 office53427 presented 'Simply Complex' under the theme of 'Out of the Box: Construction Materials of Construction' at Kumho Museum. 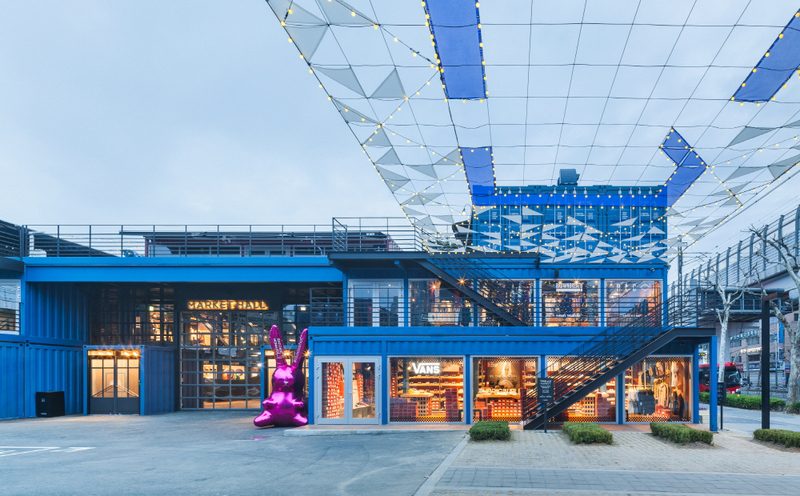 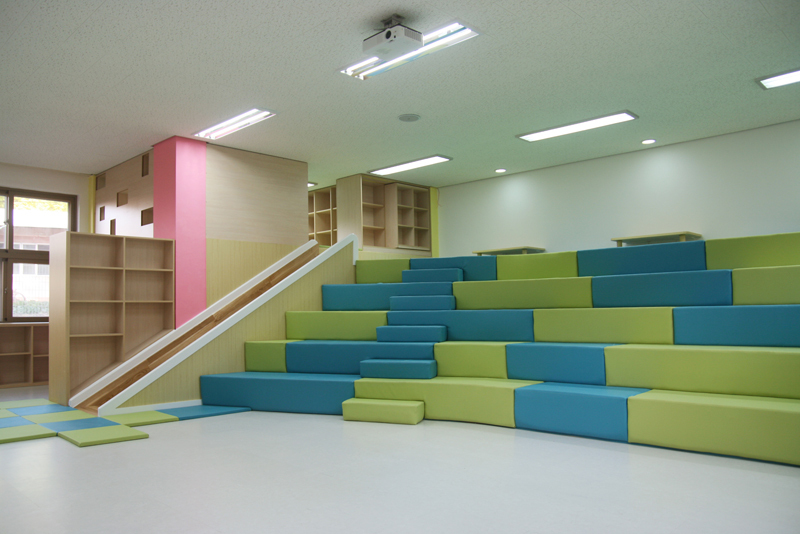 office53427 commissioned 'Outdoor Stage in Paju Book City'. 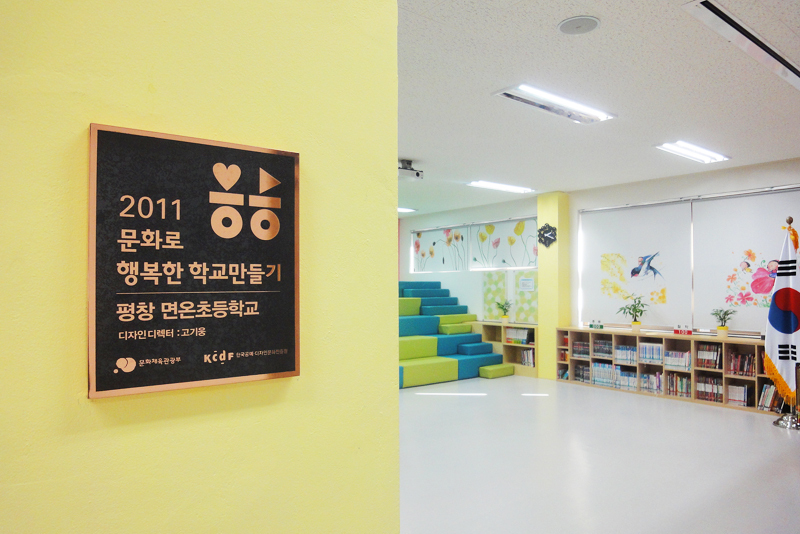 'Save the Children's Rural Children Support Project - Youngwol-gun Children Care Center' was completed. 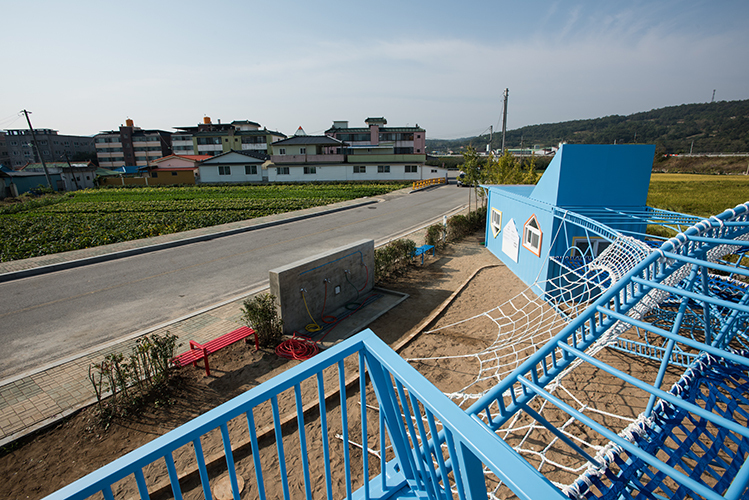 'Save the Children's Rural Children Support Project - Euisung-gun After-school Playground' was completed. 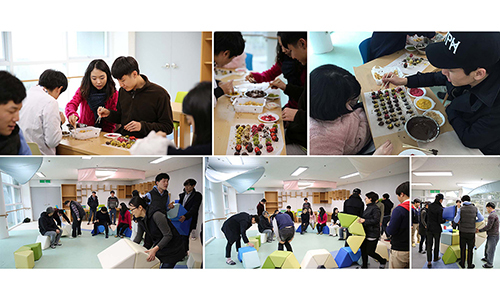 office53427 + Prof. Jooeun Sung + openplus architects held a workshop for 'Save the Children's Rural Children Support Project - Wanju-gun Children Care Center'. 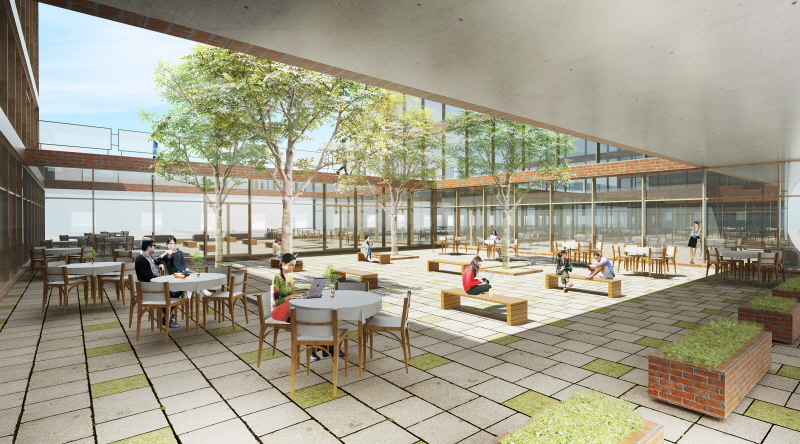 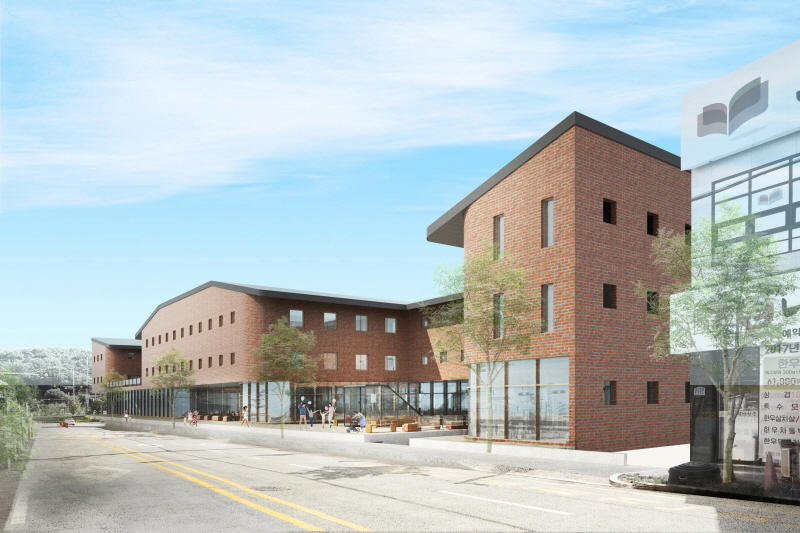 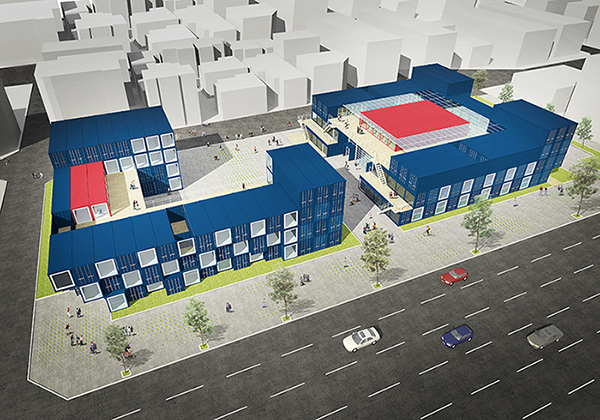 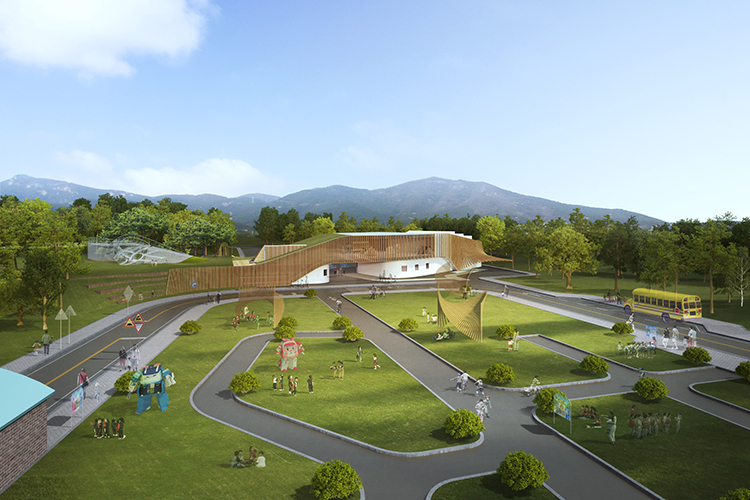 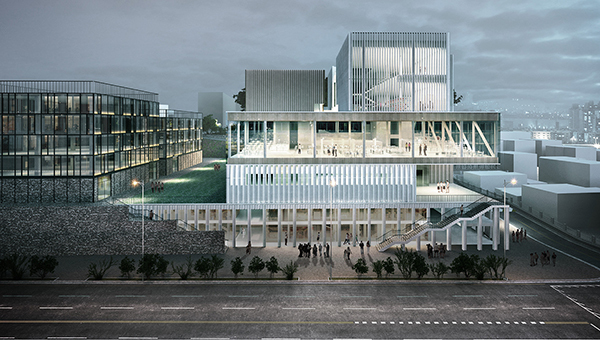 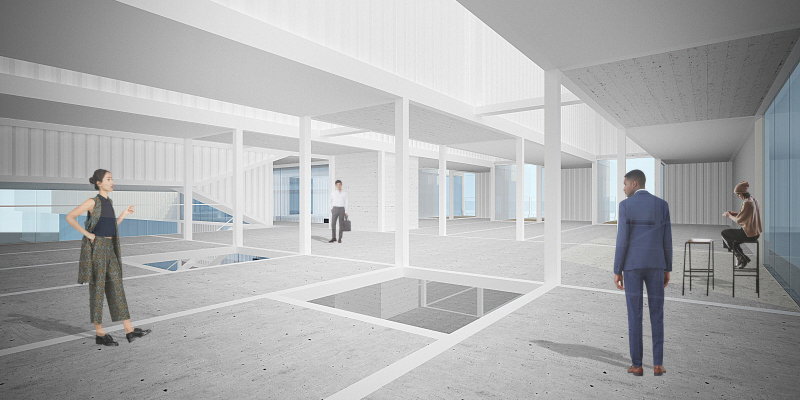 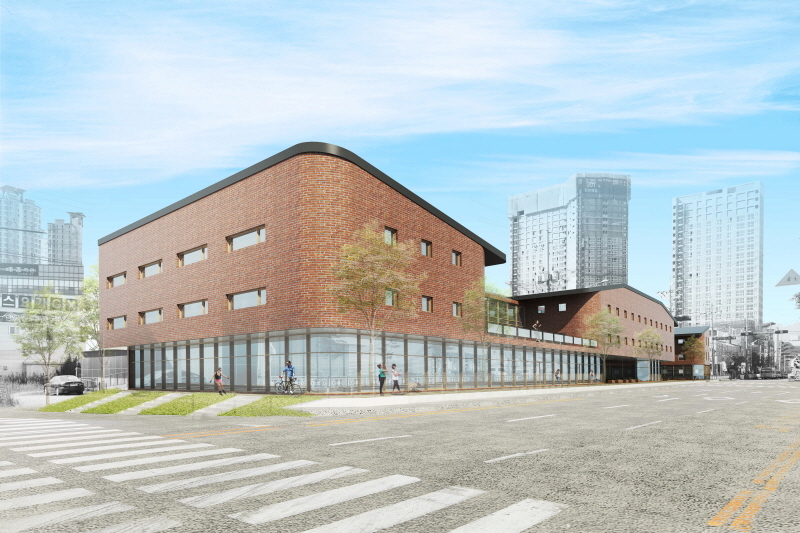 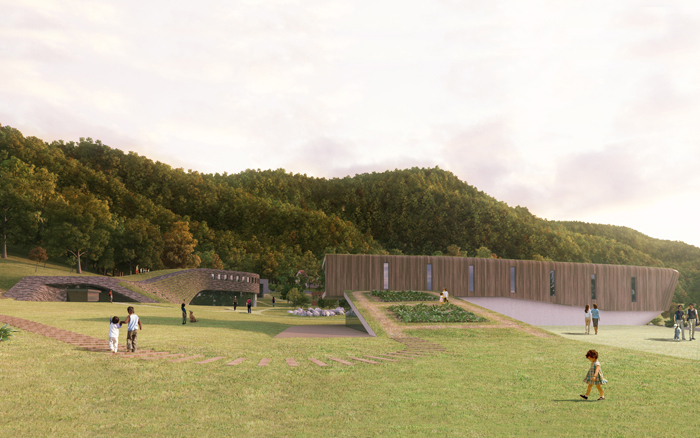 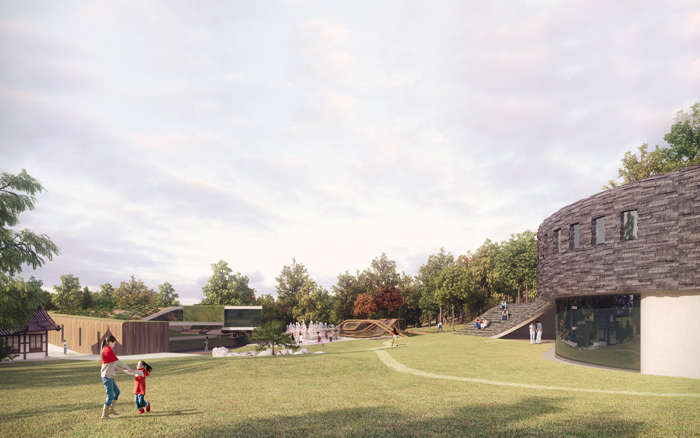 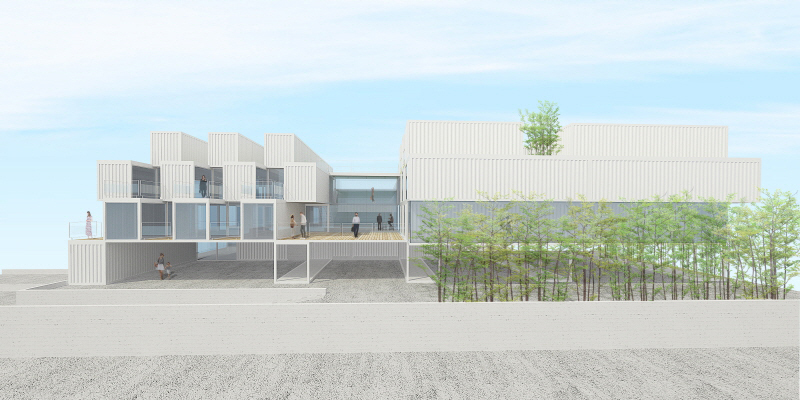 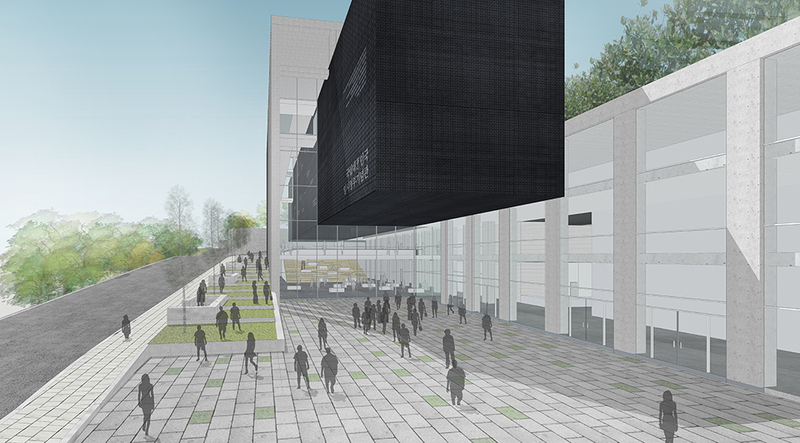 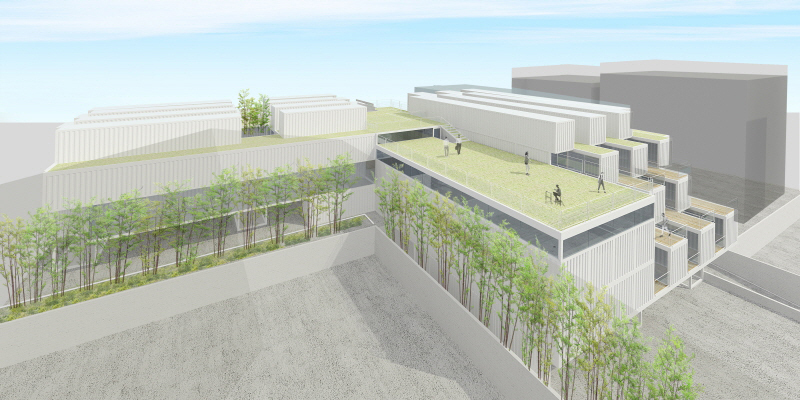 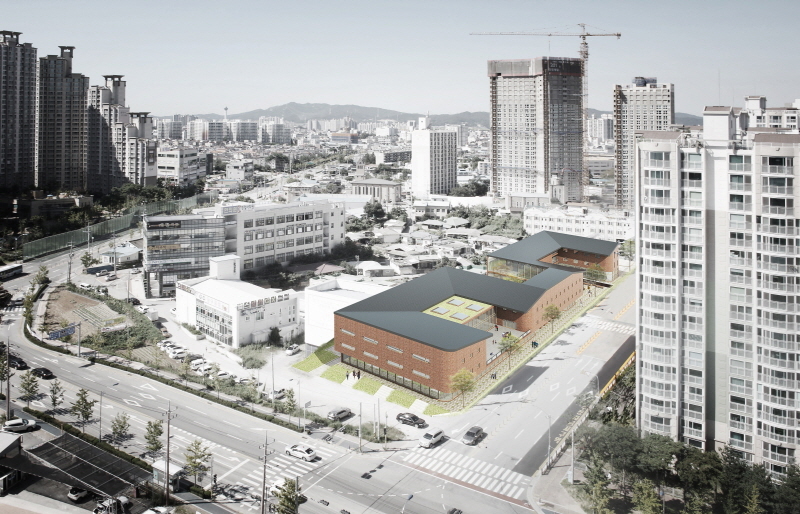 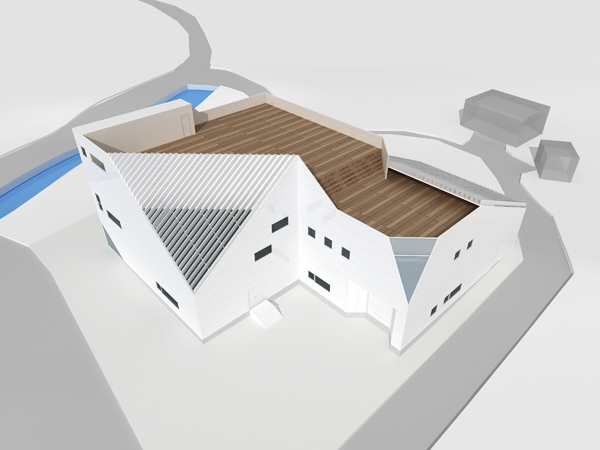 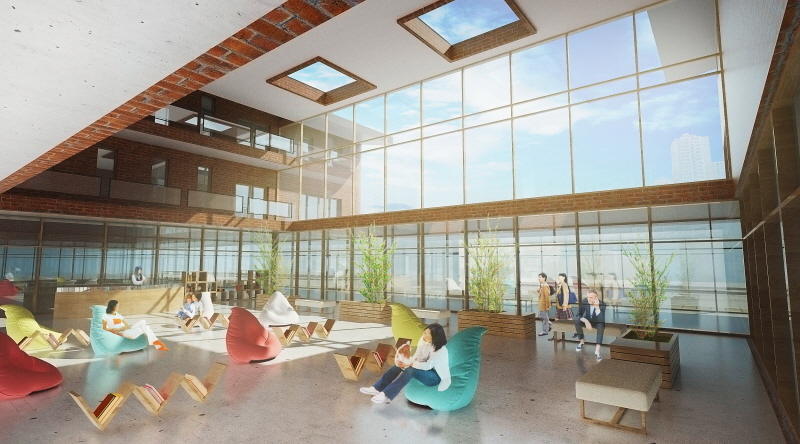 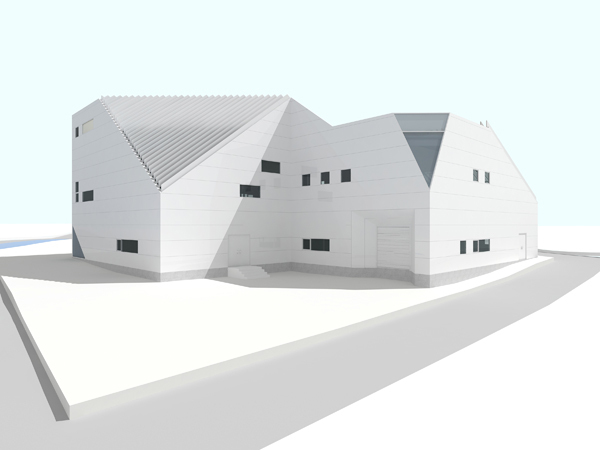 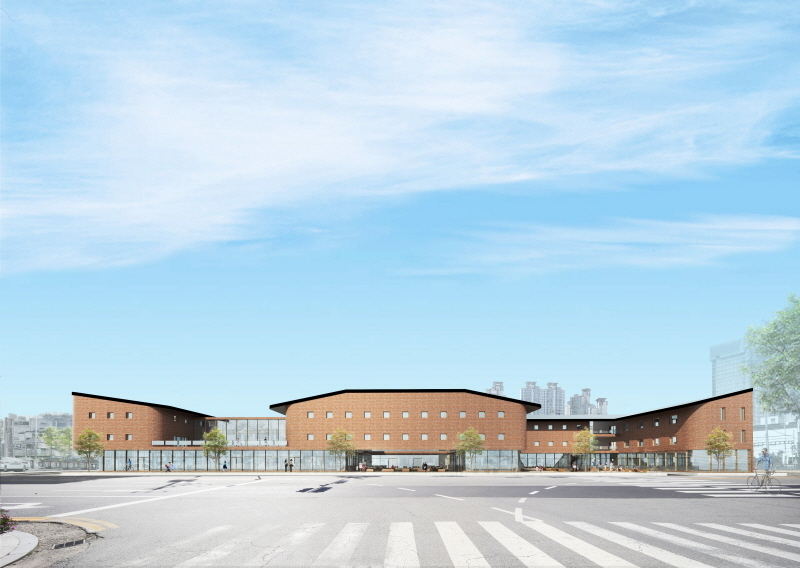 office53427 was elected in 'Gongju-si Public Safety Education Center Competition'. 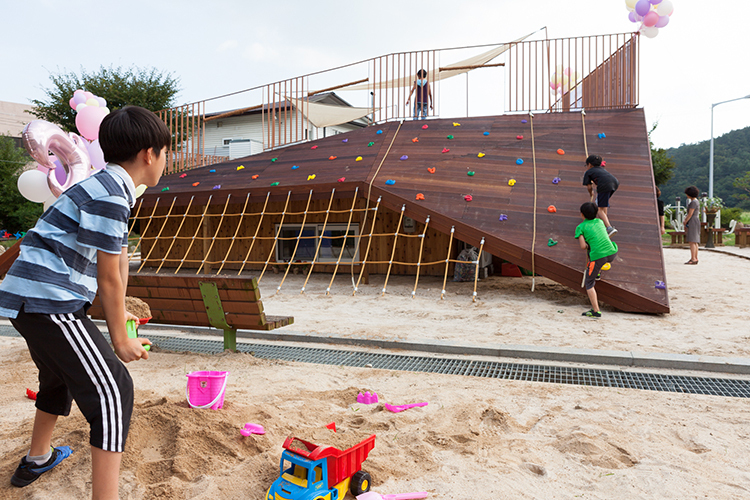 office53427 + Prof. Jooeun Sung + openplus architects held a workshop for 'Save the Children's Rural Children Support Project - Wanju-gun After-school Playground'. 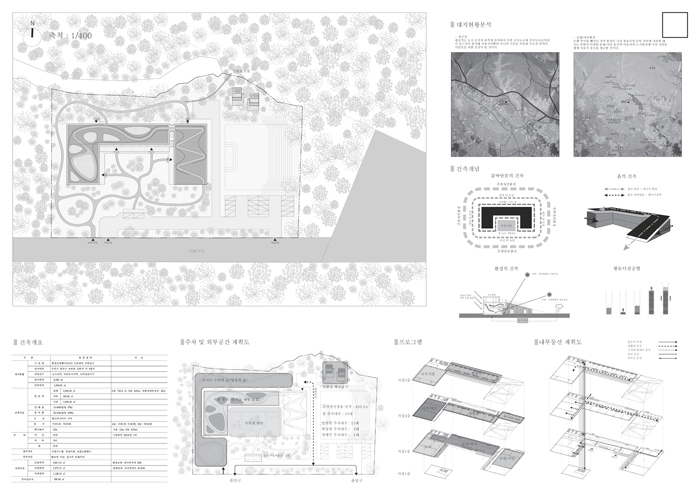 office53427 + Prof. Jooeun Sung + openplus architects held a workshop for 'Save the Children's Rural Children Support Project - Youngwol-gun Children Care Center'. 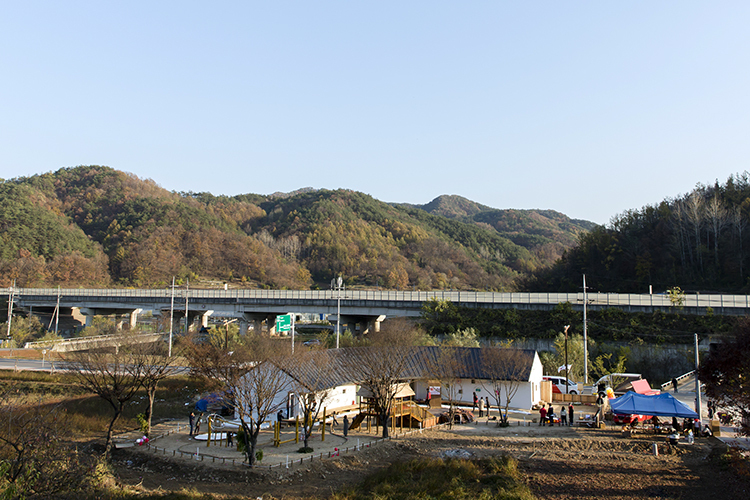 office53427 + Prof. Jooeun Sung + openplus architects held a workshop for 'Save the Children's Rural Children Support Project - Euisung-gun Children Care Center'. 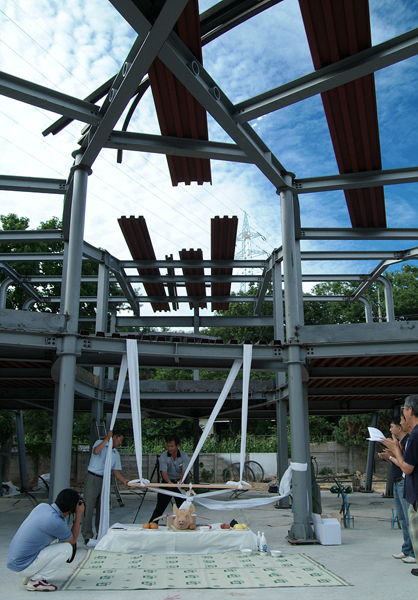 office53427 + Prof. Jooeun Sung + openplus architects held a workshop for 'Save the Children's Rural Children Support Project - Youngwol-gun After-school Playground'. 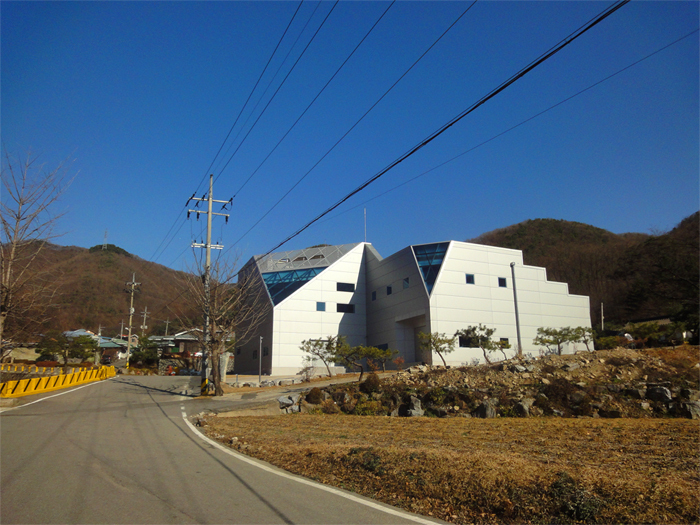 'Jangwi-2-dong Community Center' was completed. 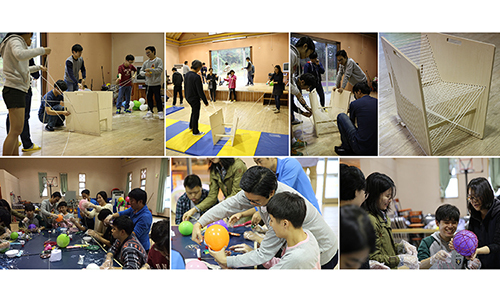 office53427 + Prof. Jooeun Sung + openplus architects held a workshop for 'Save the Children's Rural Children Support Project - Euisung-gun After-school Playground'. 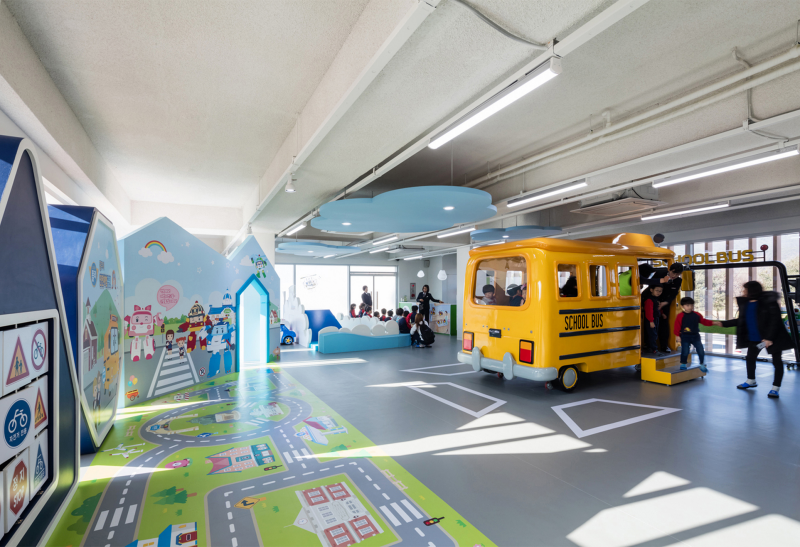 office53427 commissioned 'Naum Childhood Cancer Center'. 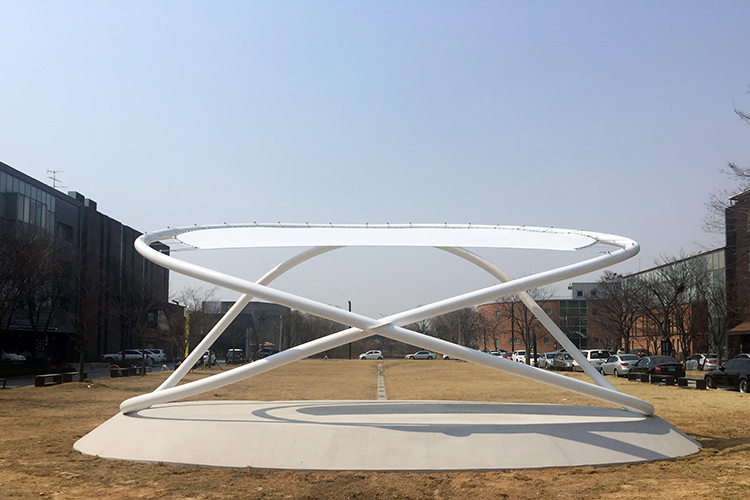 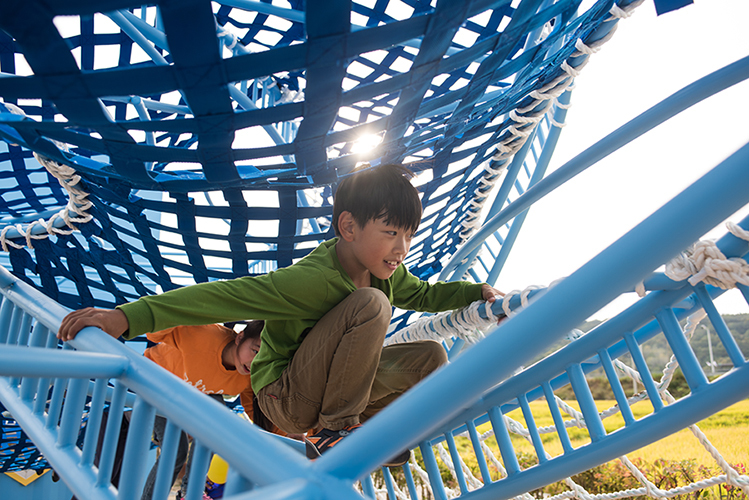 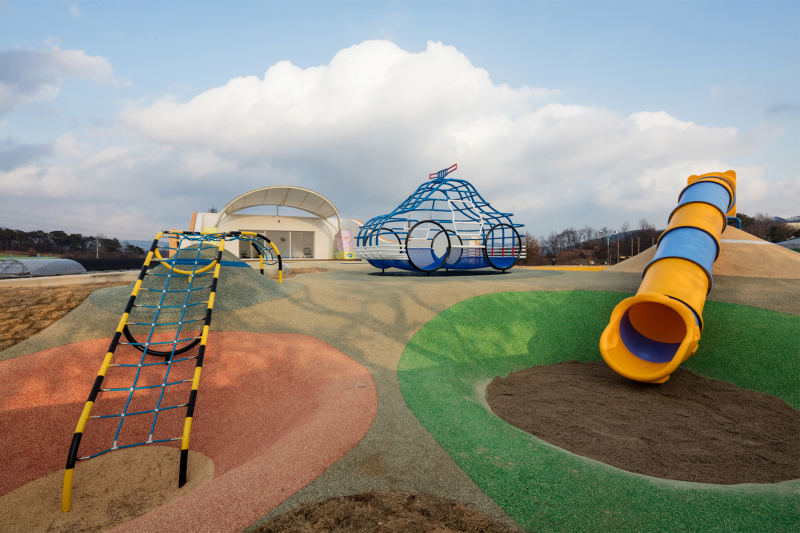 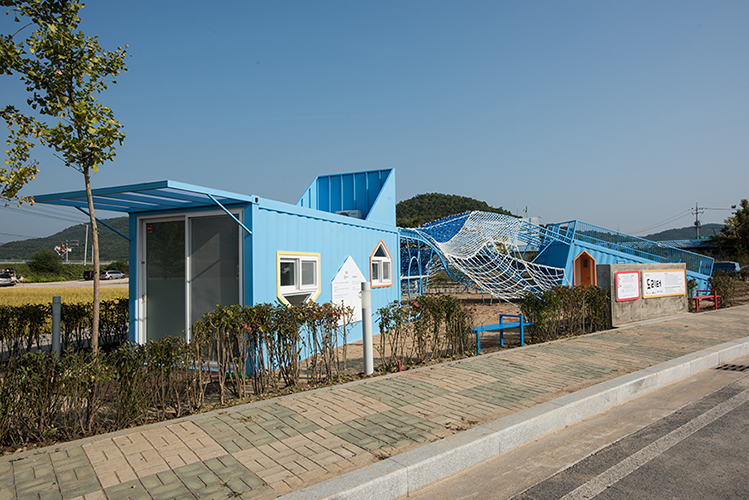 office53427 + Prof. Jooeun Sung + openplus architects commissioned 'Save the Children's Rural Children Support Project - After-school Playground and Children Care Center in Euisung-gun, Yeongwol-gun,Wanju-gun'. 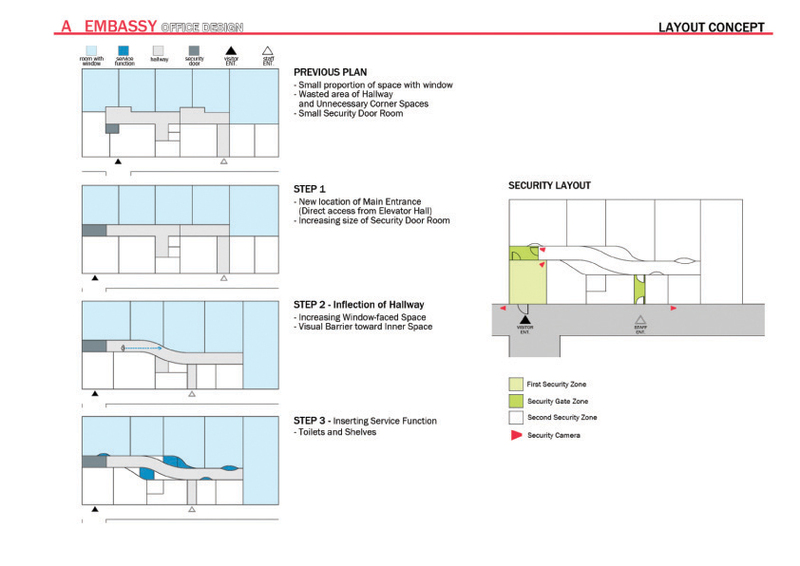 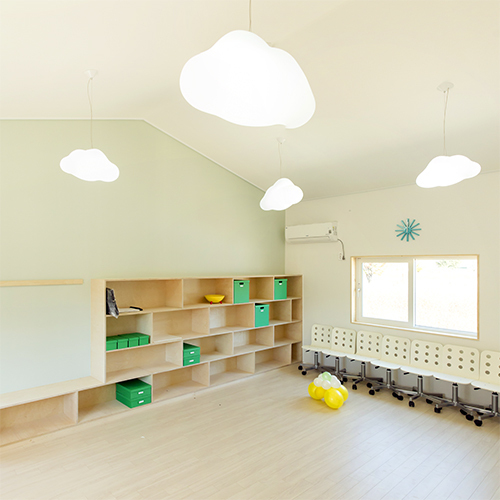 'Chang-Am Rehabilitation Facility_Creating a Culture of Happy Space' was completed. 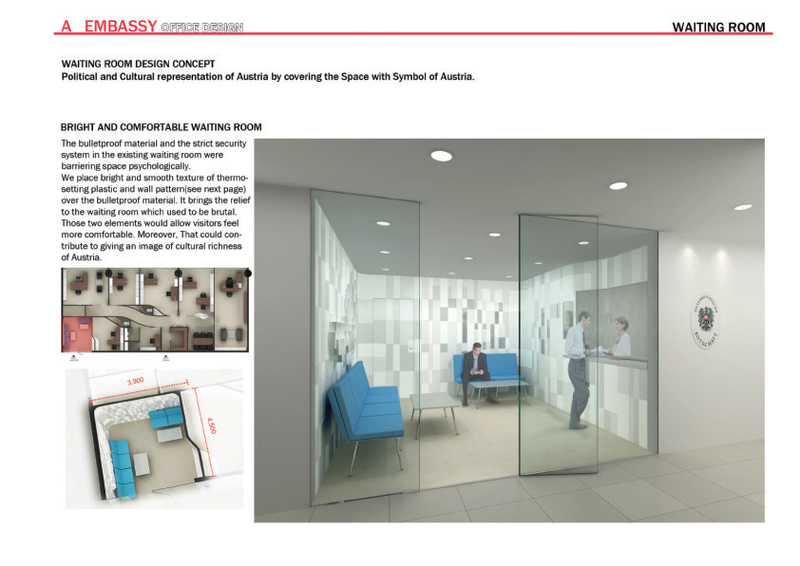 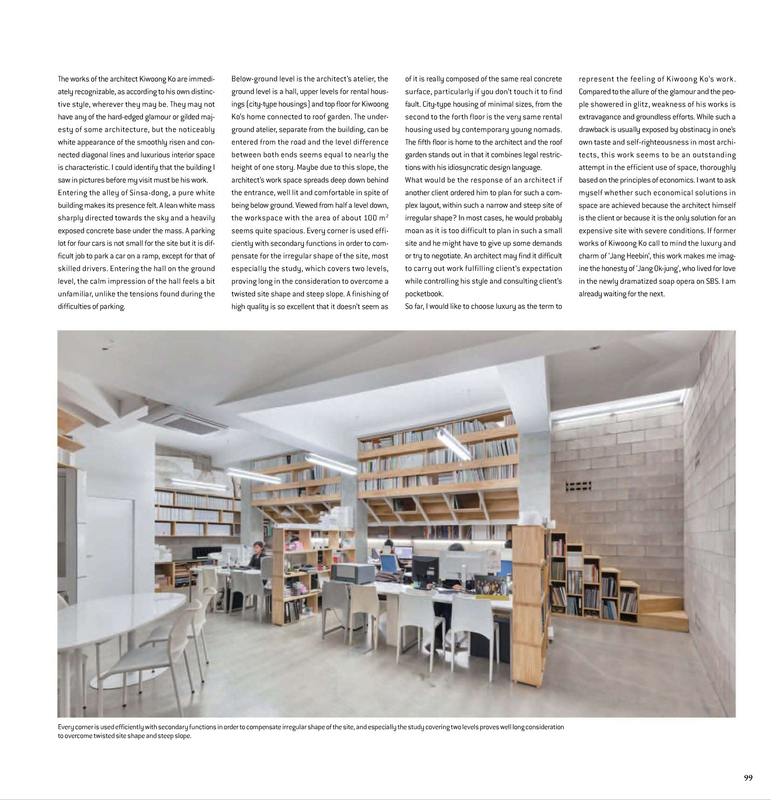 Workshop in the name of ''Chang-Am Rehabilitation Facility_Creating a Culture of Happy Space' was featured in SPACE magazine 201306.
office53427 participated '53427 lighting ver.1.0' on the concept of 'An Isolated Room' at the 'minimal house'. 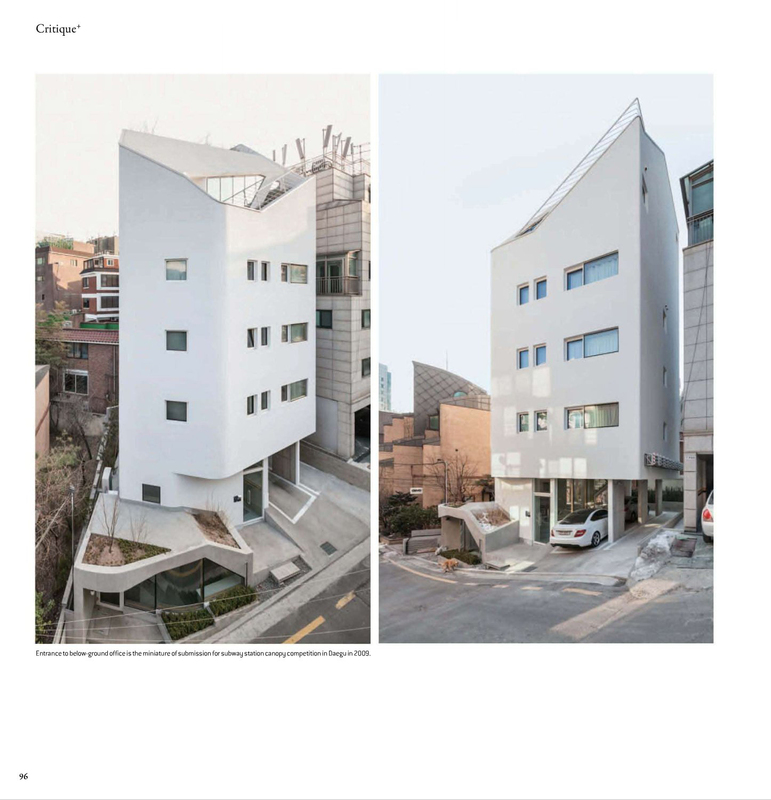 office53427 + Prof. Jooeun Sung, Prof. Sanghoon Youm and students (Yonsei Univ.) 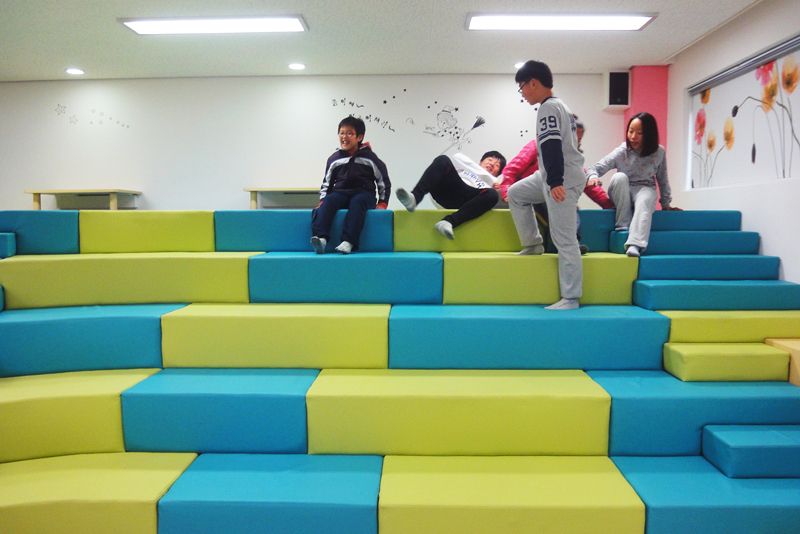 held a 3rd workshop in the name of 'Chang-Am Rehabilitation Facility_Creating a Culture of Happy Space' in Jeju. 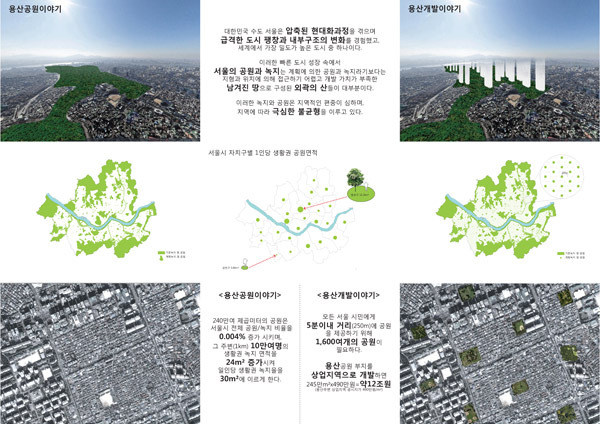 Principal Kiwoong Ko participated 'Seoul with 1000 parks' on the concept of 'Urban Manifesto 2024' at a gallery Onground. 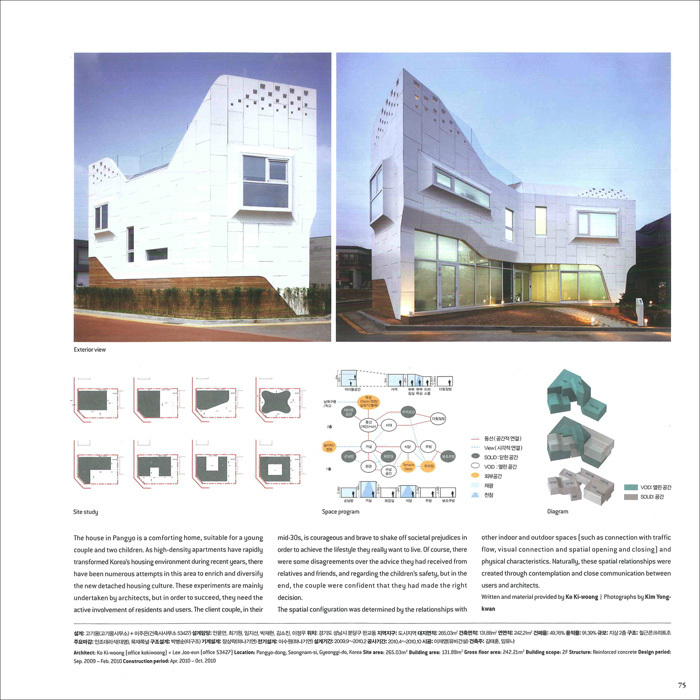 office53427 + Prof. Jooeun Sung, Prof. Sanghoon Youm and students (Yonsei Univ.) 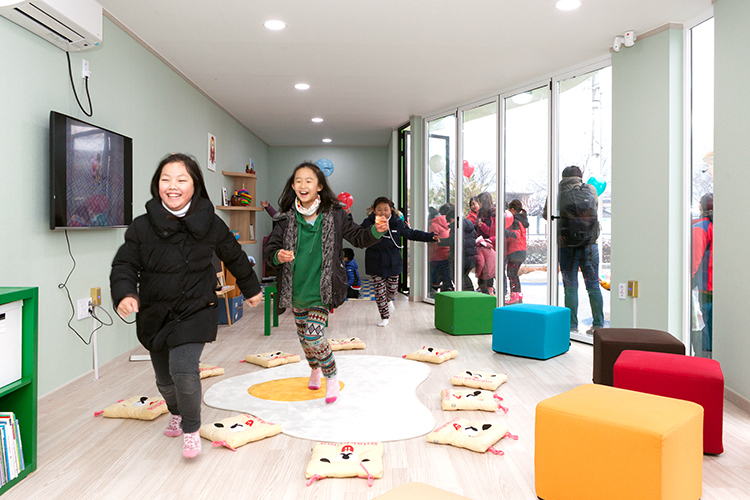 held a 2nd workshop in the name of ''Chang-Am Rehabilitation Facility_Creating a Culture of Happy Space' in Jeju. 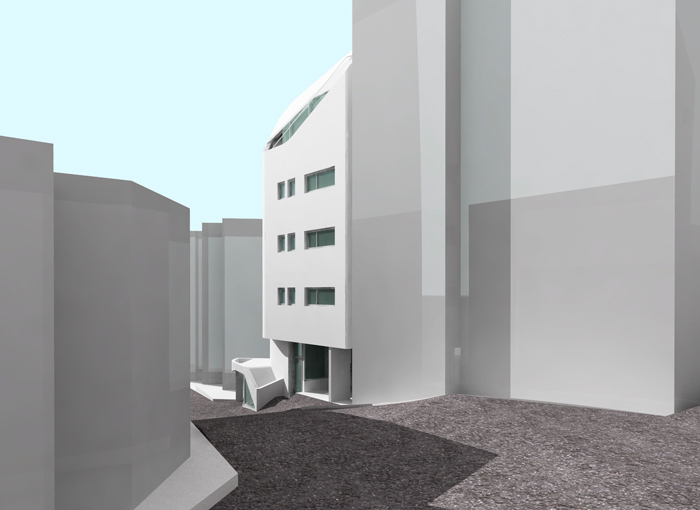 office53427 + Urbantainer started construction of 'Common Ground'. 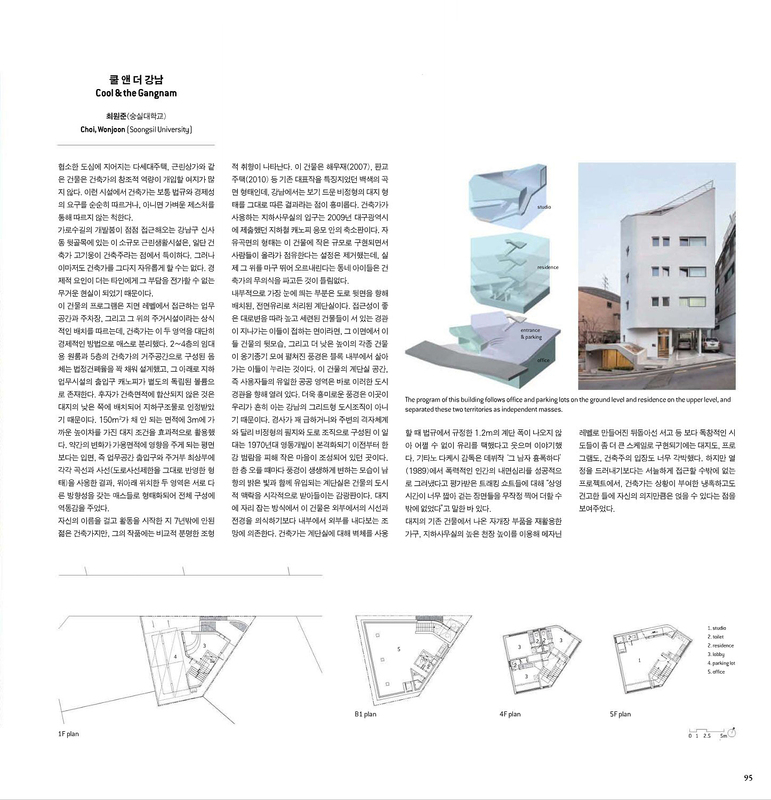 office53427 + Prof. Jooeun Sung, Prof. Sanghoon Youm and students (Yonsei Univ.) 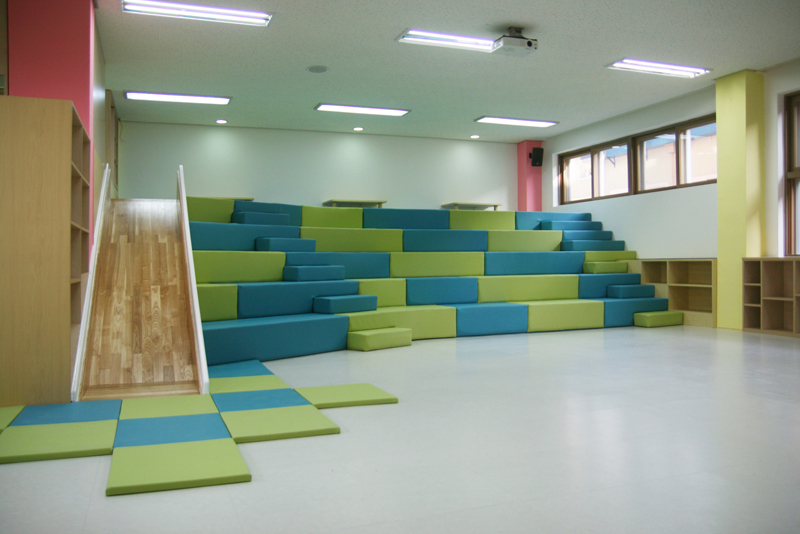 held a 1st workshop in the name of ''Chang-Am Rehabilitation Facility_Creating a Culture of Happy Space' in Jeju. 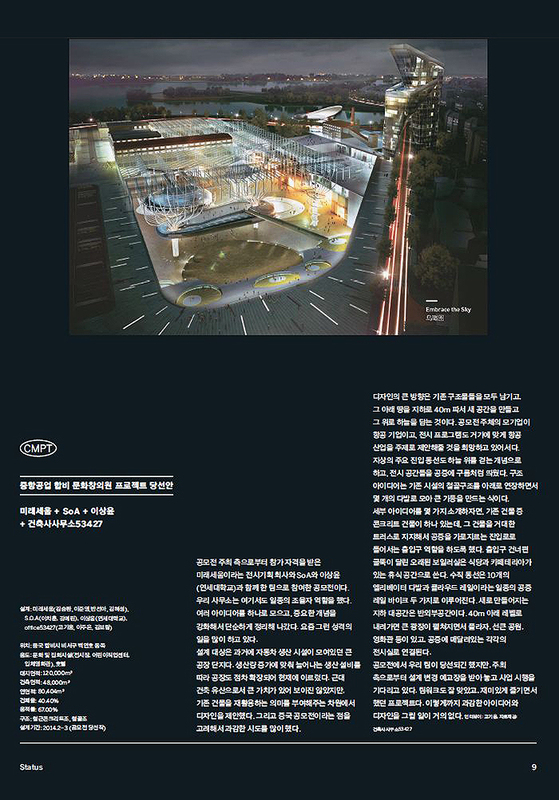 'AVIC Hefei Cultural and Creative Industry Park International Competition' was featured in 'DOCUMENTUM vol.2' magazine. 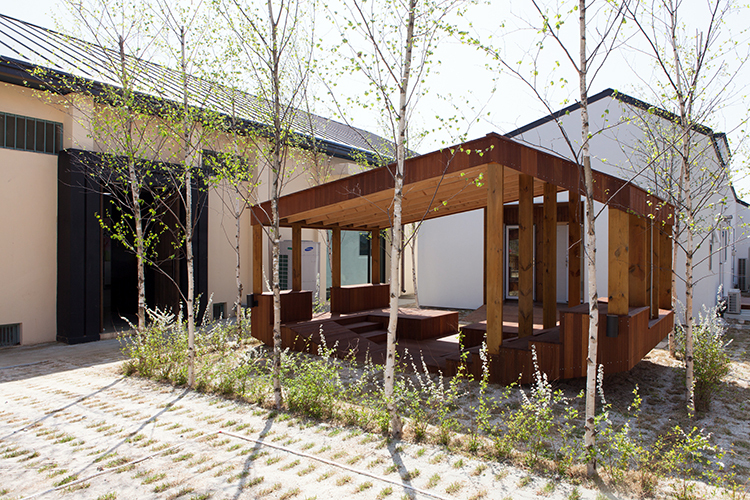 office53427 commissioned 'Jeju Chang-Am Rehabilitation Facility_Creating a Culture of Happy Space' in Jeju. 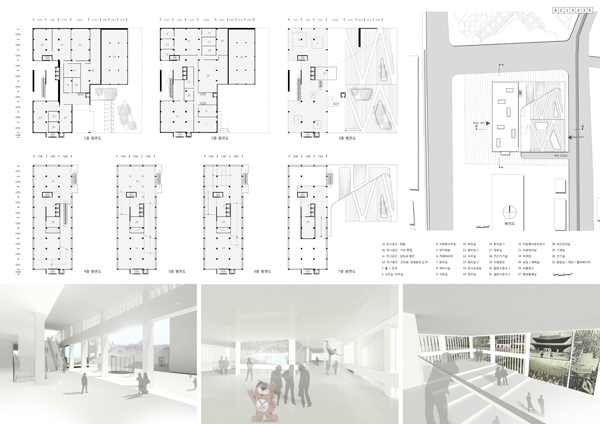 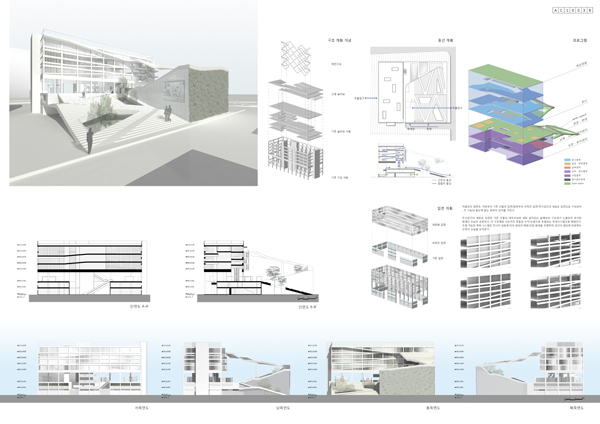 office53427 + Ean Design Architect + oddaa architects + Prof. Jaehee Chung (Hongik Univ.) 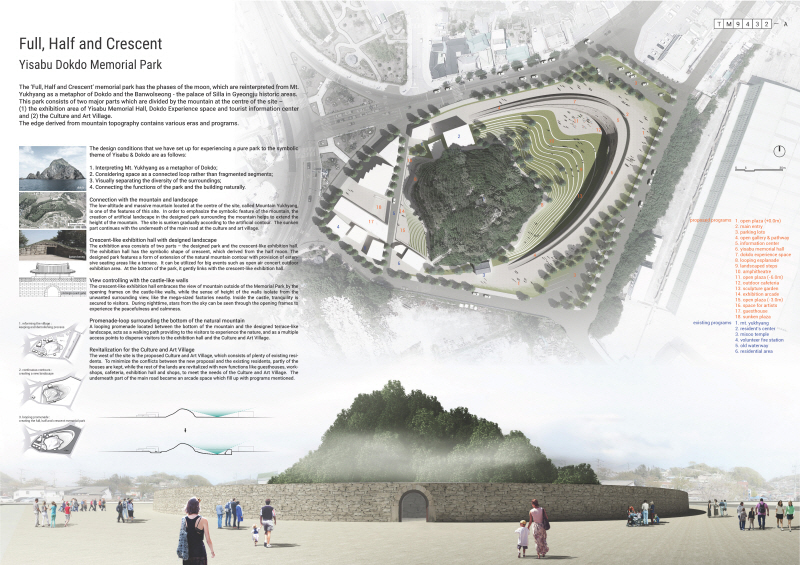 + LIVESCAPE won Honorable Mention prize in 'International Competition for Rehabiliting Mapo Oil Depot into a Cultureal Depot Park'. 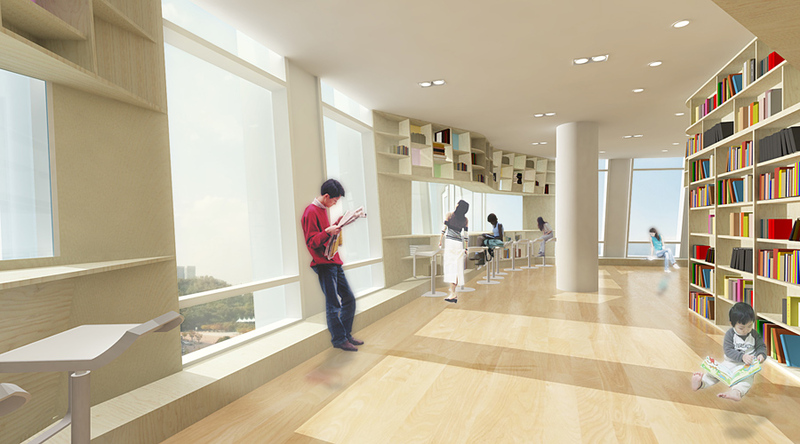 office53427 + SoA participated in 'MAPO Central Library and Education Center Competition'. 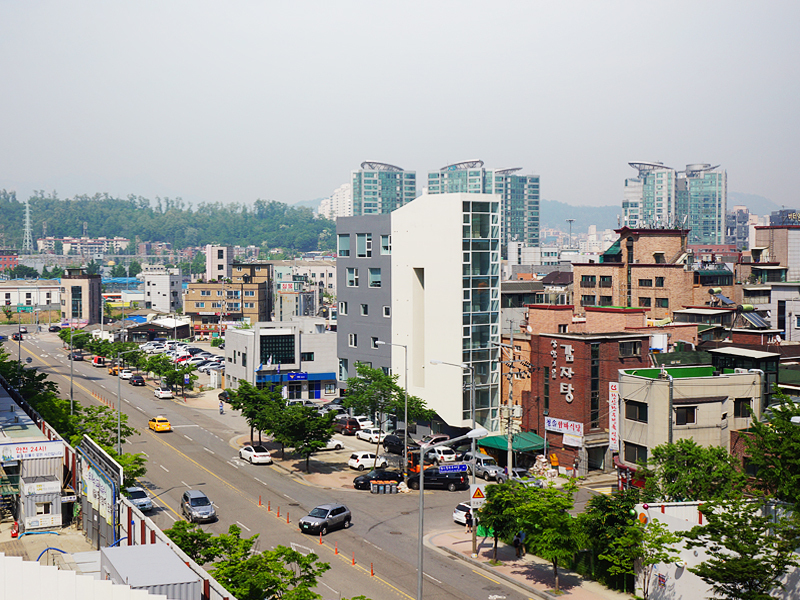 office53427 started construction of 'Goheung Houses'. 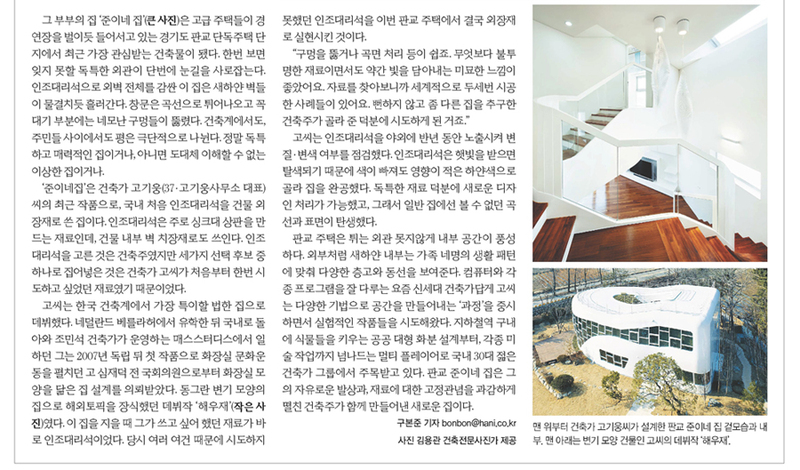 'Bongjae-ri House' was featured in the 'Hankook news paper 20130521'. 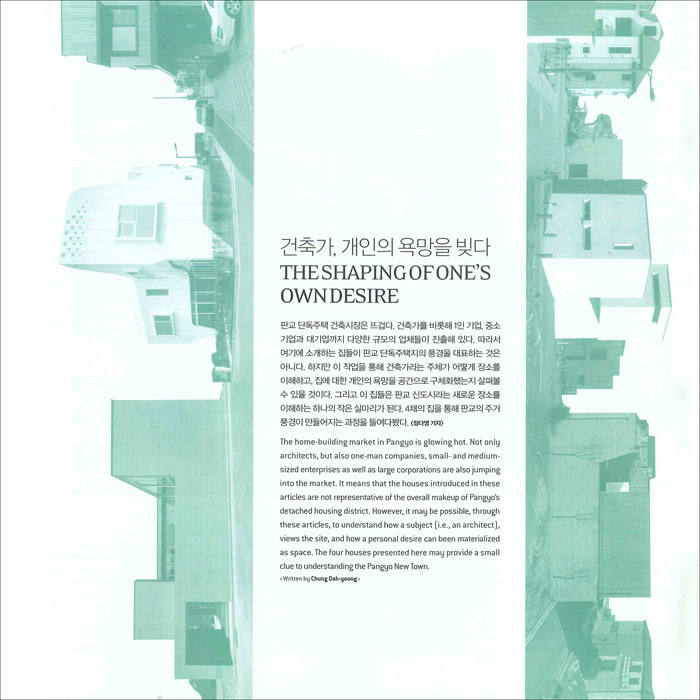 Principal Kiwoong Ko gave a lecture on 'stories on our clients' at 'Saturday 11 am with an architect' of 'JUNGLIMFOUNDATION'. 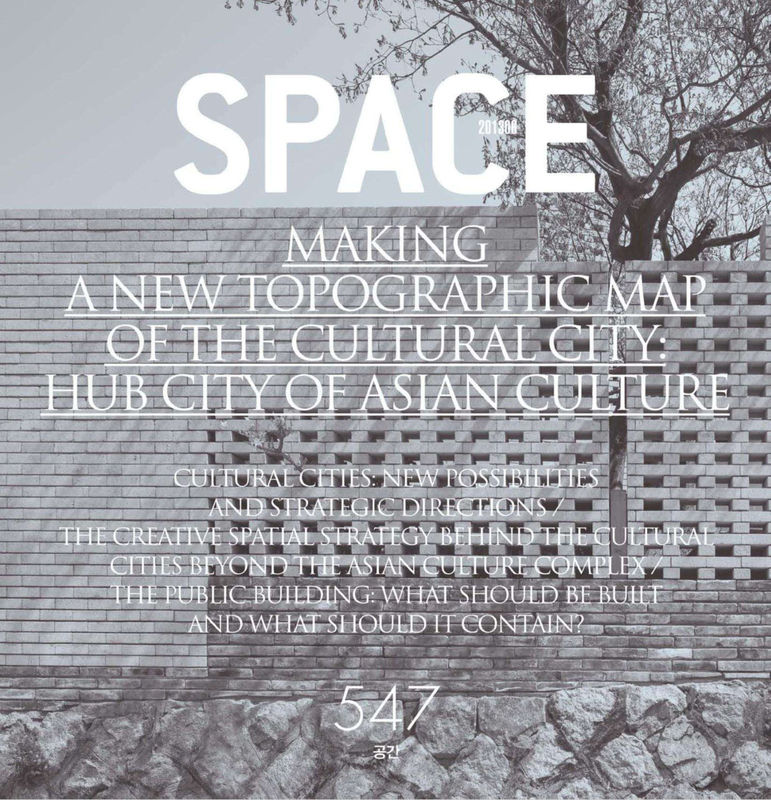 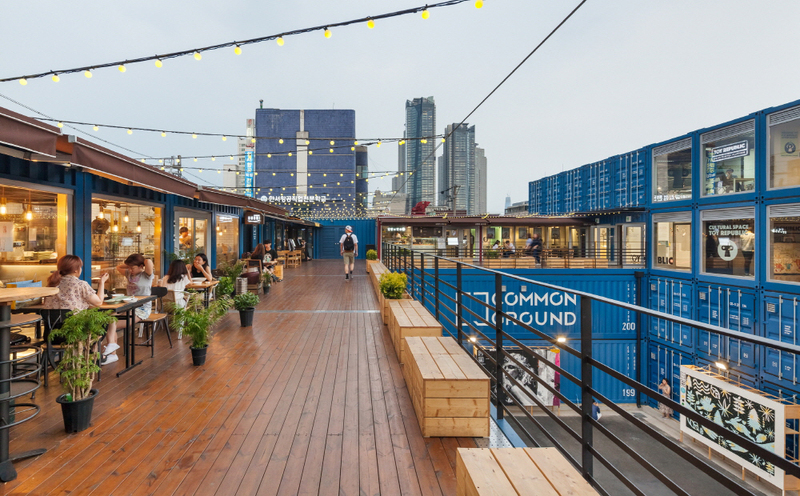 office 53427 + Urbantainer commissioned 'Common Ground'. 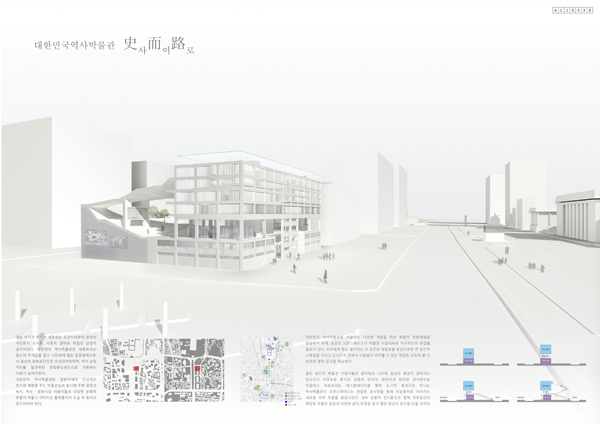 office53427 + MILESEUM + SoA + Prof. Sangyoun Lee (Yonsei University) won first prize in 'AVIC Hefei Cultural and Creative Industry Park International Competition'. 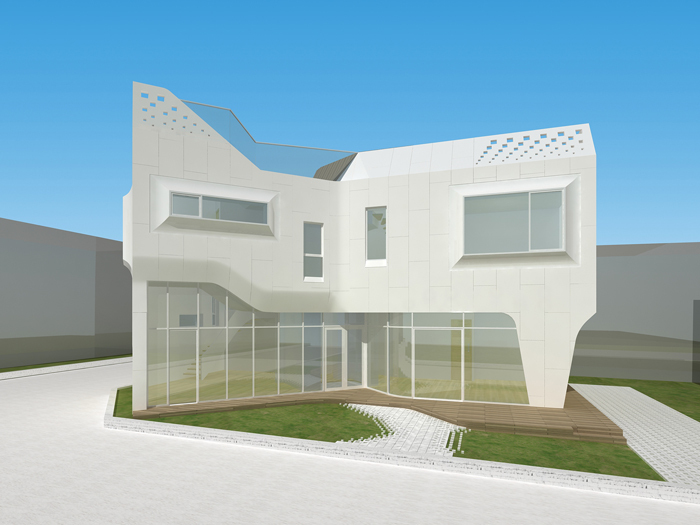 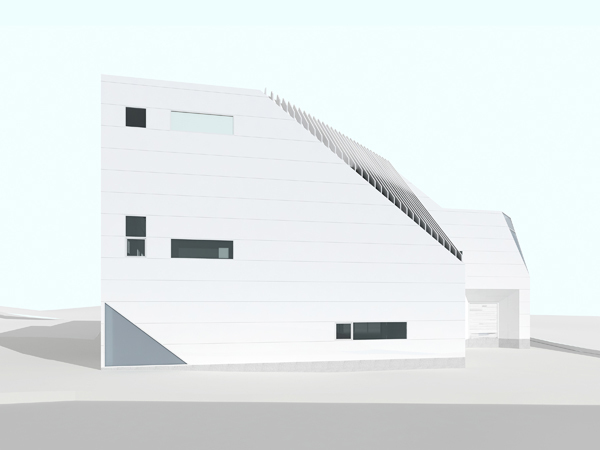 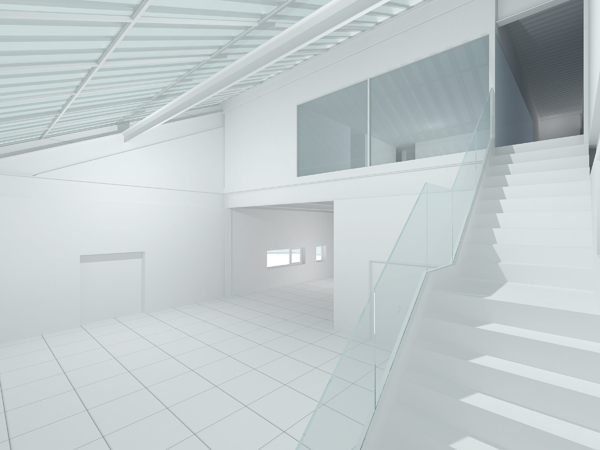 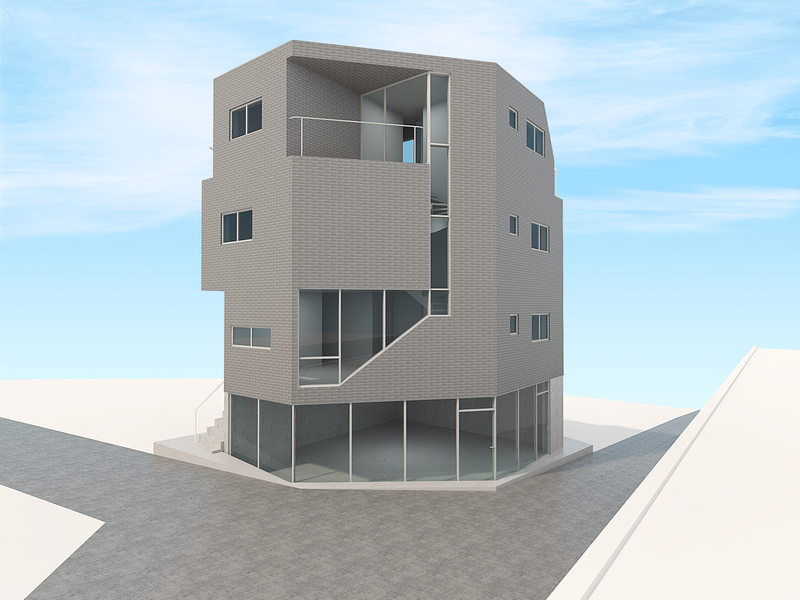 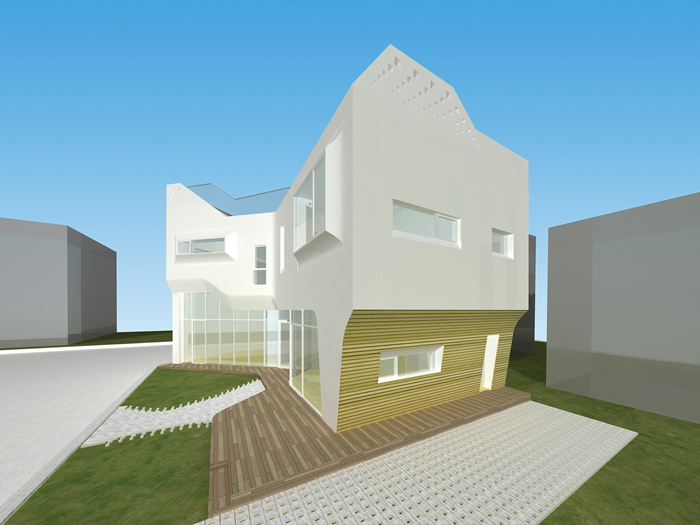 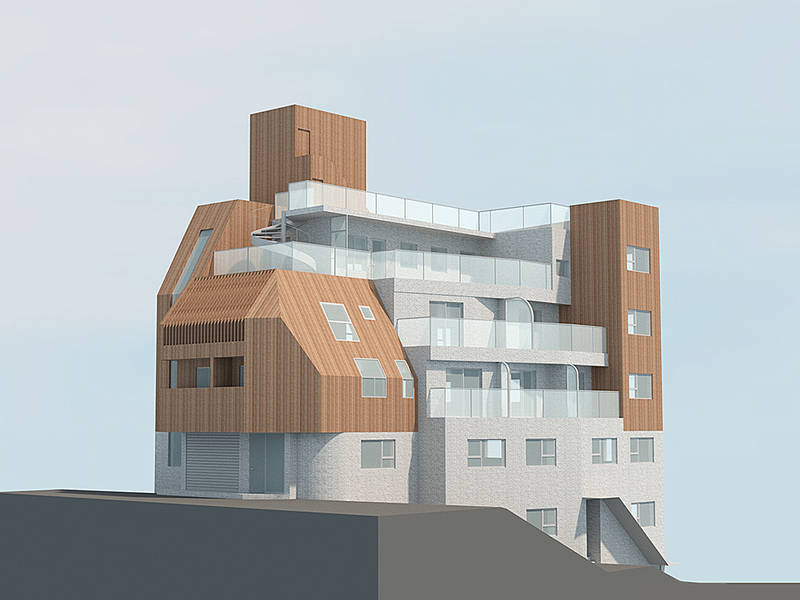 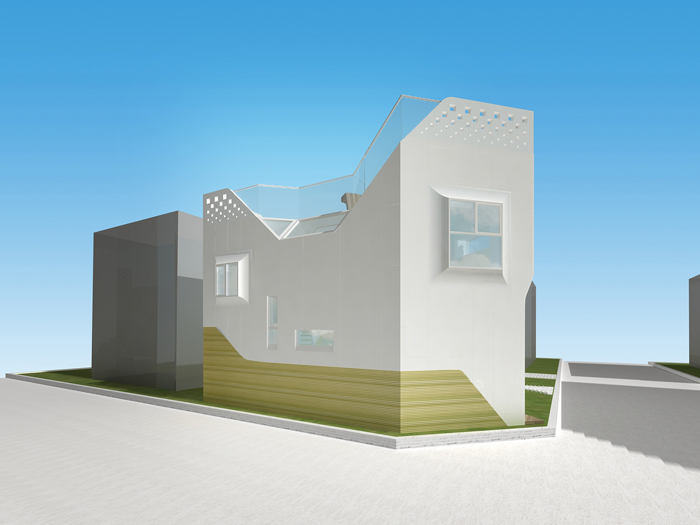 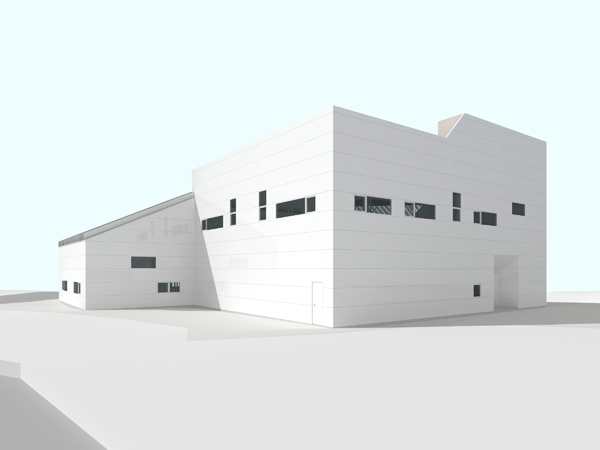 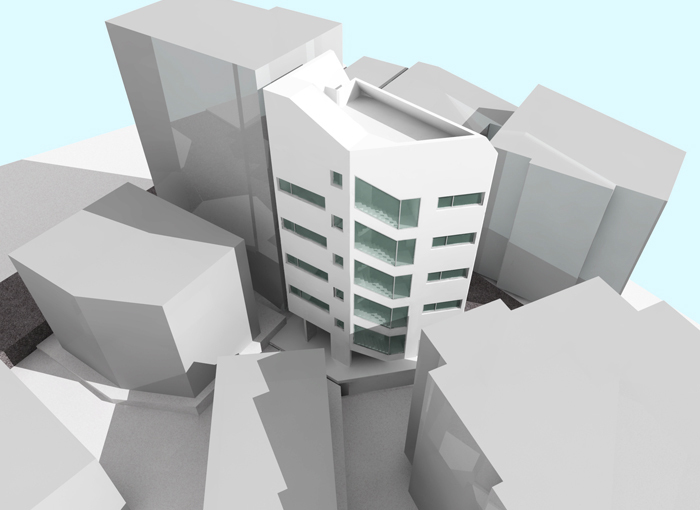 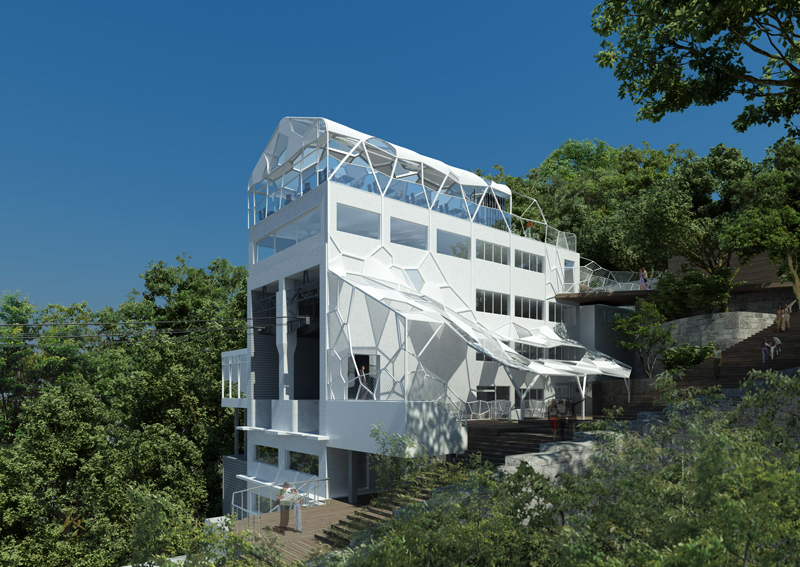 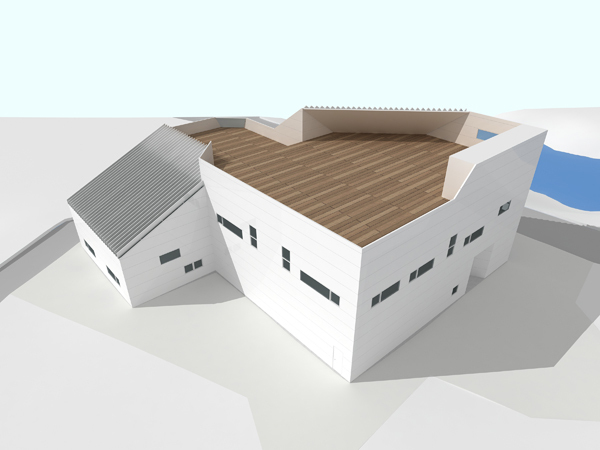 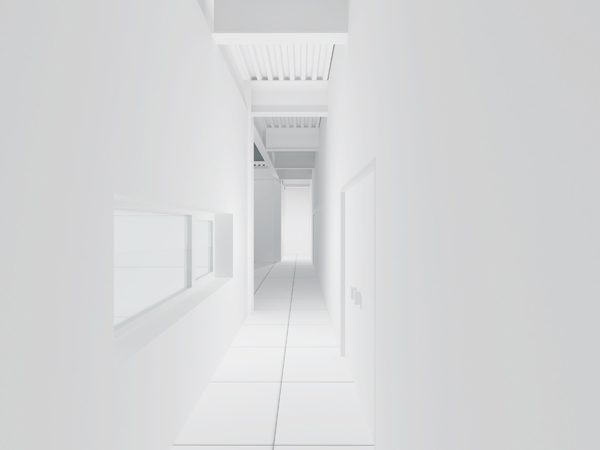 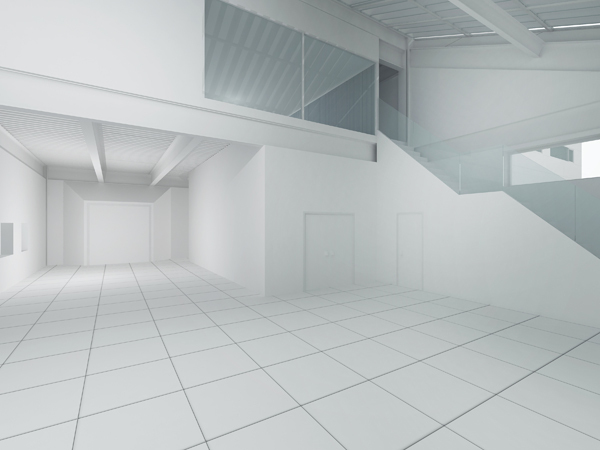 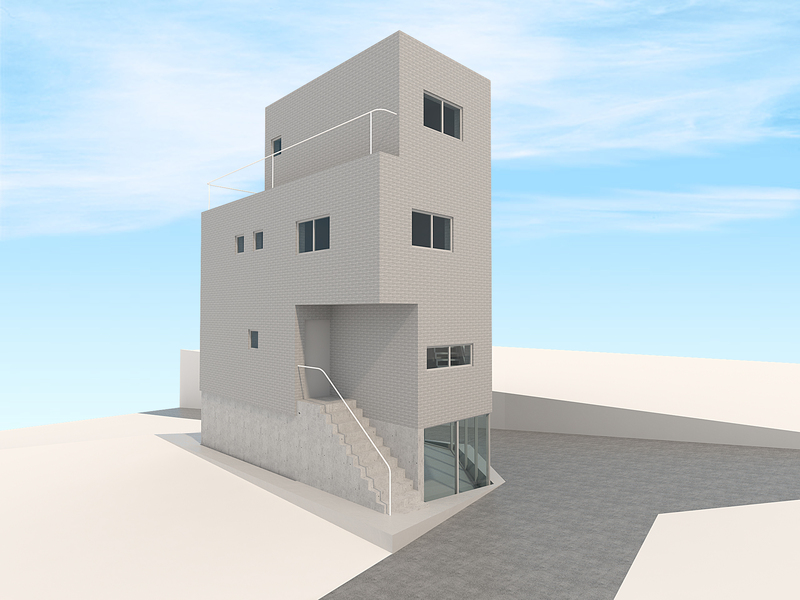 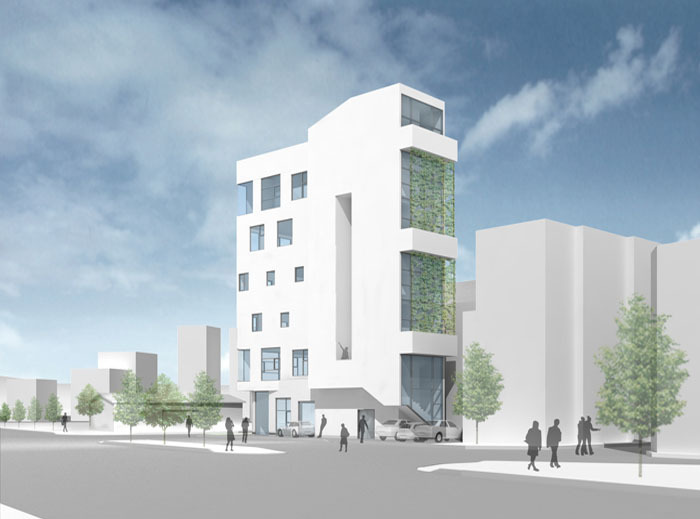 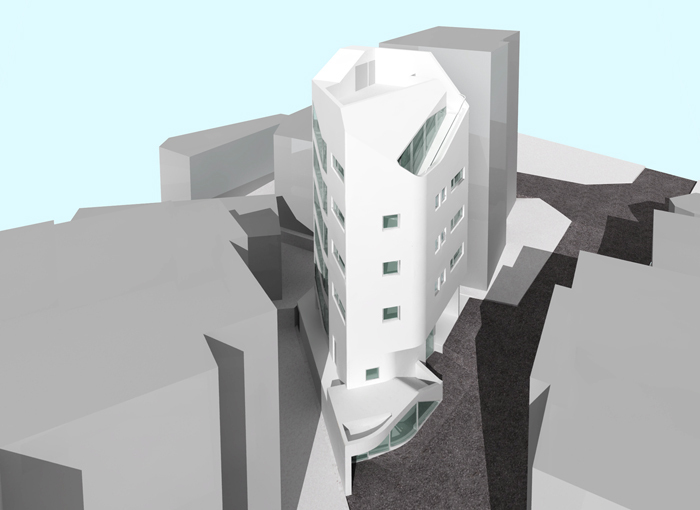 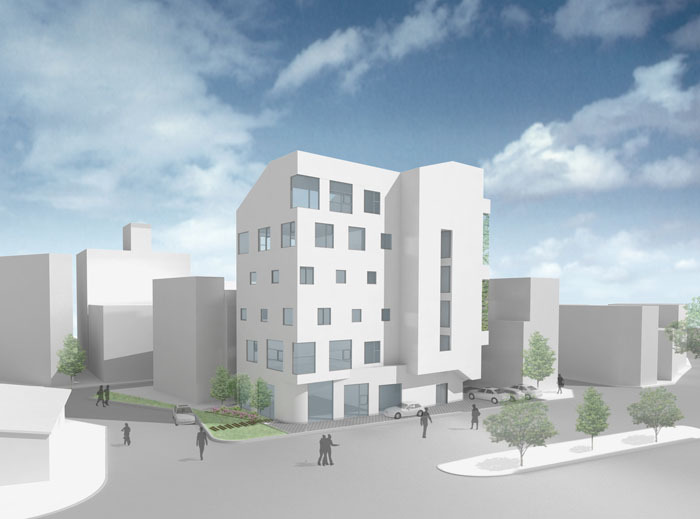 office 53427 started designing 'Goheung House'. 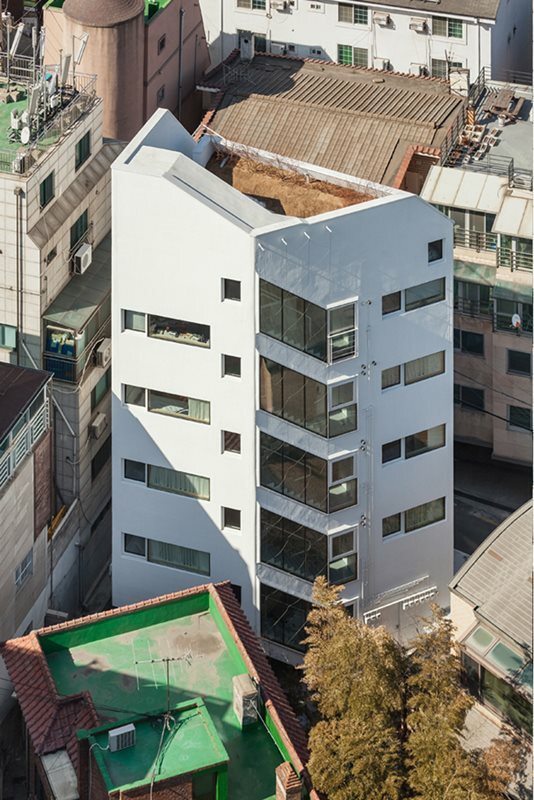 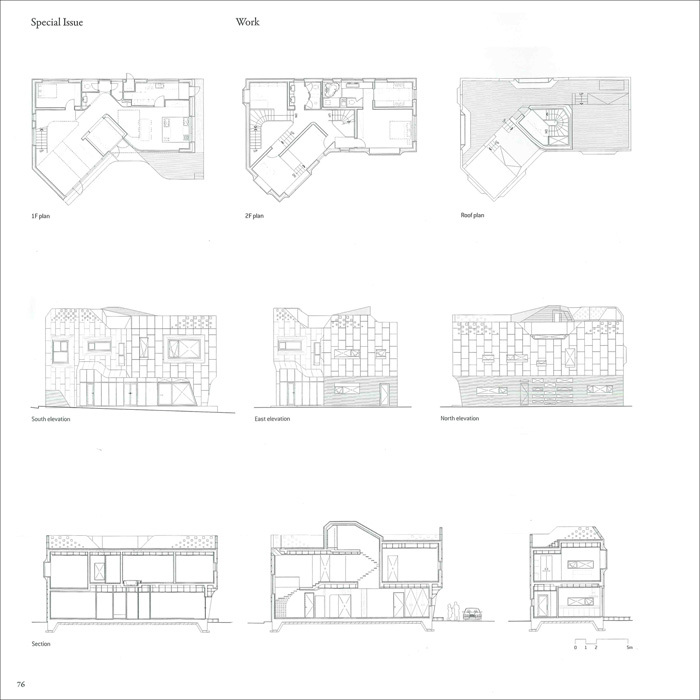 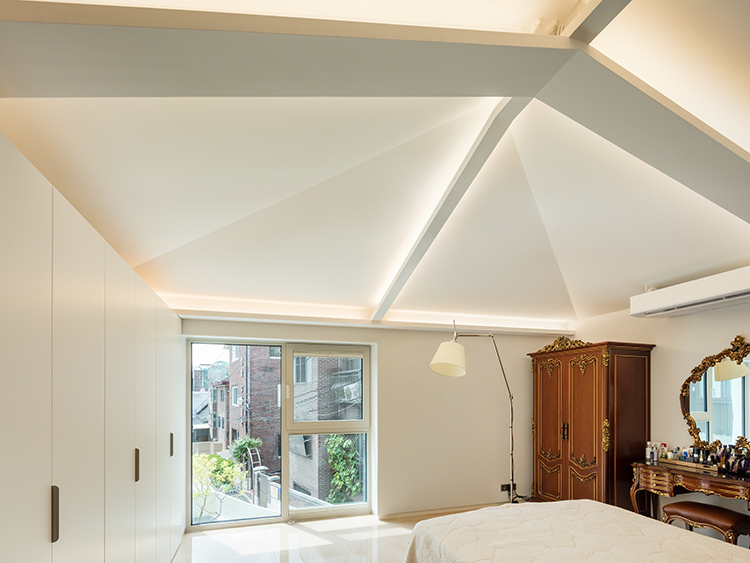 office 53427 presented 'Bongjae-ri House' under the theme of 'Minimal House' at Jong-ro, Seoul. 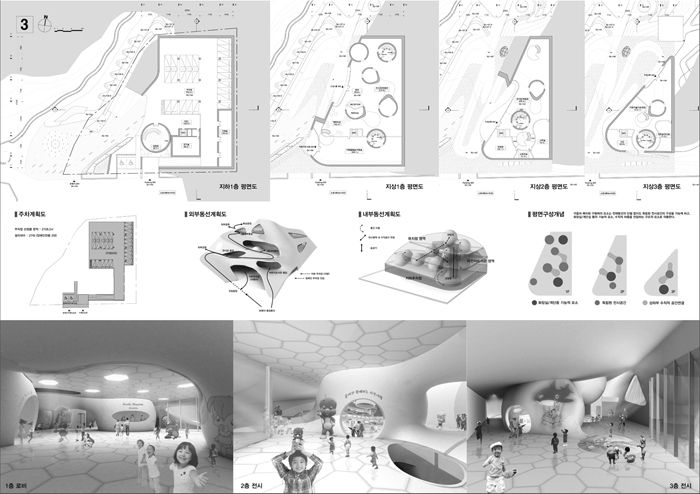 office 53427 participated in 'AVIC Hefei Cultural and Creative Industry Park International Competition'. 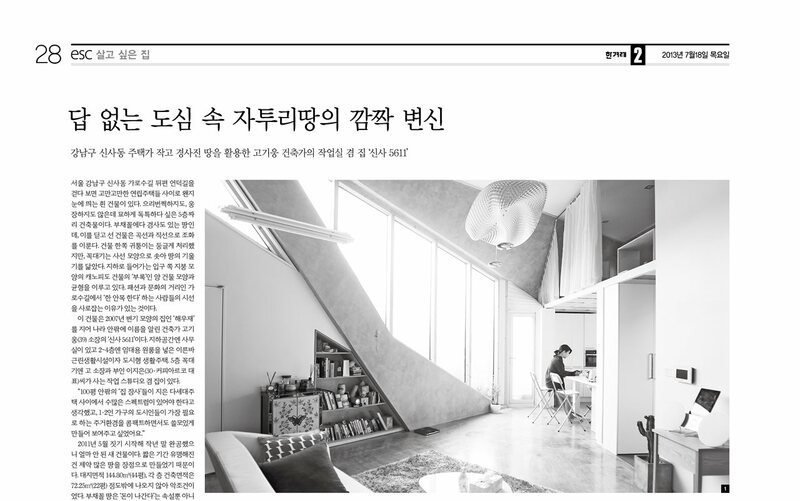 'Sinsa 5611' was featured in the hankyoreh news paper 20130718. 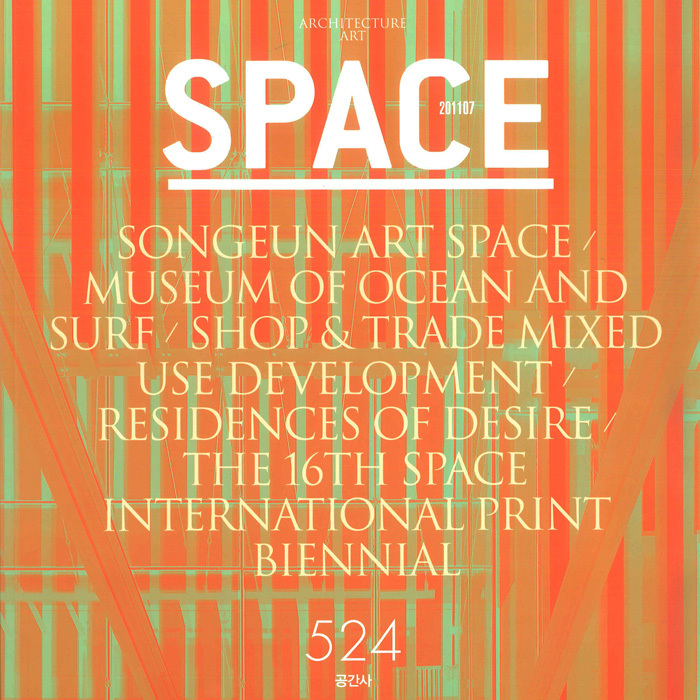 'Sinsa 5611' was featured in SPACE magazine 201306. 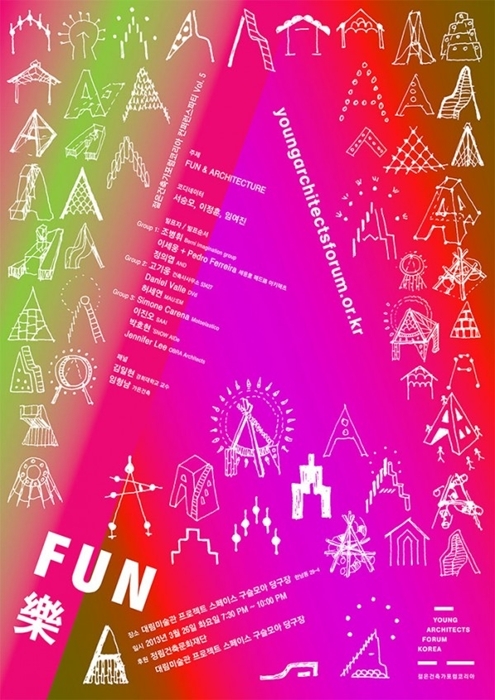 Principal Kiwoong Ko presented recent projects at 'Fun and Architecture' young architects conference party. 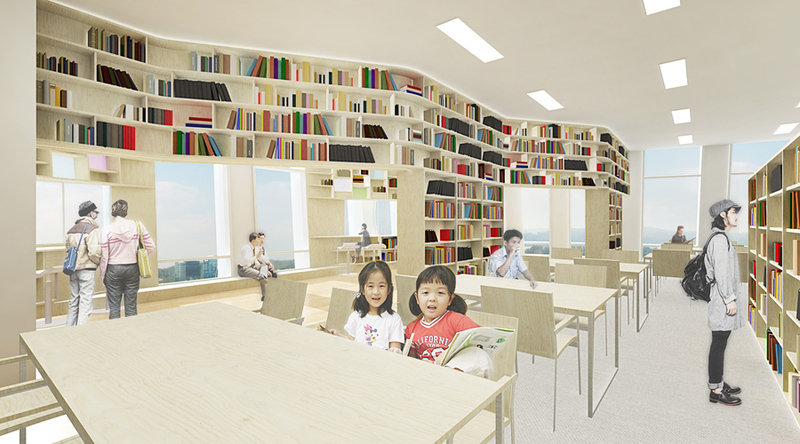 office 53427 designed 'Public Library in Mapo-gu District Office'. 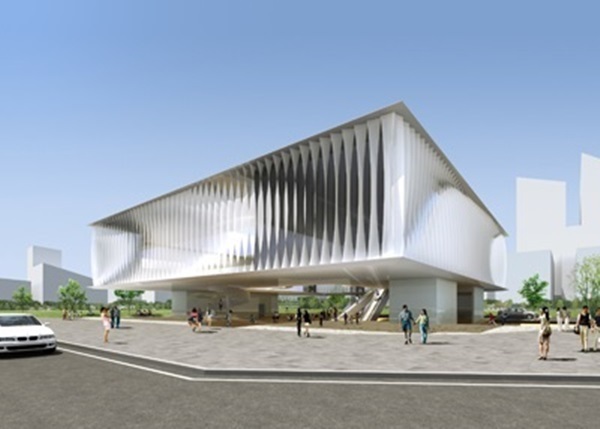 'Sangam Commercial Building' was completed. 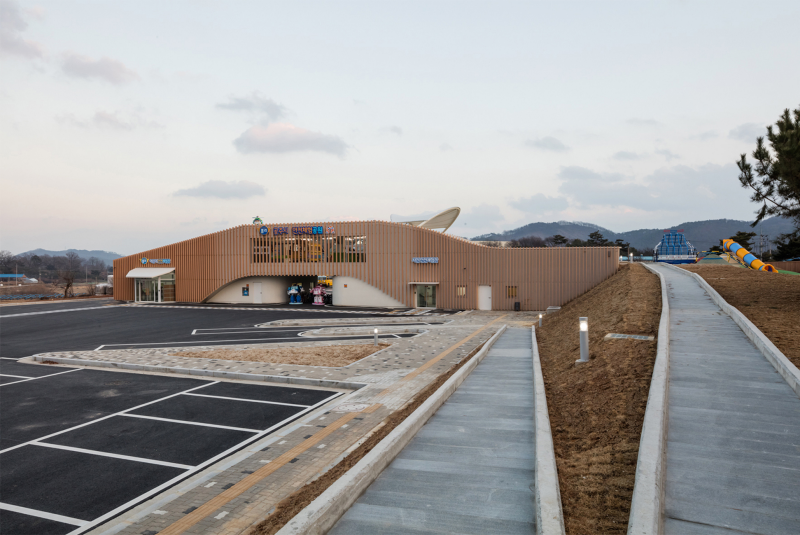 office 53427 designed 'Paju Book-City Public Toilet'. 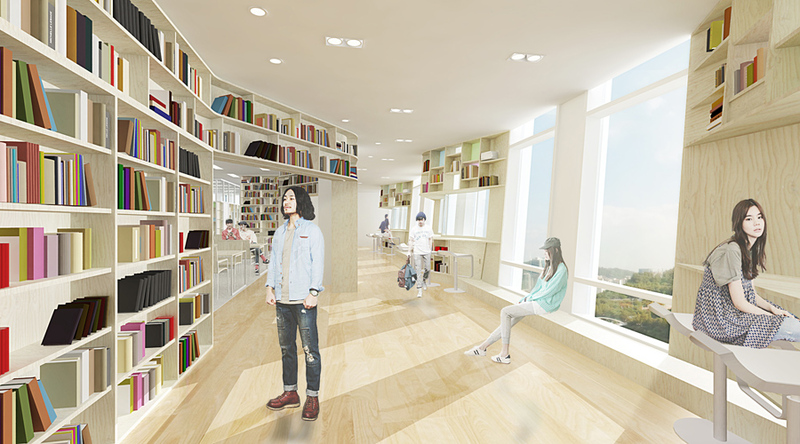 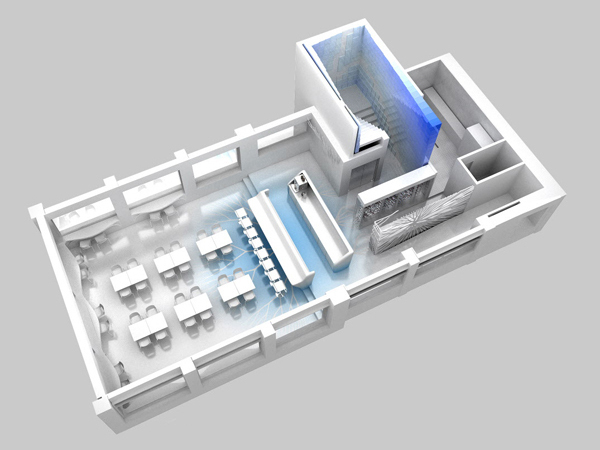 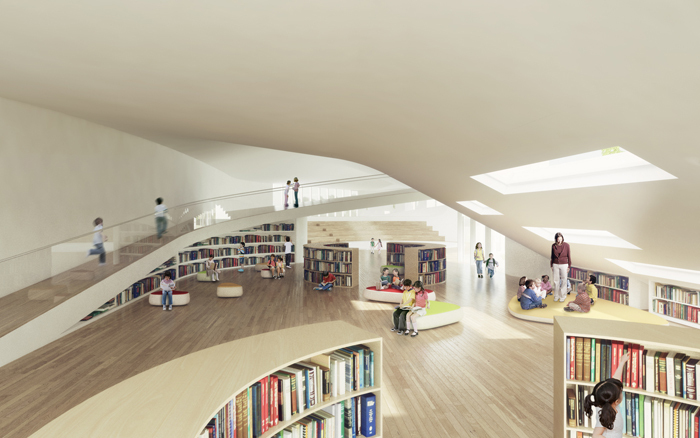 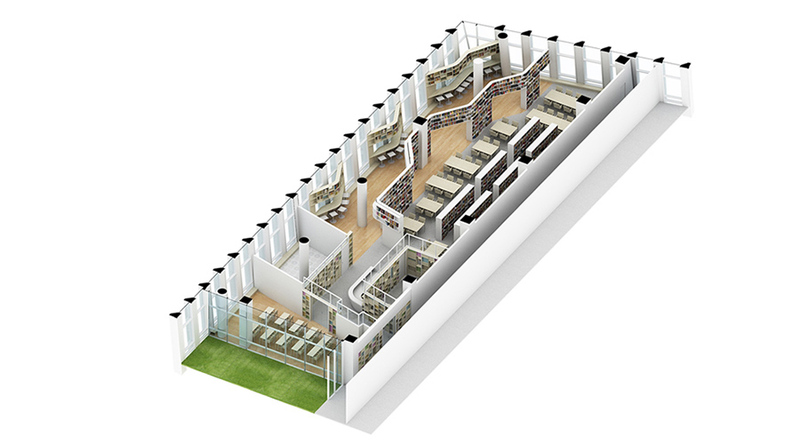 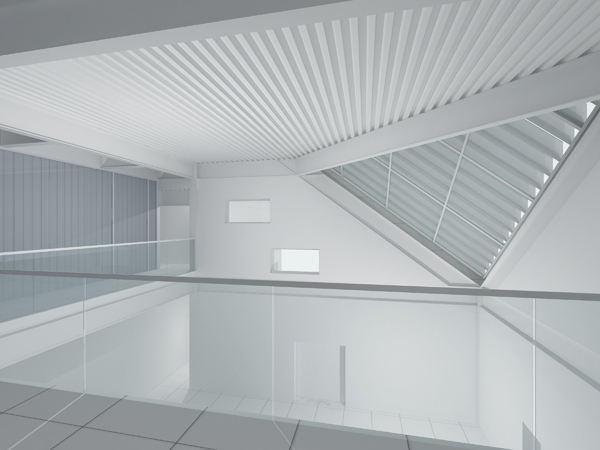 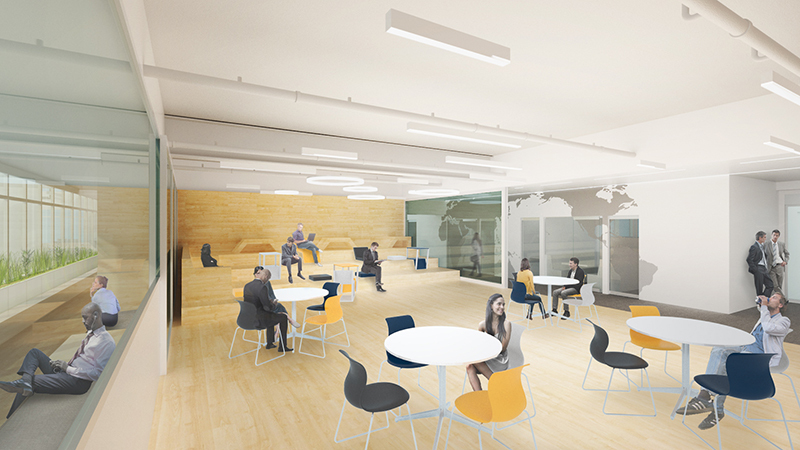 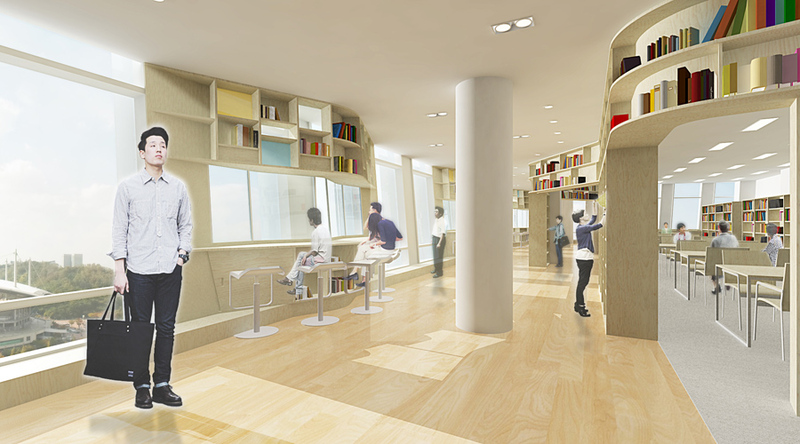 office 53427 started designing 'Public Library in Mapo-gu District Office'. 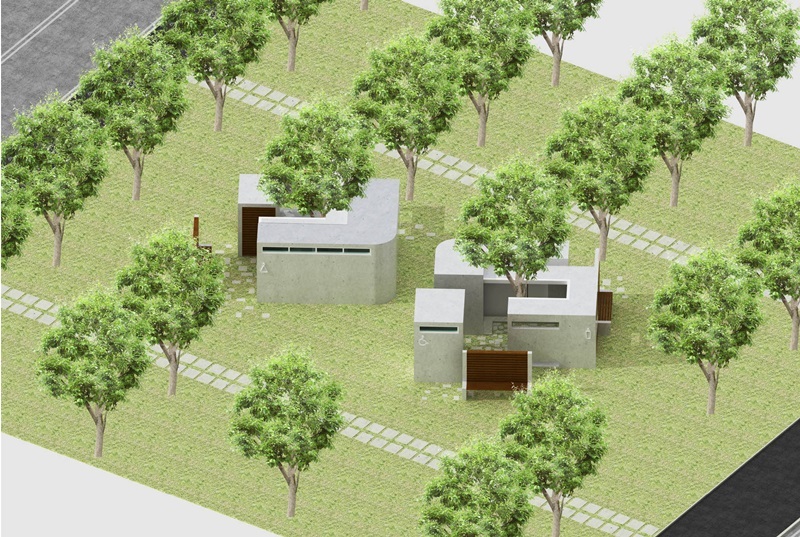 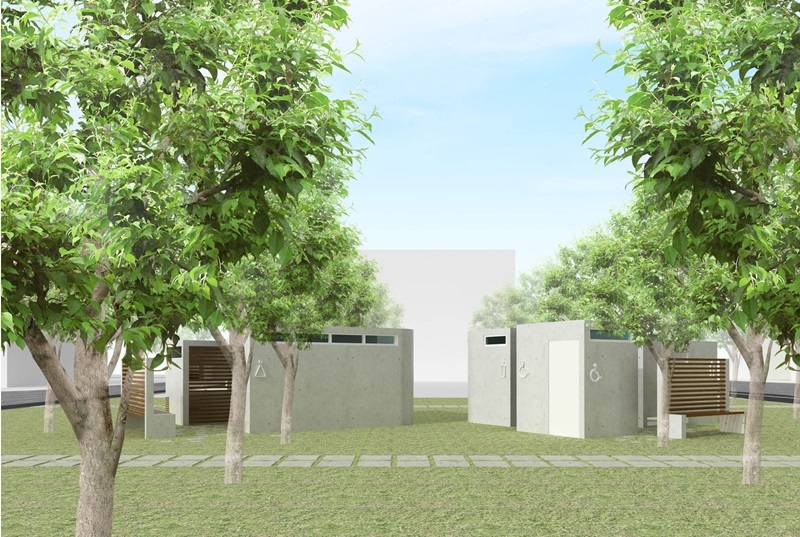 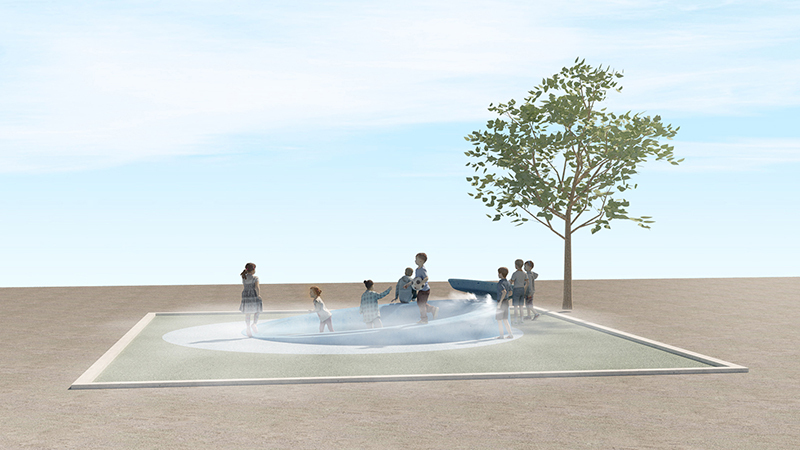 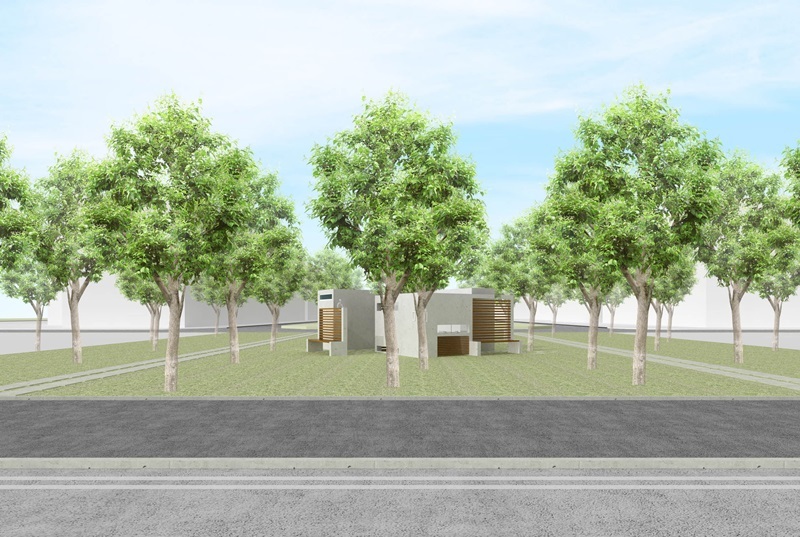 office 53427 started designing 'Paju Book-City Public toilet'. 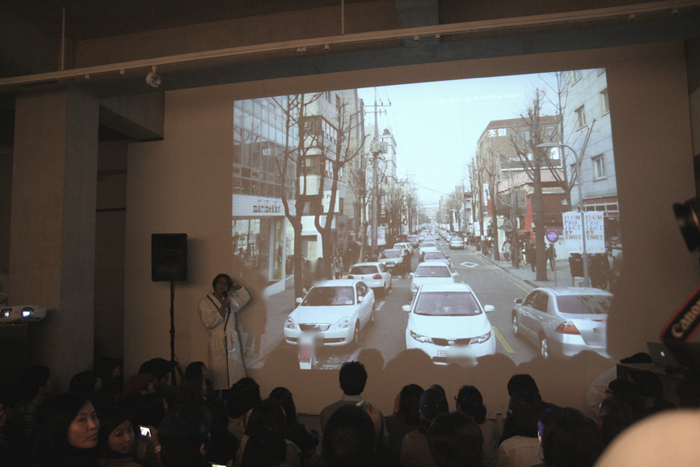 office 53427 presented 'Stories of Streets' as a part of '2012 Seoul Architecture Festival' on Garosu-gil. 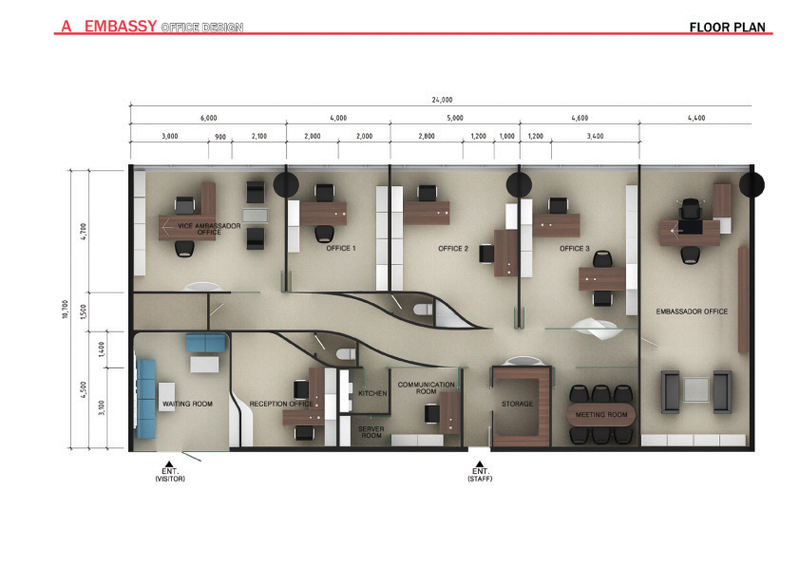 office 53427 started construction of 'Sangam Commercial Building'. 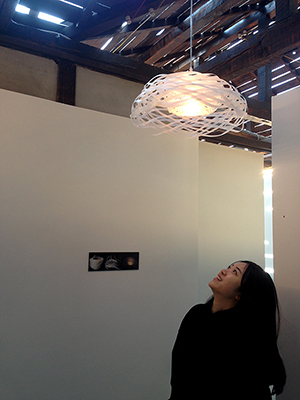 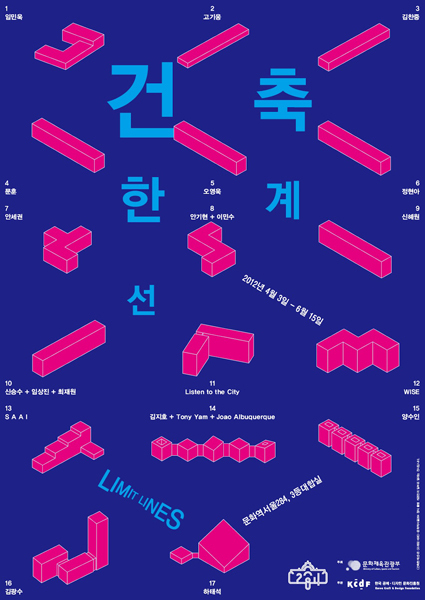 office 53427 presented 'Model on the shelf' under the theme of 'Limit lines' at Seoul culture staion. 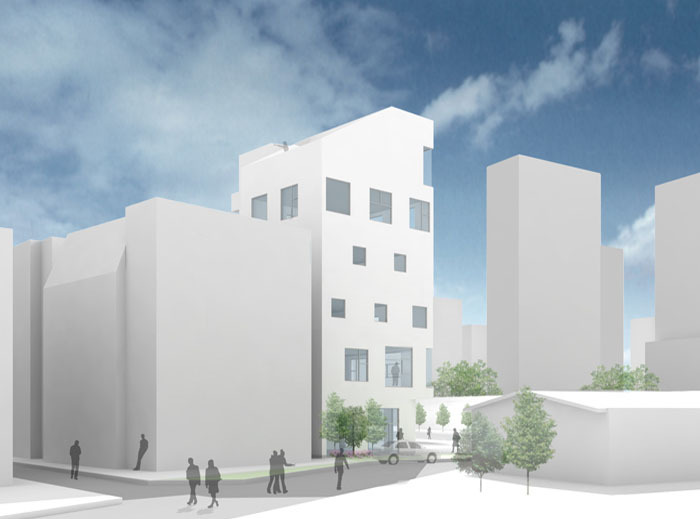 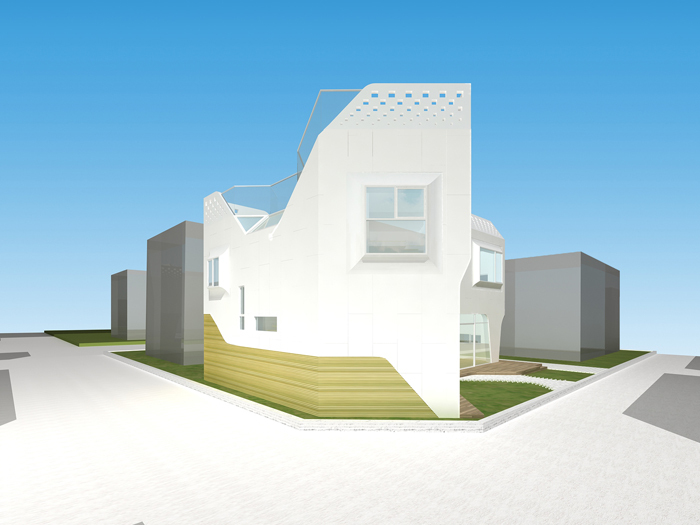 office 53427 started designing 'Yeonsu Housing'. 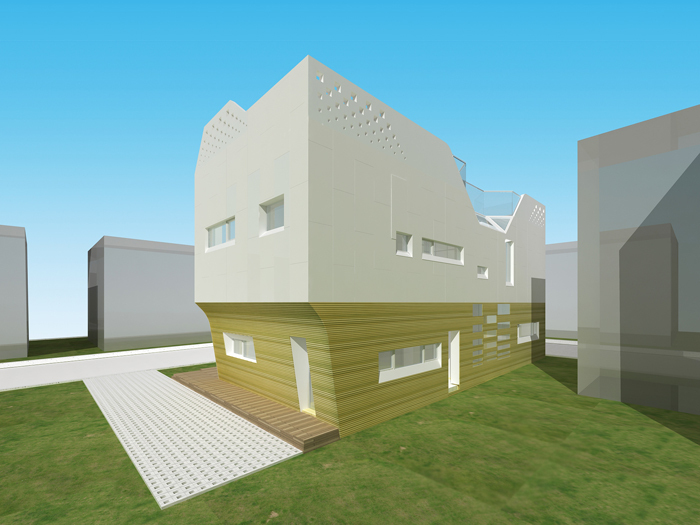 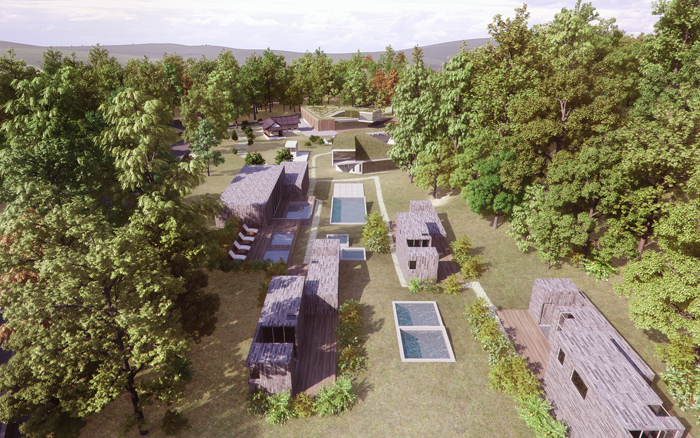 office 53427 started designing 'Neungpyong Housing'. 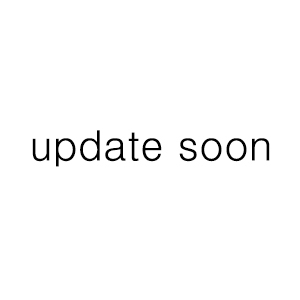 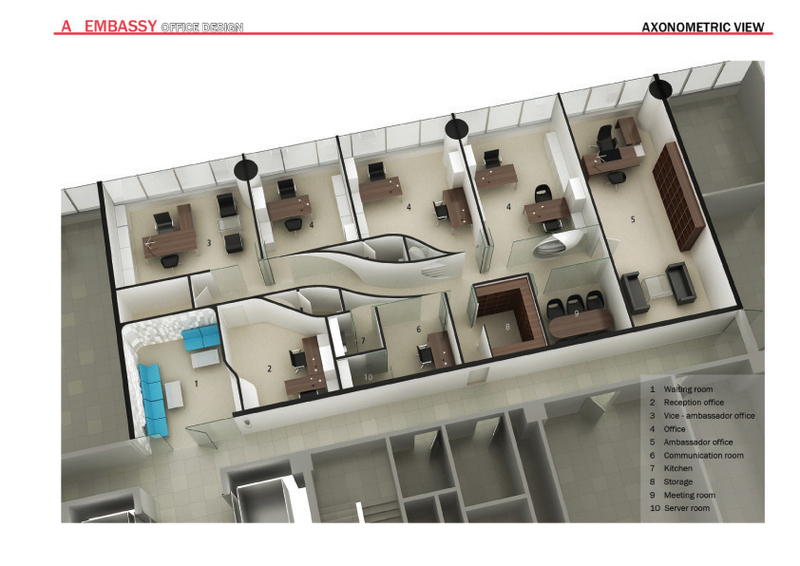 office 53427 started construction of 'Sinsa 5611' . 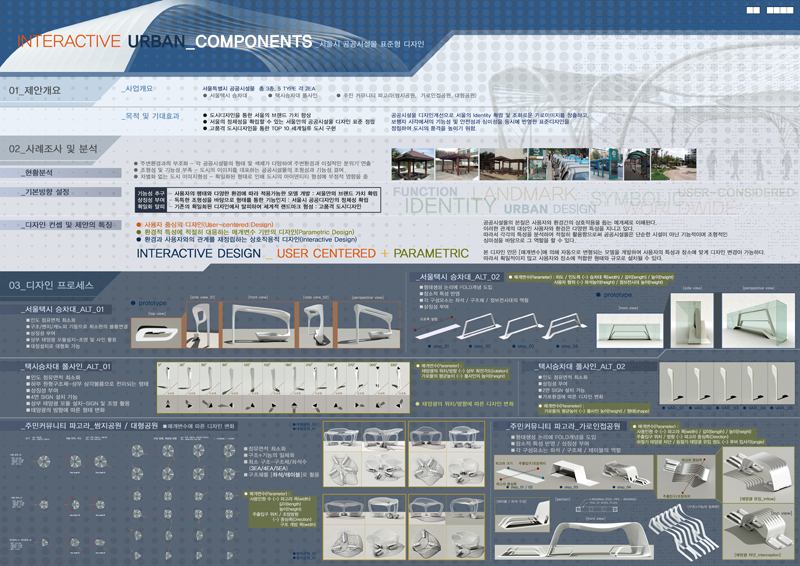 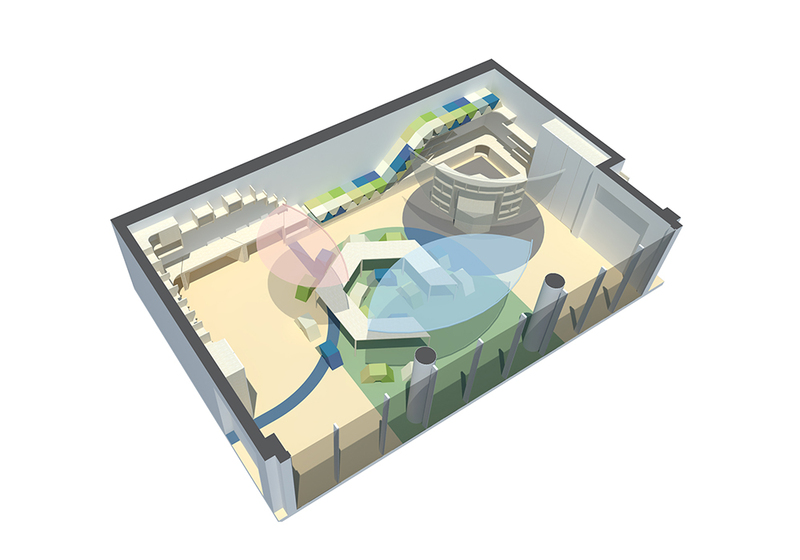 office 53427 designed 'Suji Culture Complex' with Lifethings. 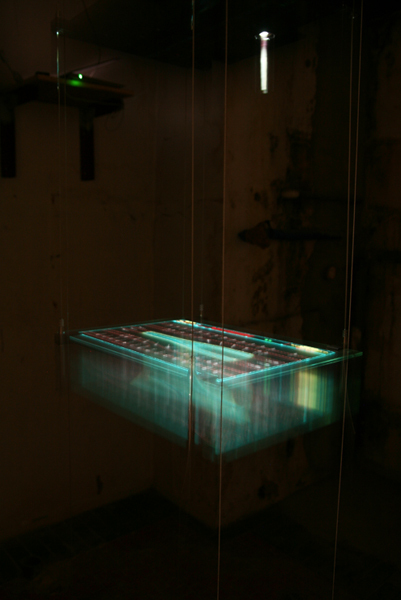 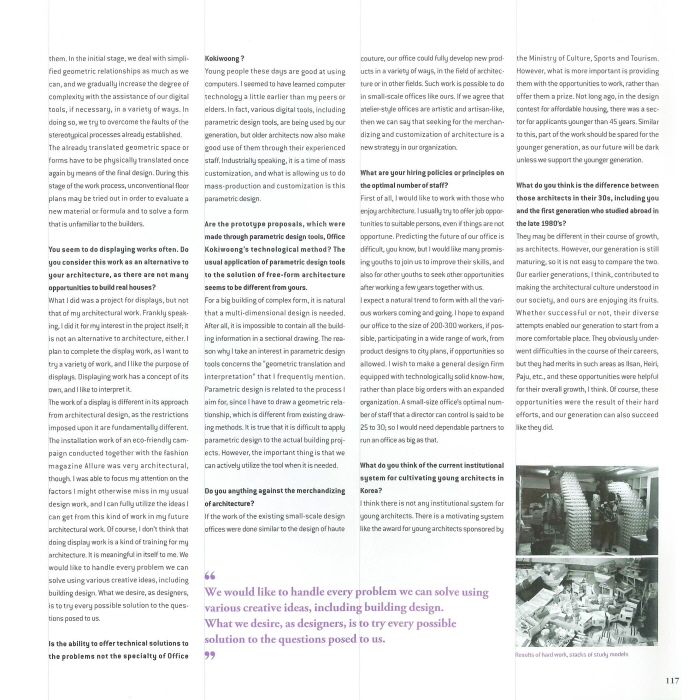 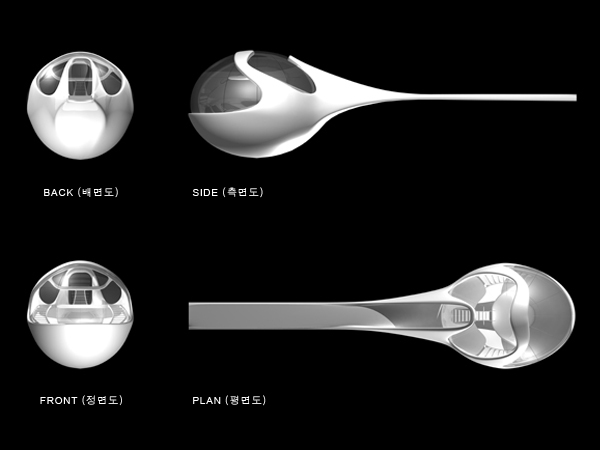 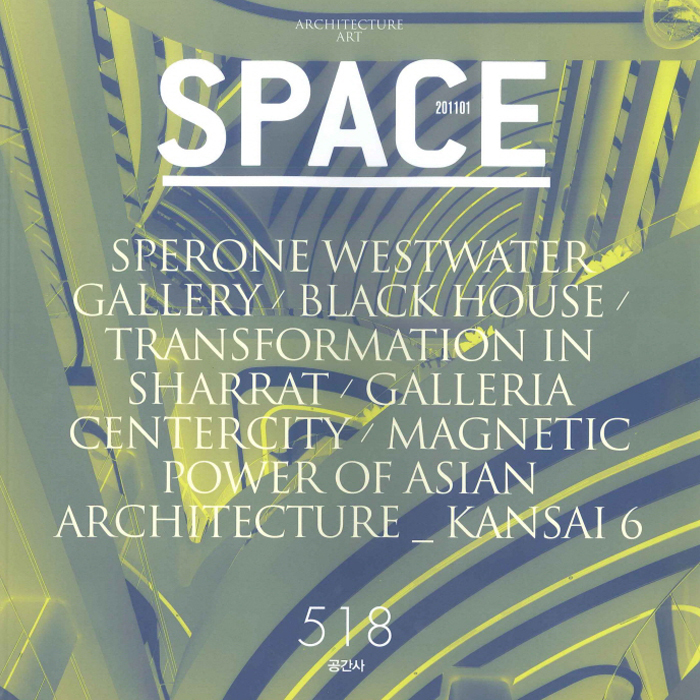 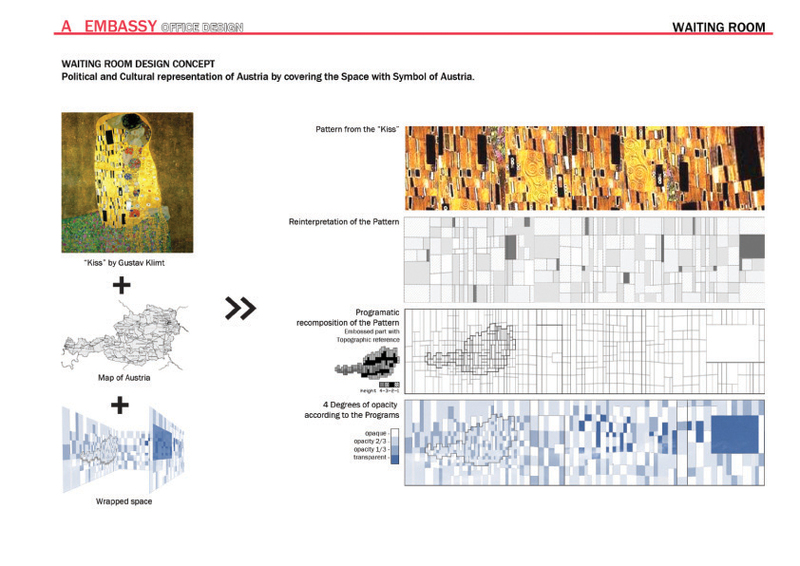 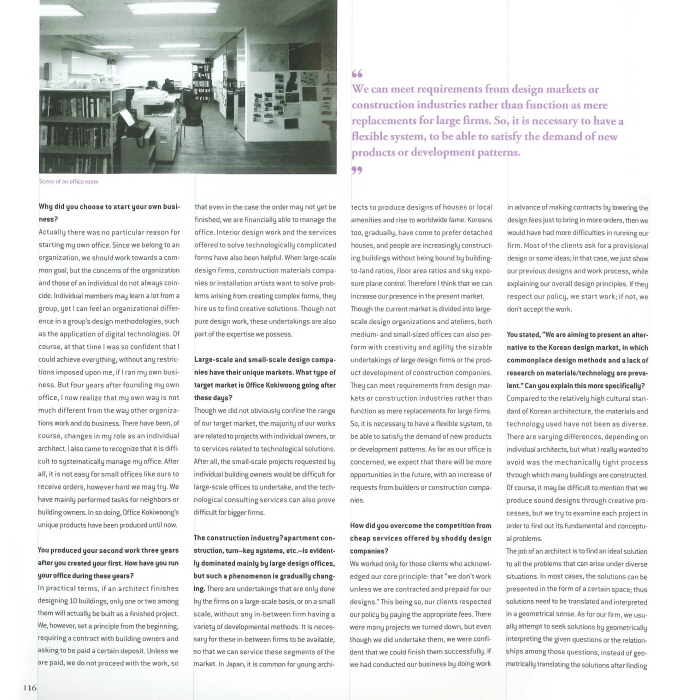 office 53427 was featured in article, 'The Similarities of Recent Works' in SPACE magazine 201112. 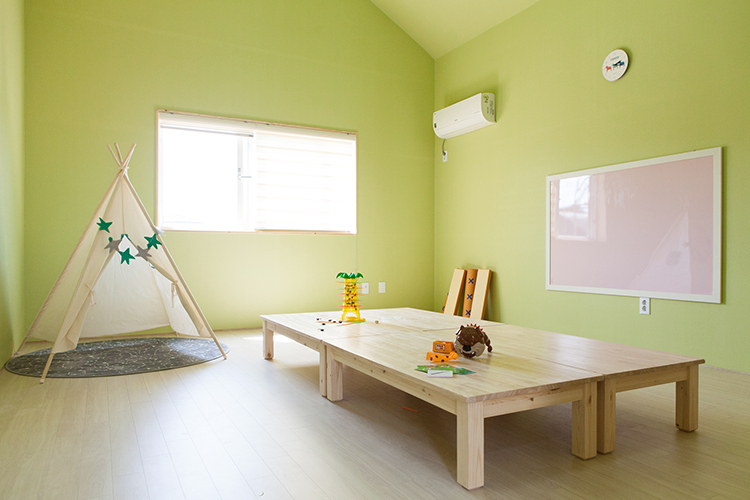 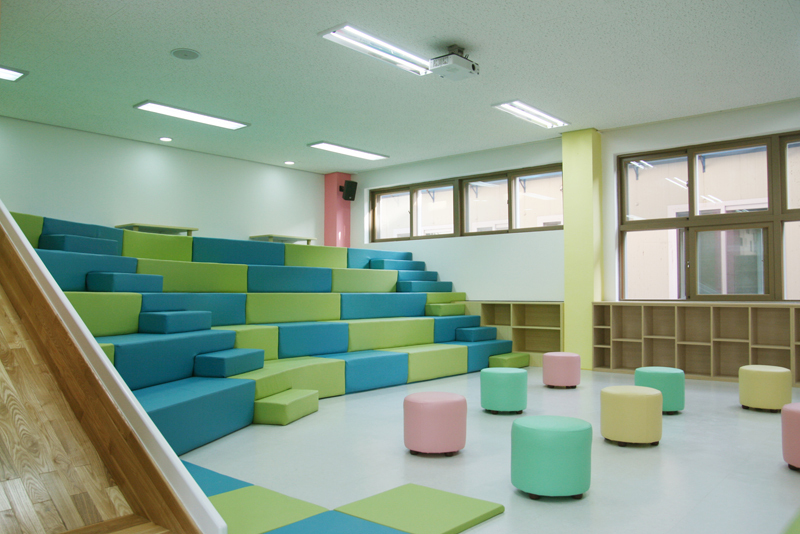 'Myoenon Primary School Book Classroom' was featured in 'Chosun news paper 20111028'.. 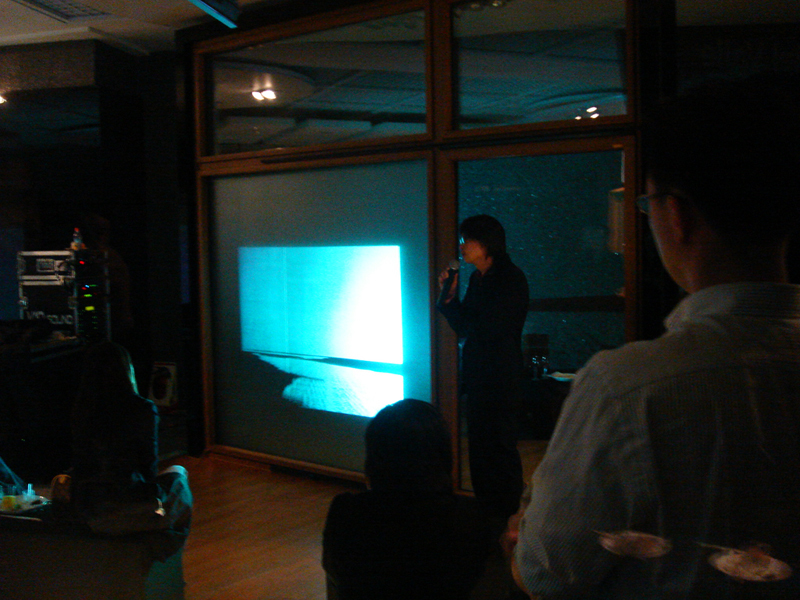 Principal Kiwoong Ko presented recent projects at 'PechaKucha Seoul Vol.11' hold by Urbanpajama. 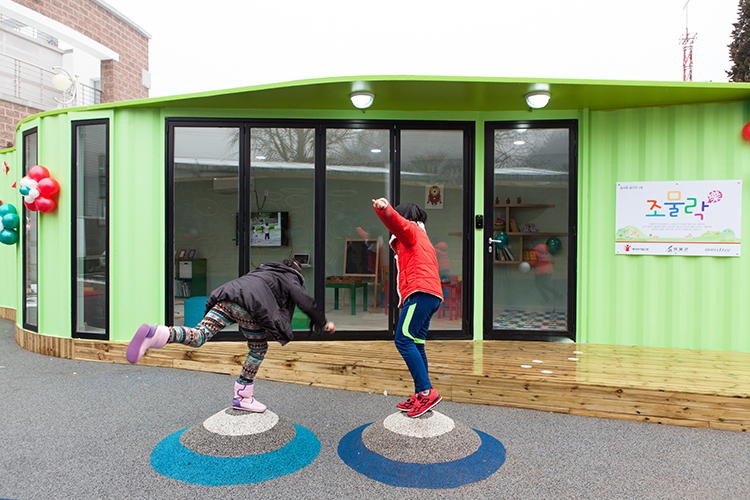 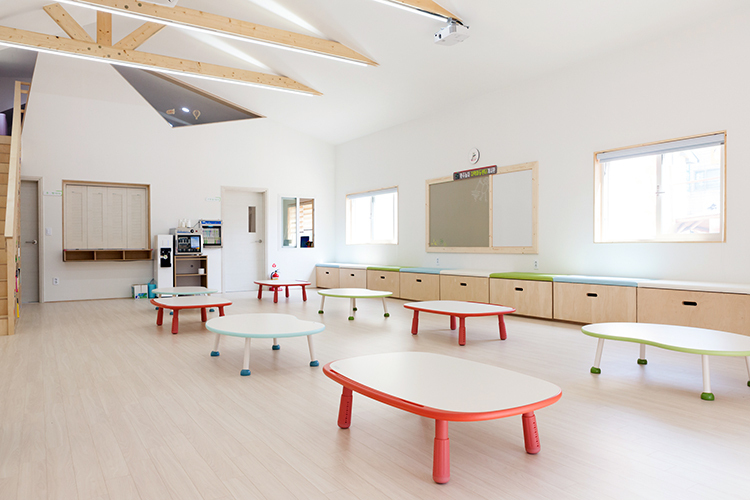 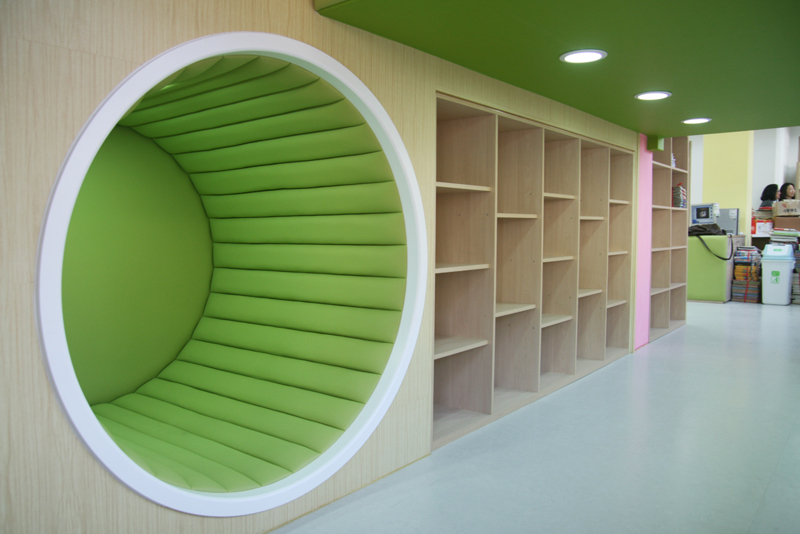 office kokiwoong designed 'Myoenon Primary School Book Classroom', as part of 'Creating a school of culture and happiness'. 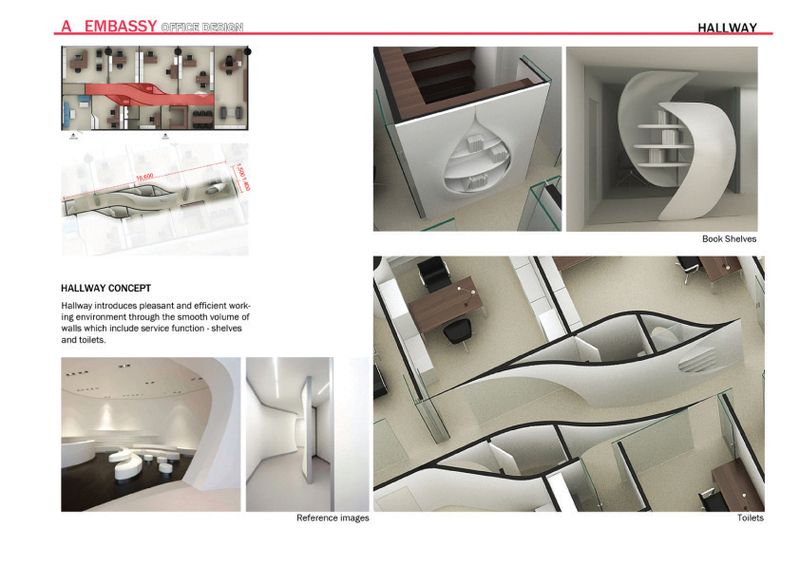 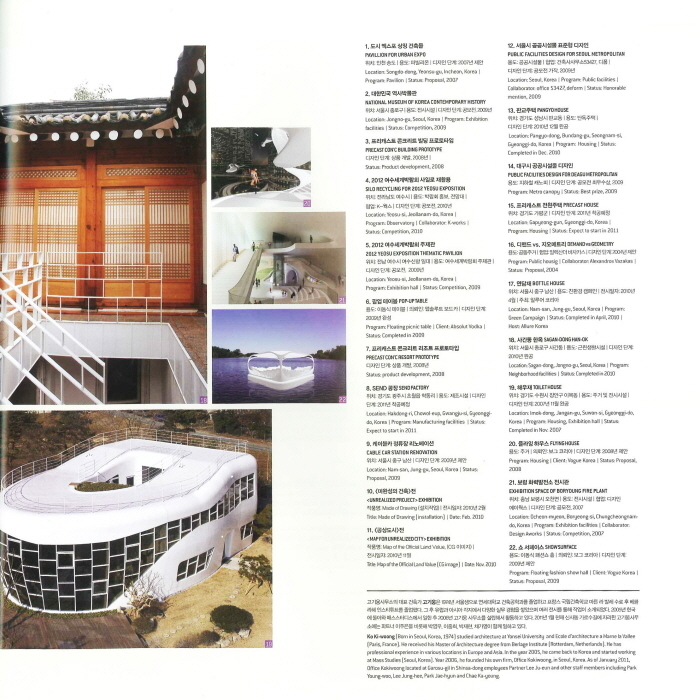 'Pankyo Single-family House' is featured in special issue 'Residences of Desire' in Space Magazine 201107. 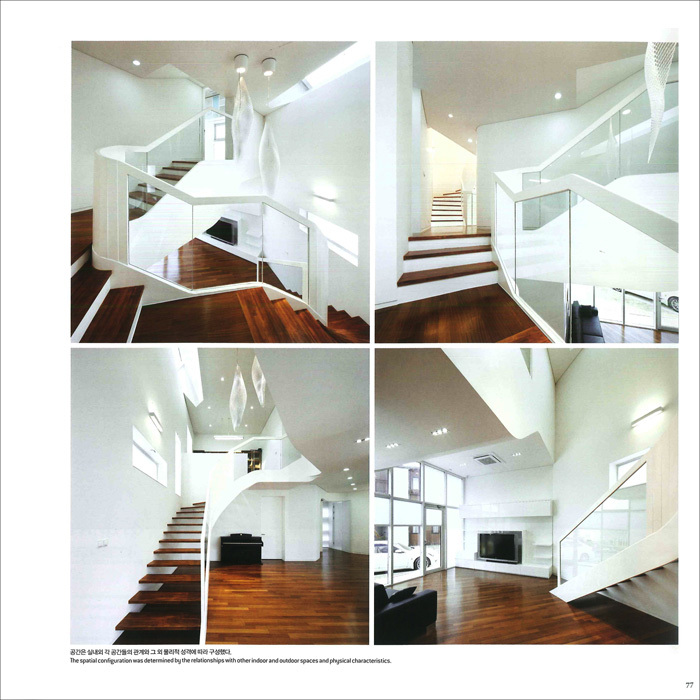 'Pankyo Single-family House' was featured in 'Hangyere news paper 20110622'..
office 53427 participated in 'Atopy Healing Center Competition' . 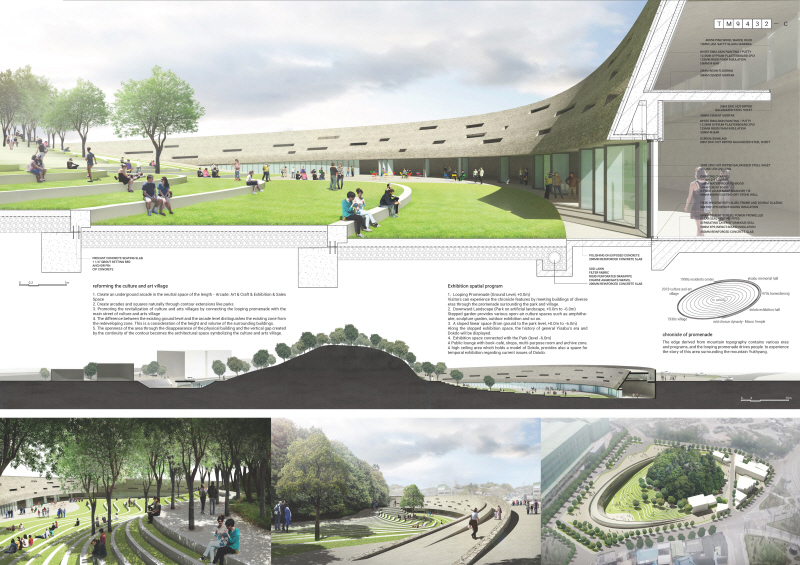 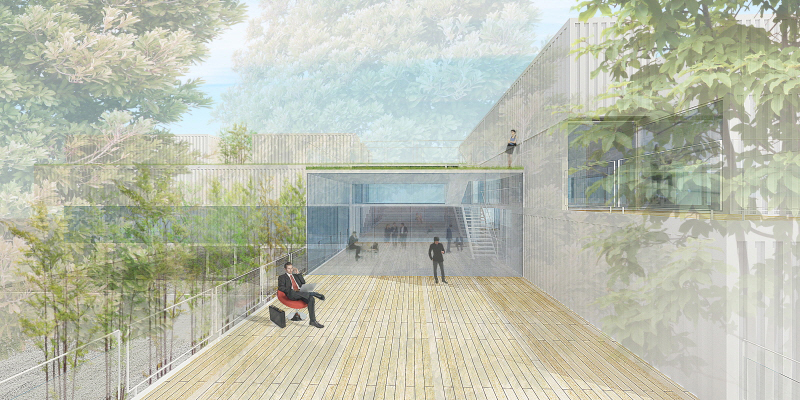 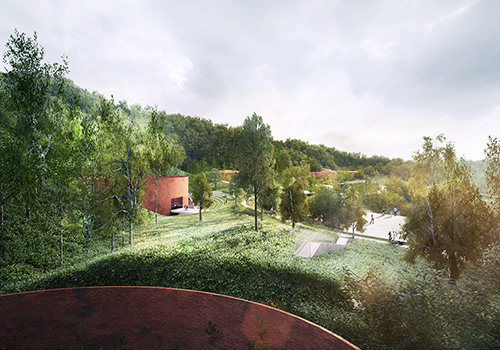 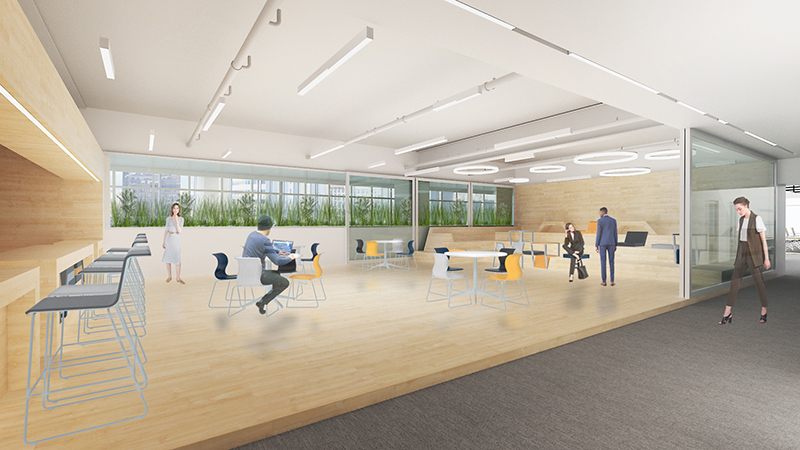 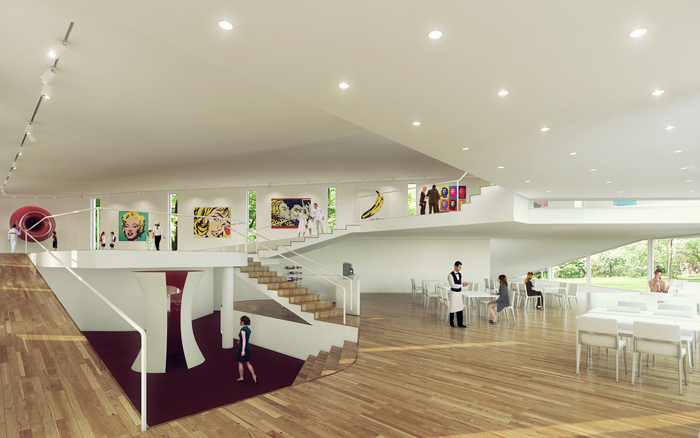 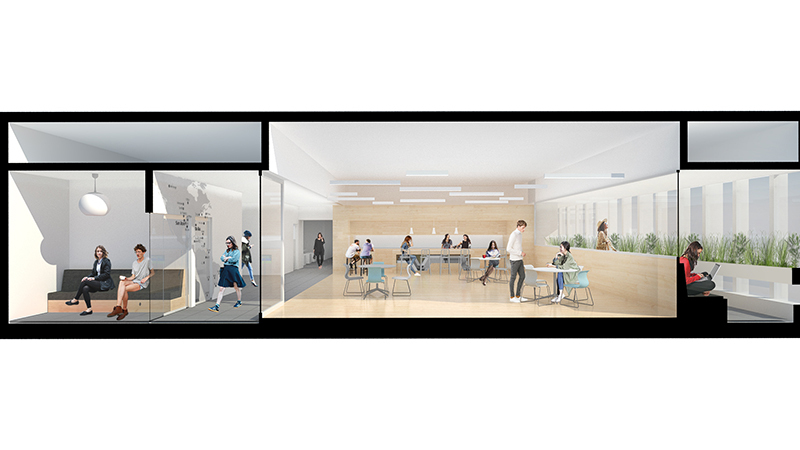 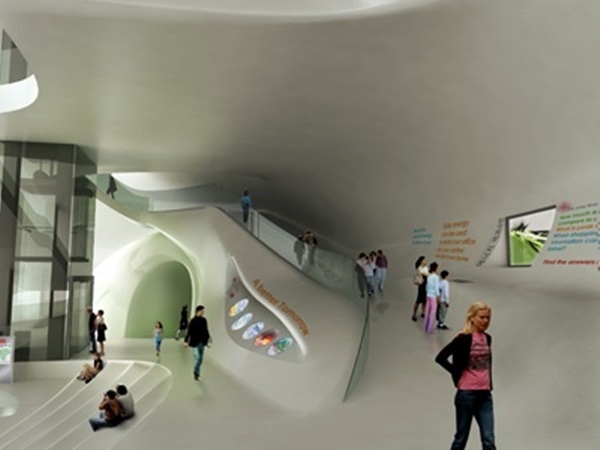 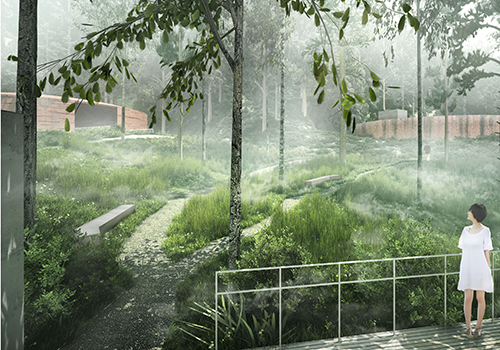 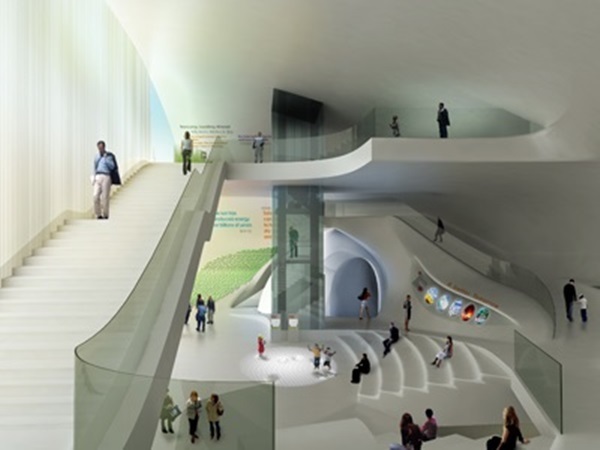 office 53427 won second prize in 'Dooley Museum Competition' with CA Landscpae design. 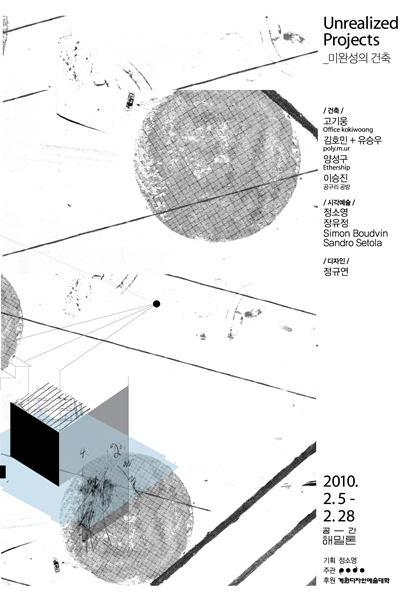 office kokiwoong presents an art printing, 'Recycle of Desire' 'Re:Nature' Exhibition at Space CAN. 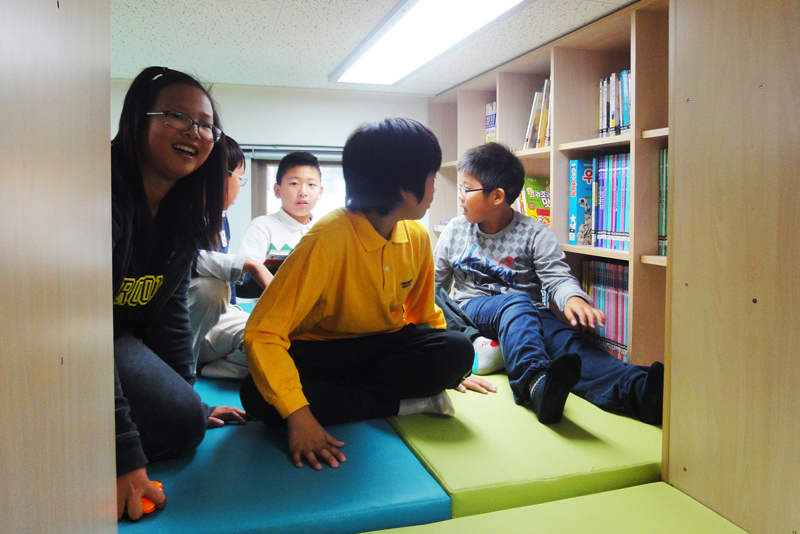 Principal Kiwoong Ko was designated as a Director for '2011 Happy School Making Project'. 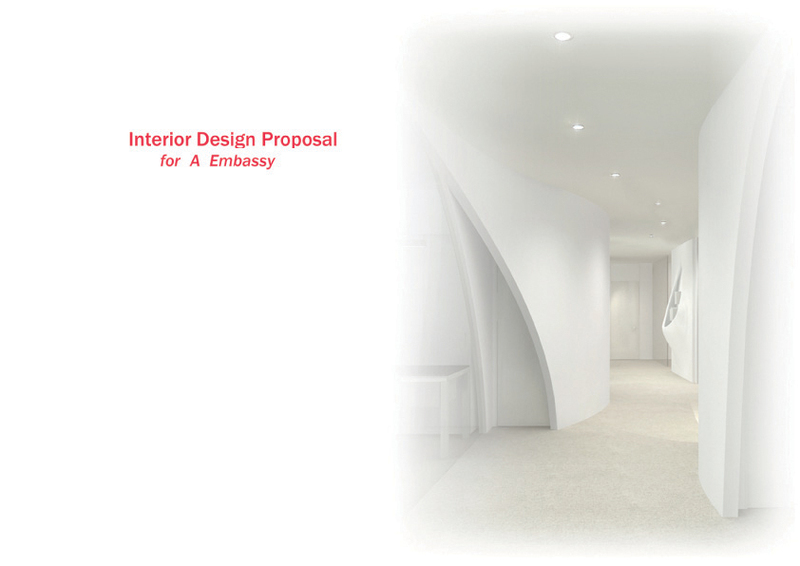 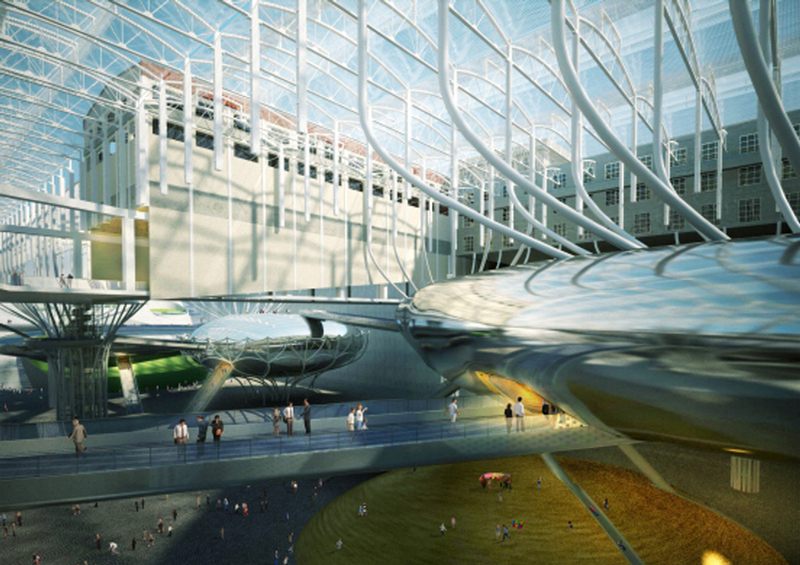 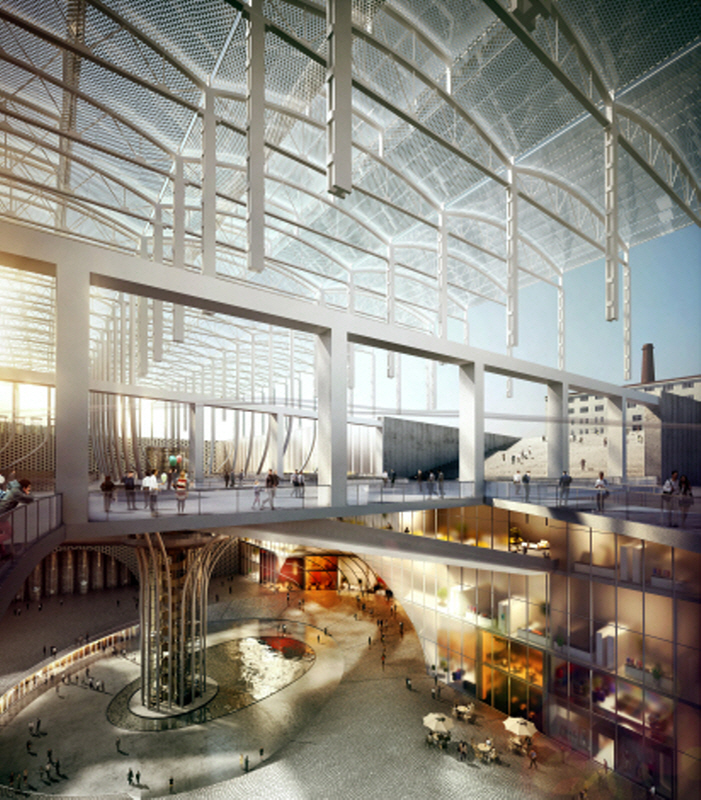 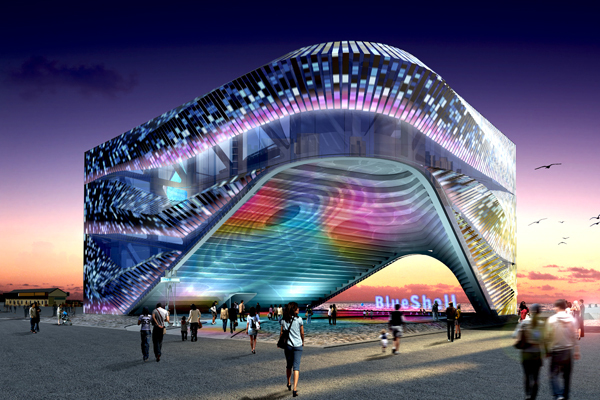 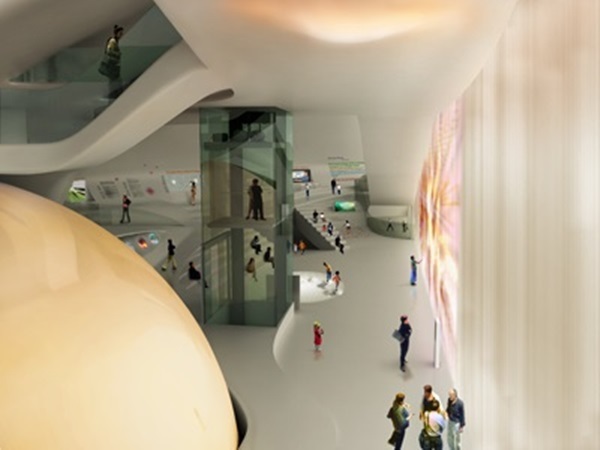 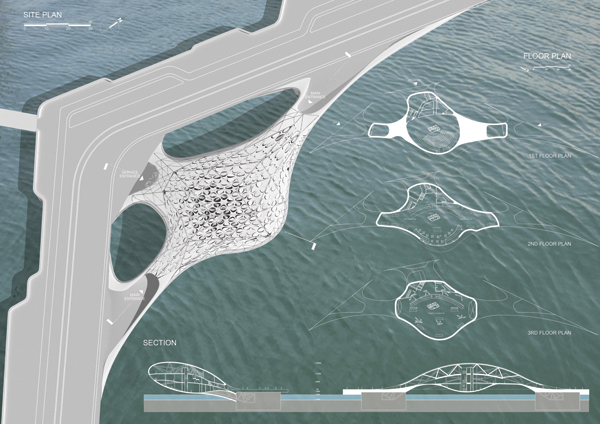 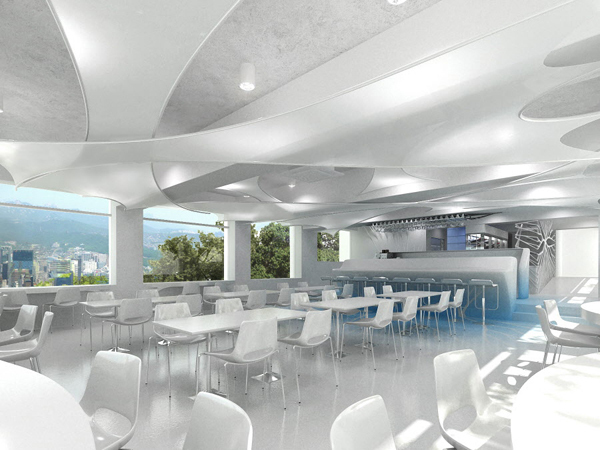 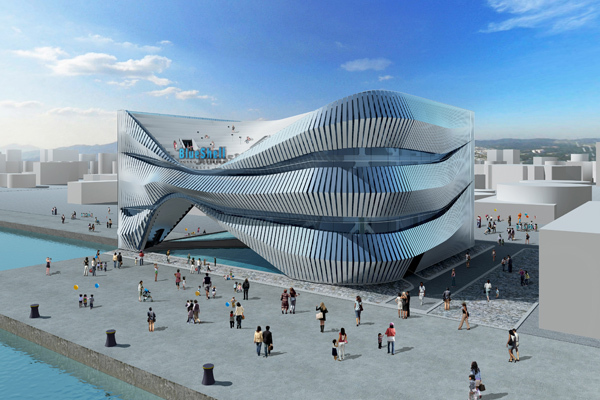 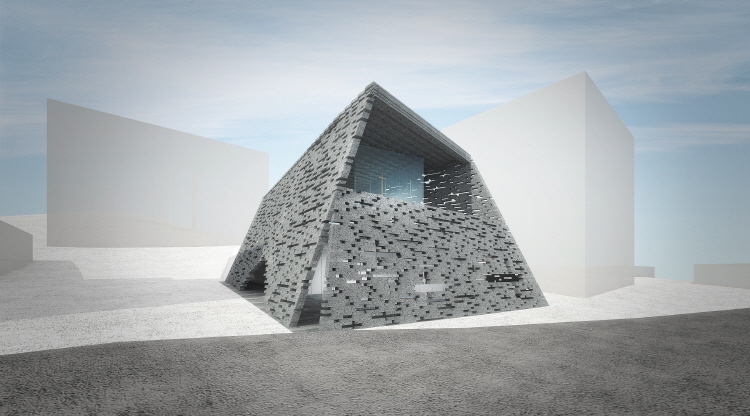 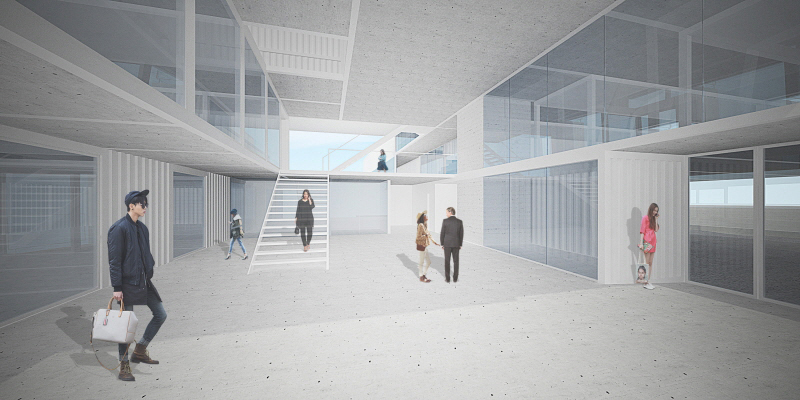 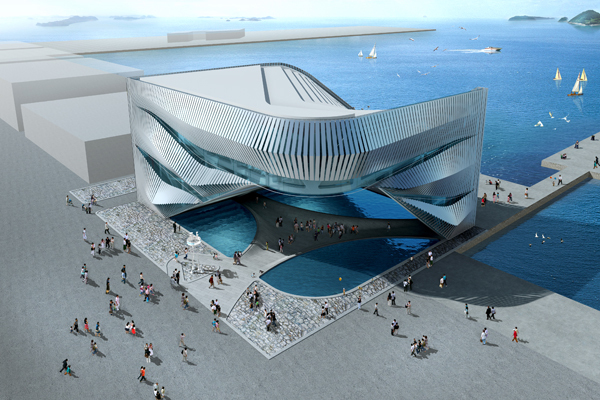 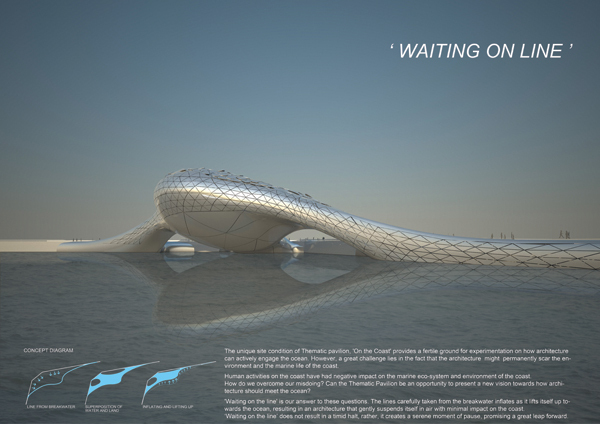 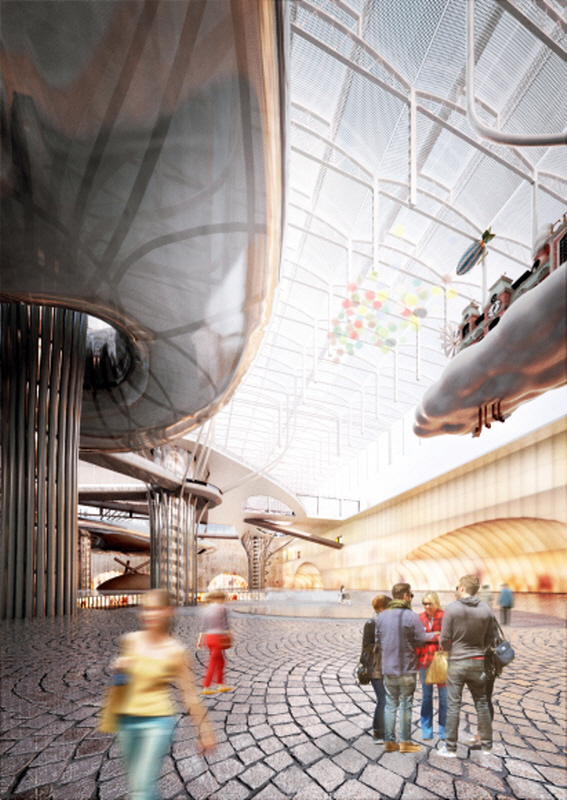 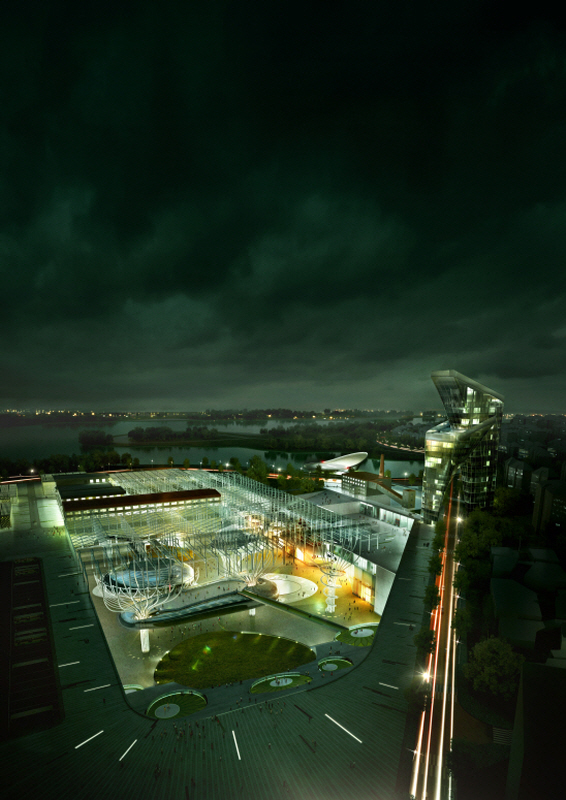 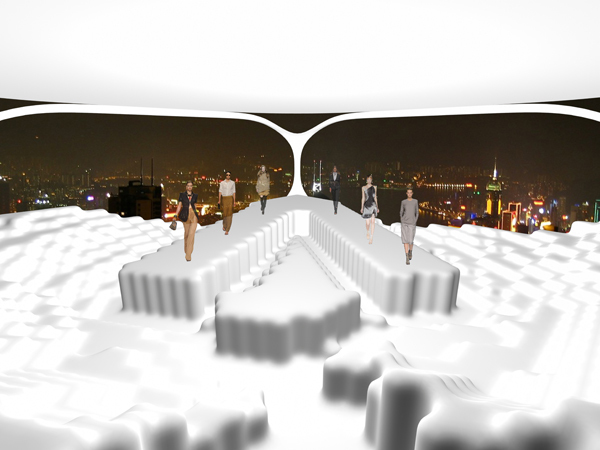 office 53427 participated in '2012 Yeosu-expo Posco Pavilion Competition'. 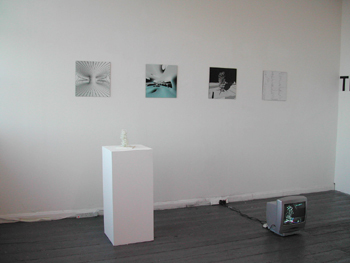 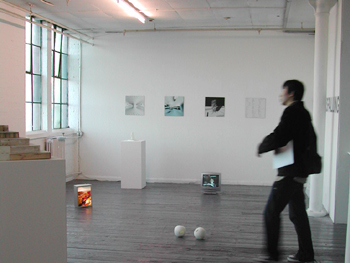 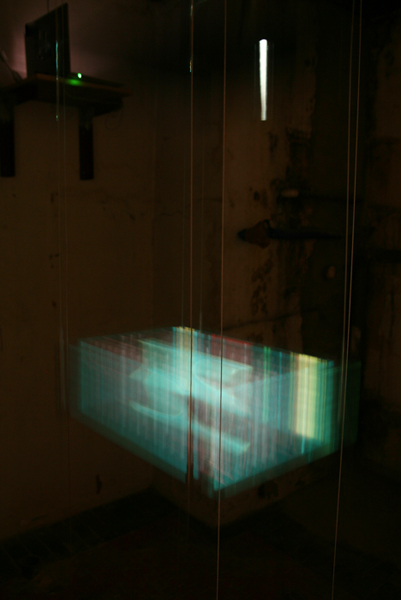 office 53427 presented works of 'Pin-up' at SH Gallery with System-lab & The living. 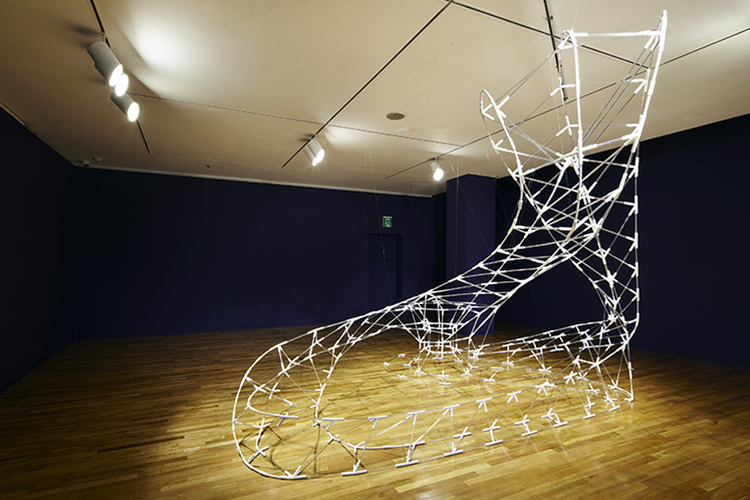 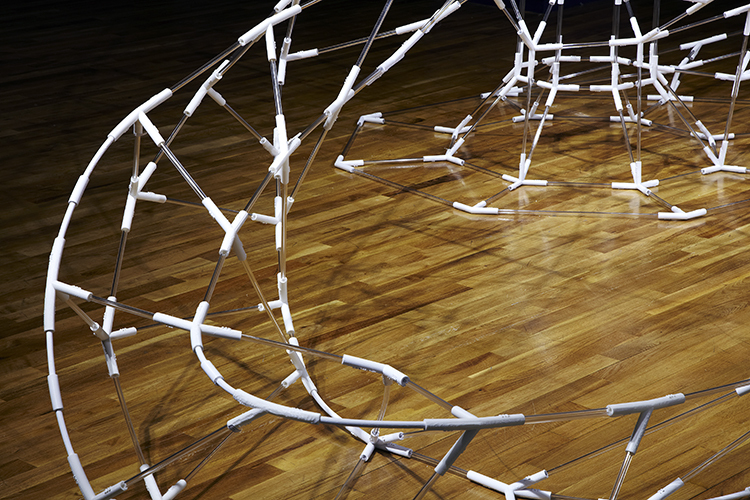 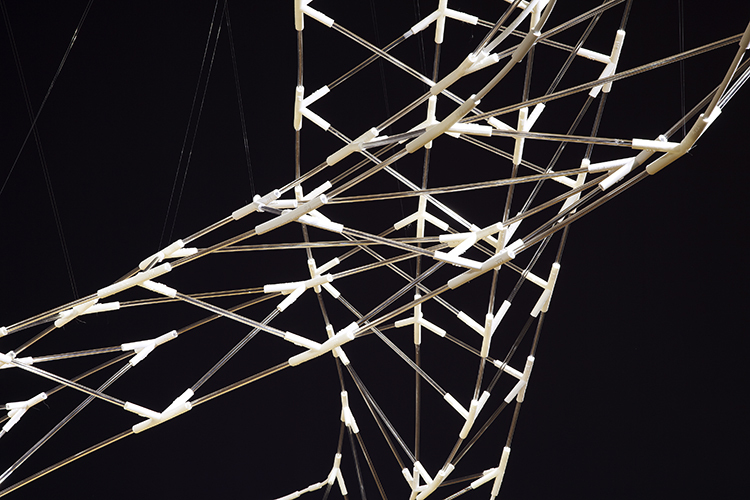 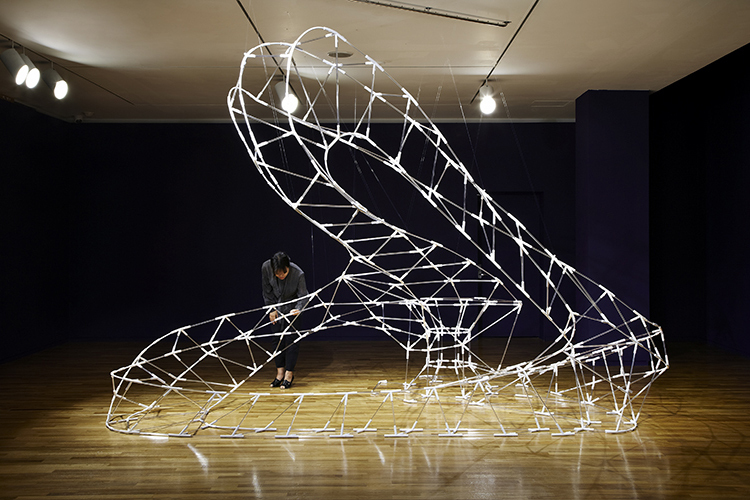 office kokiwoong presented an art installation, 'Made of Drawings II' at 'Poly-sens' Exhibition curated by Savina museum. 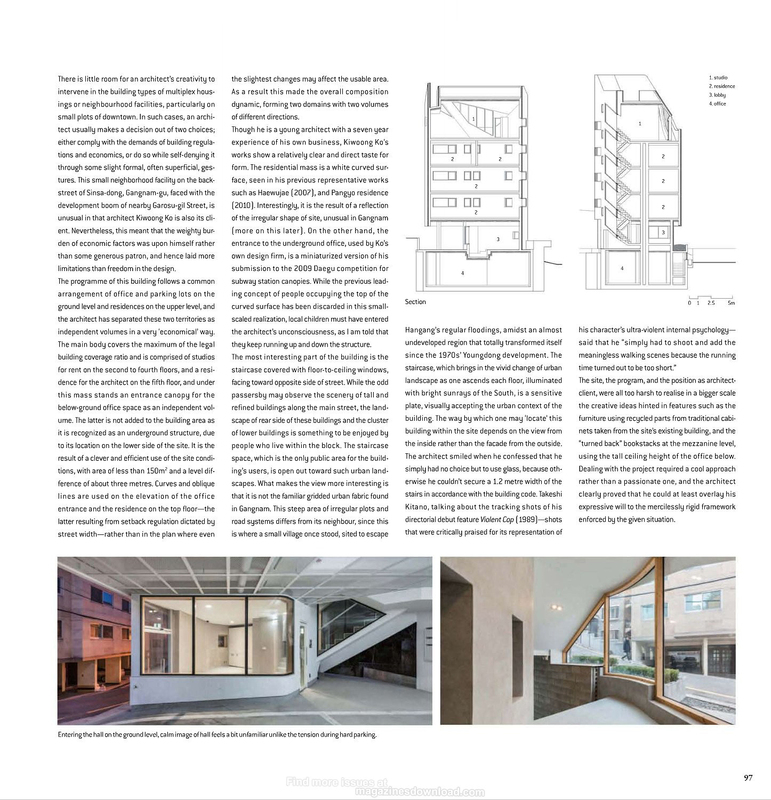 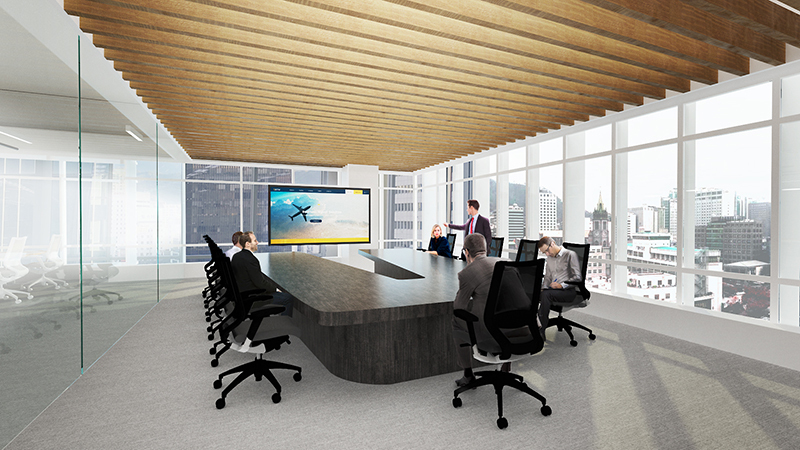 office 53427 was featured in article 'Explore the Young Architects Group_01' in Space Magazine. 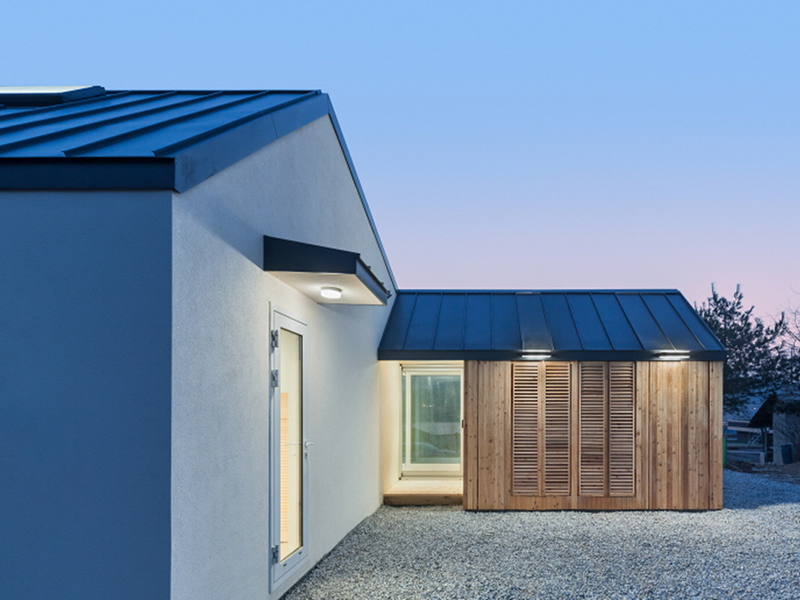 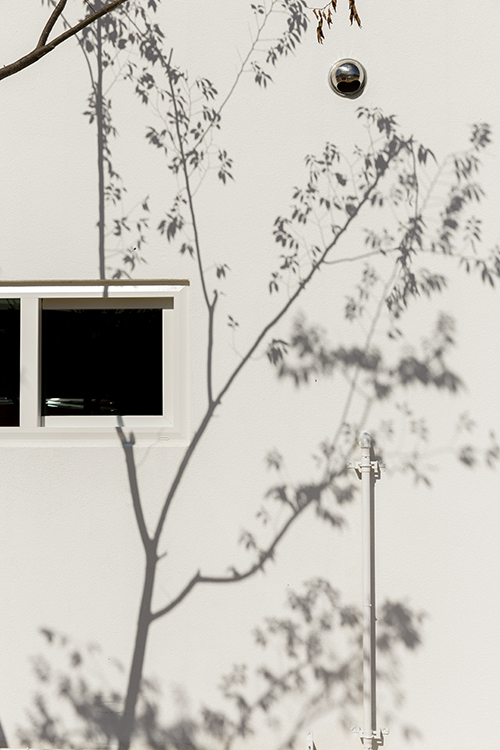 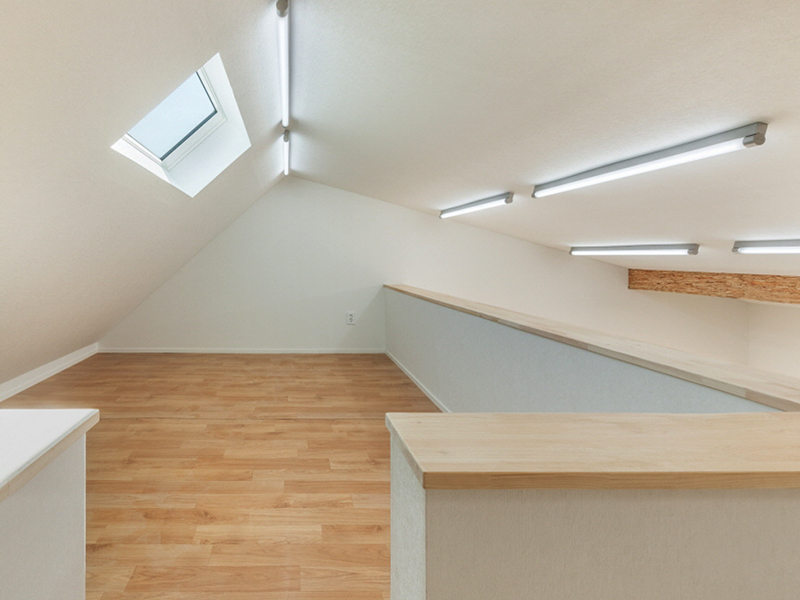 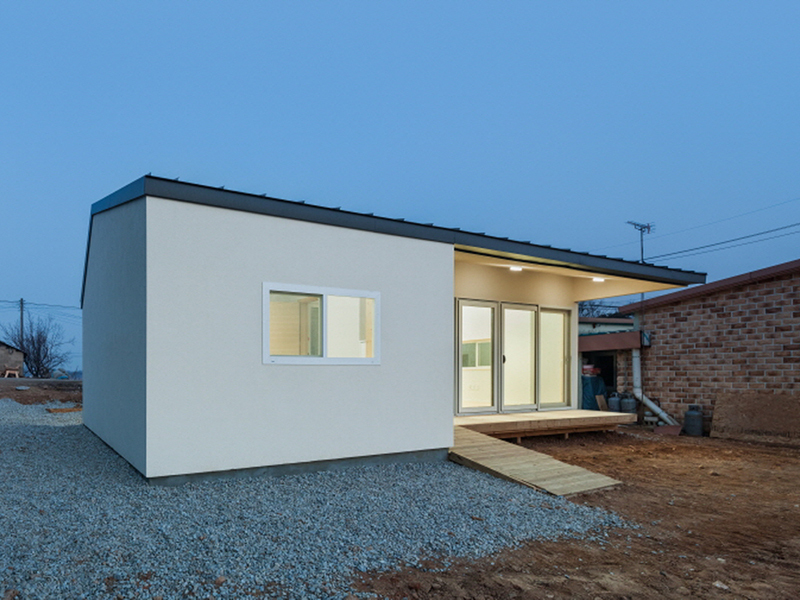 'Pankyo Single-family House' was completed . 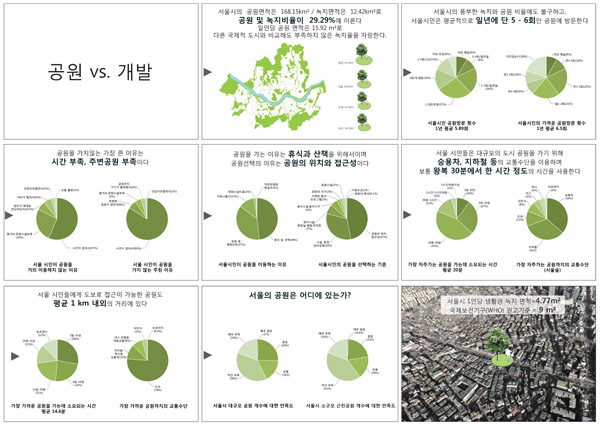 office kokiwoong presented 'Map of official Land Value' at 'Map for Unrealized City' Exhibition. 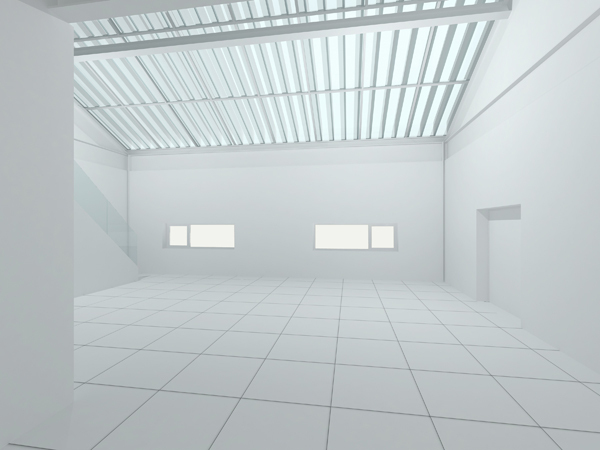 office 53427 started designing a 'SEND Factory'. 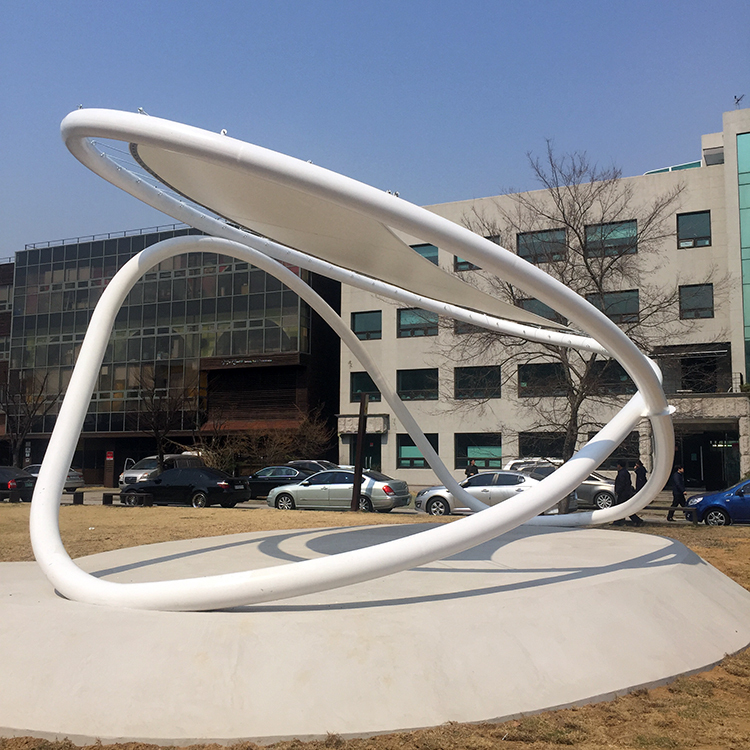 Principal Kiwoong Ko was delegated as a Member of Evaluation Committee for Public Design Development by Ministry of Culture and Tourism. 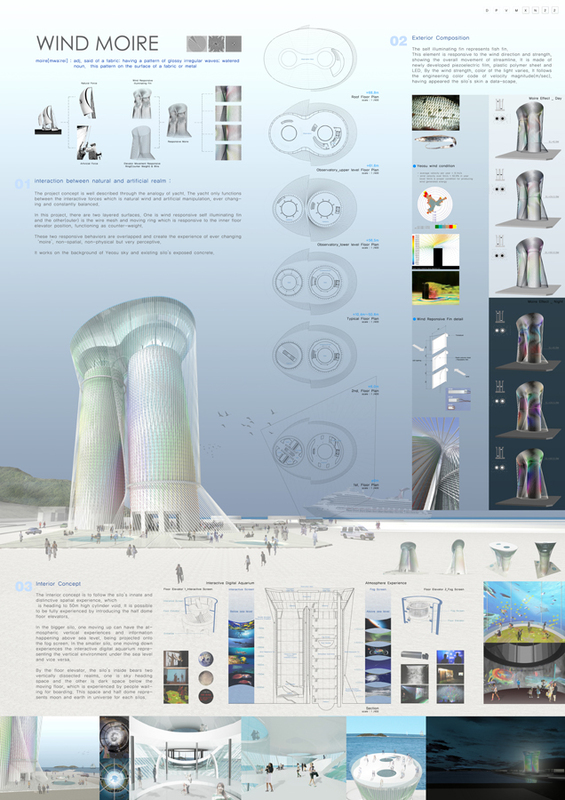 office 53427 participated in '2012 Yeosu Expo Silo Recycling Competition' with K-works. 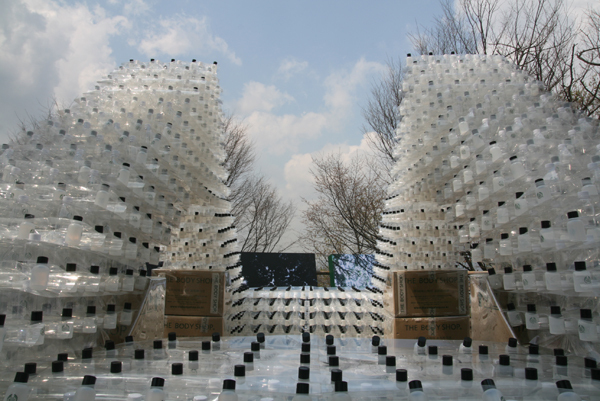 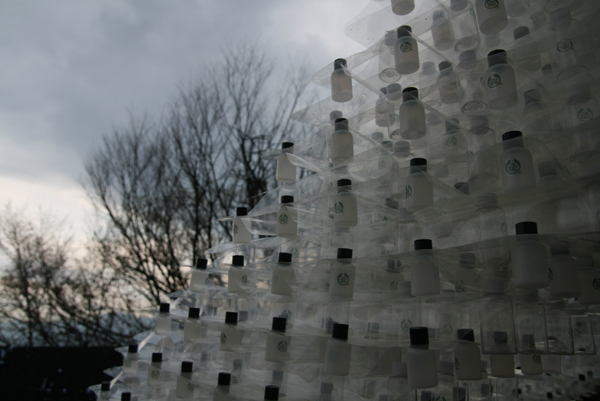 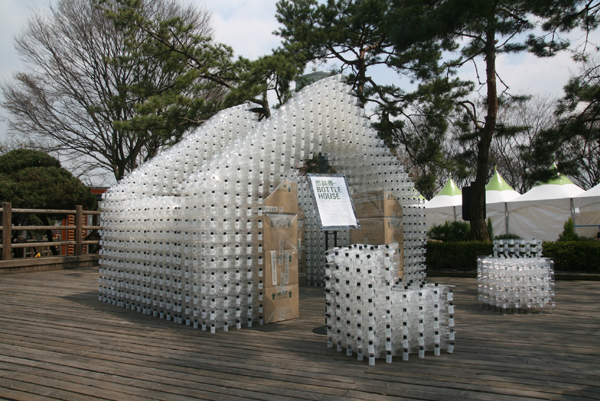 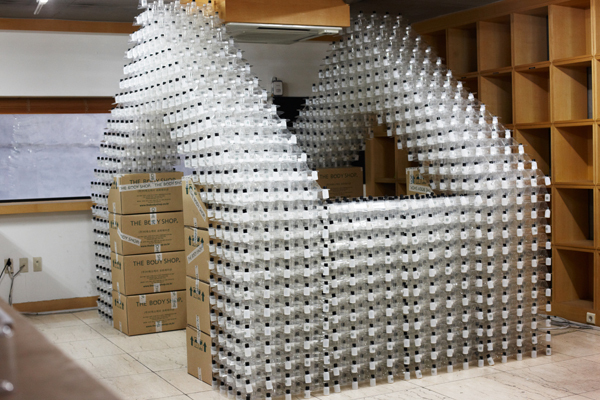 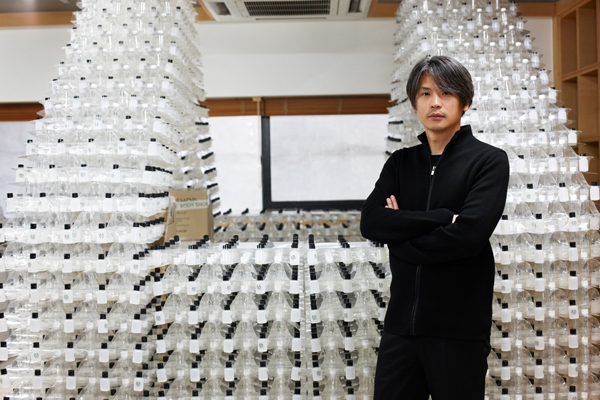 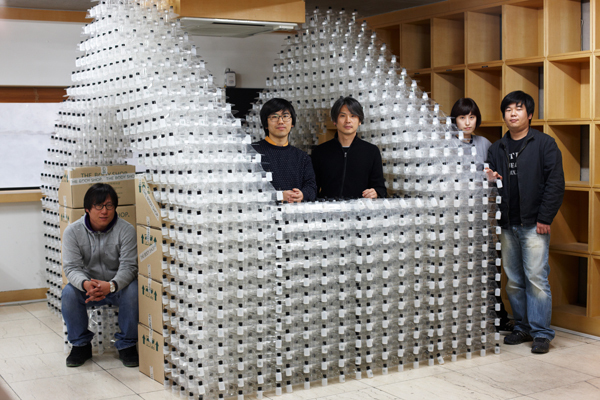 office kokiwoong presented 'Bottle House' at '2010 Green Allure Campaign' curated by Allure Korea. 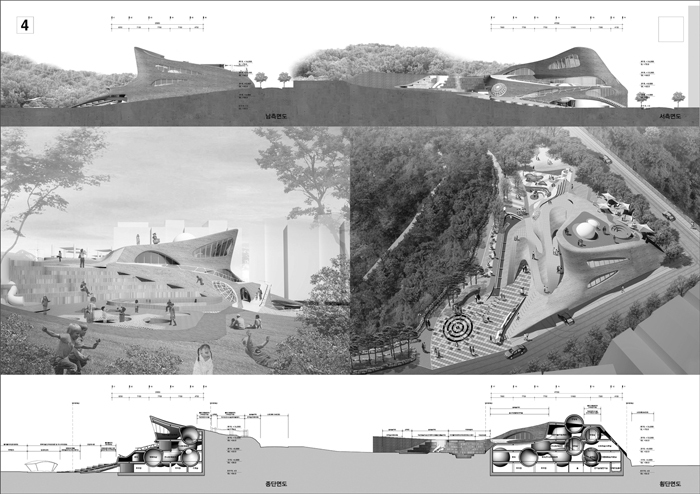 office 53427 participated in 'National Museum of Korea Contemporary History Competition'. 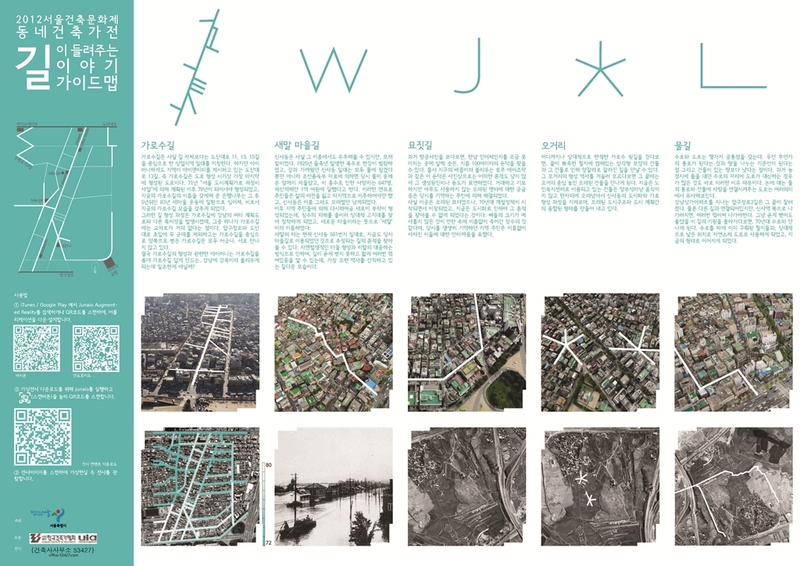 office kokiwoong presented an art printing, 'Map of Official Landvalue' at 'Unrealized Projects' Exhibition curated by Podo. 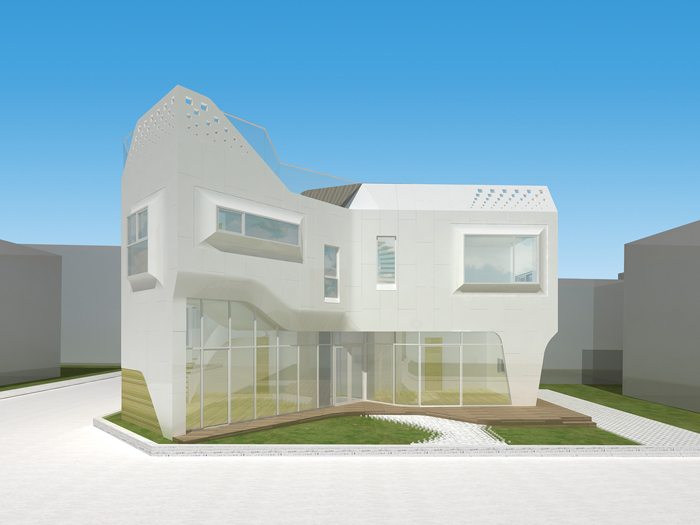 office 53427 designed 'Pankyo Single-family House'. 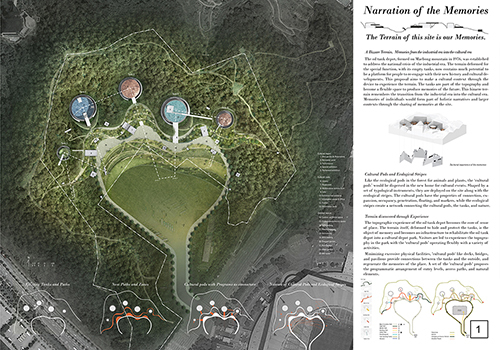 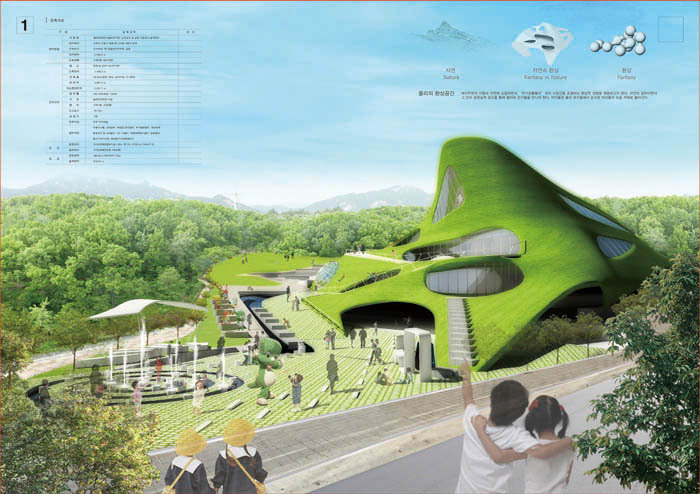 office 53427 participated in 'Yongsan Park Idea Competition'. 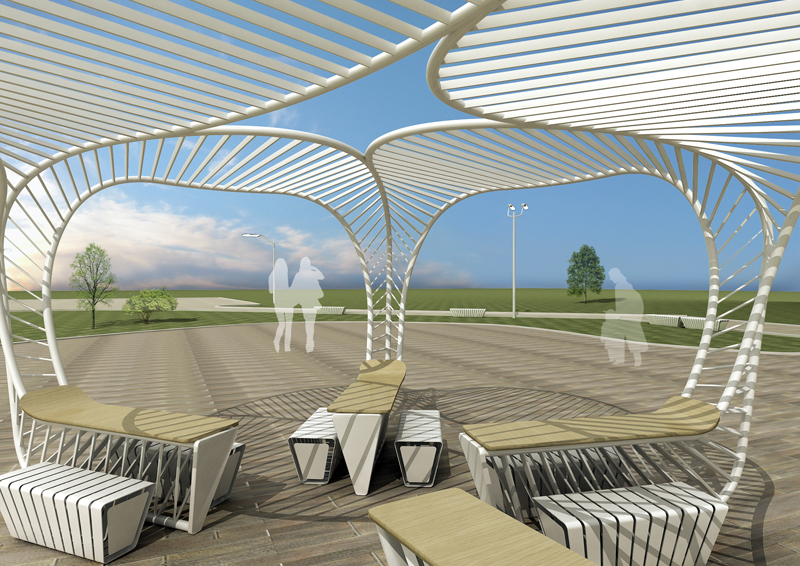 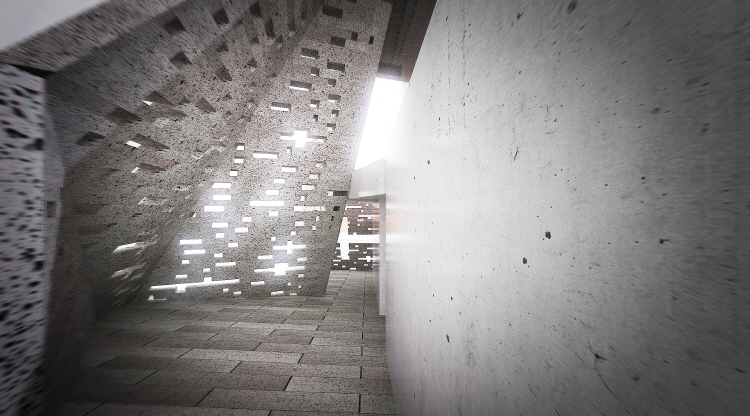 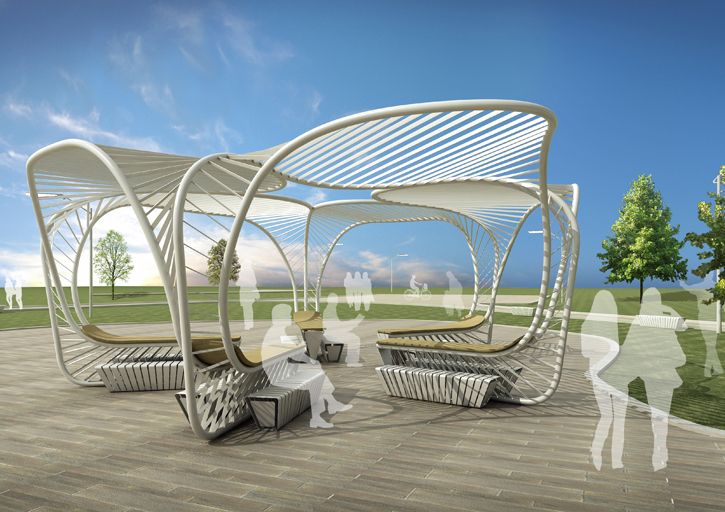 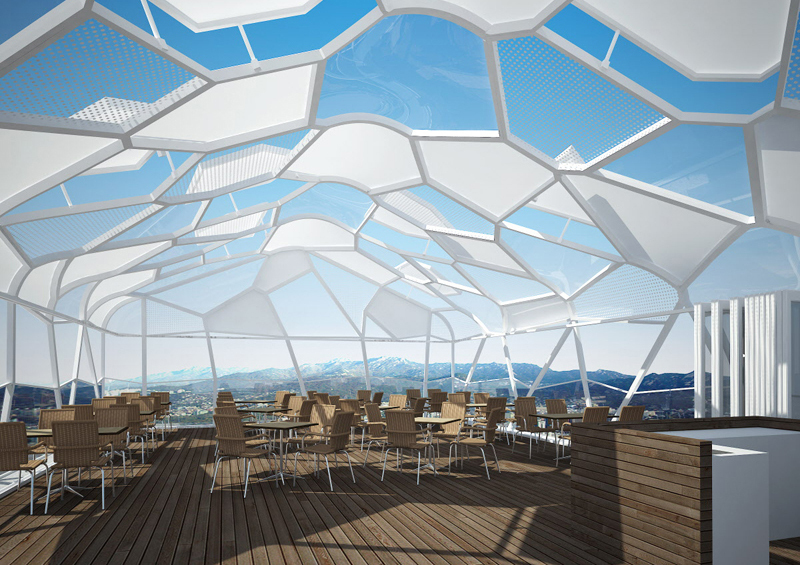 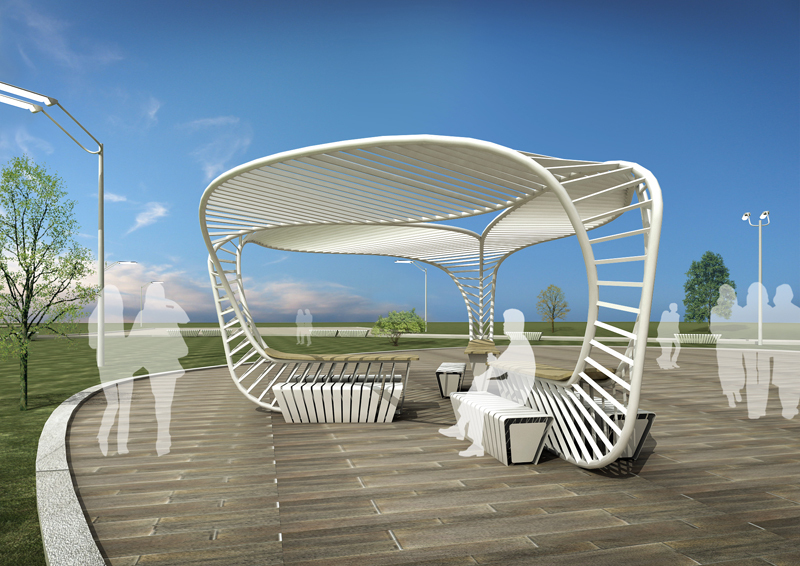 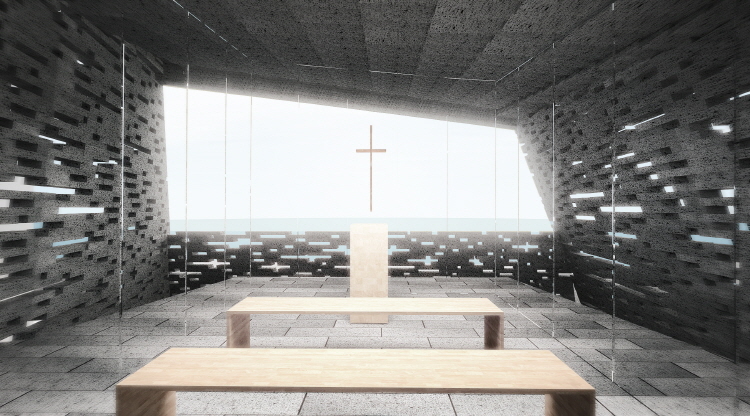 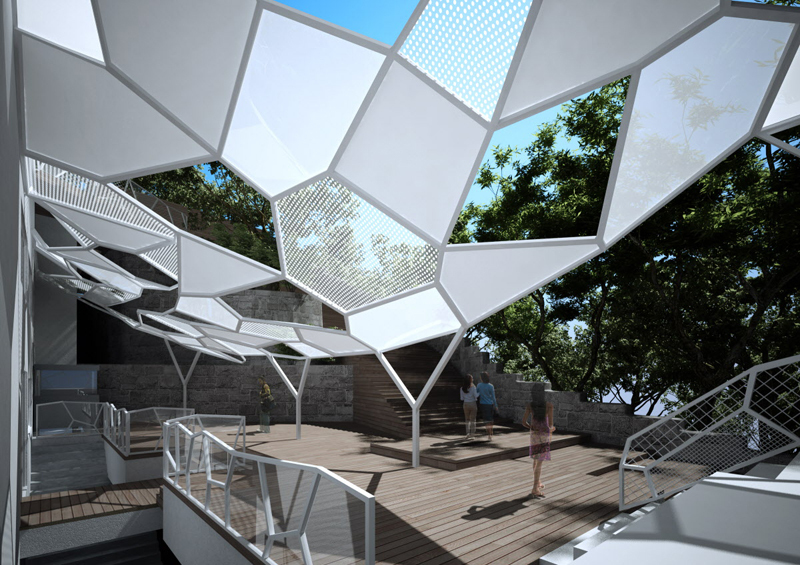 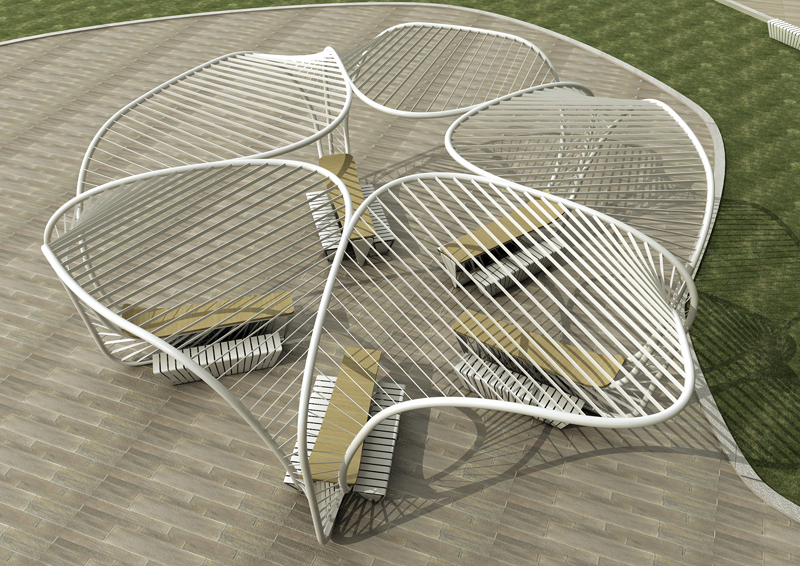 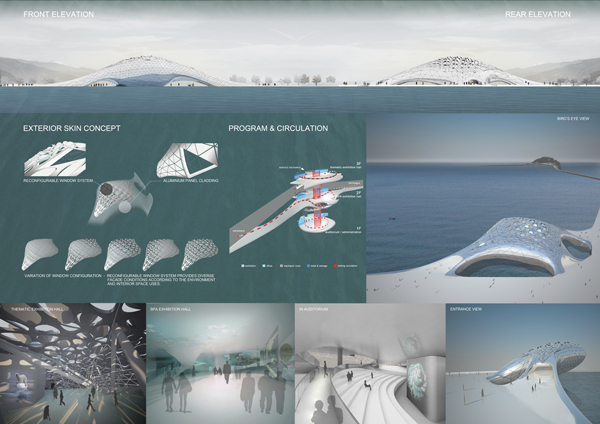 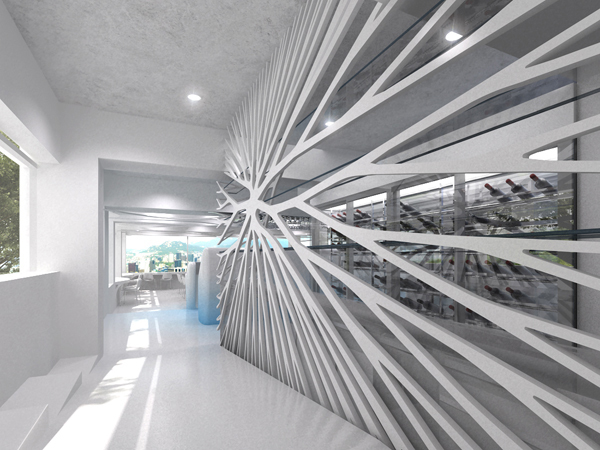 office 53427 participated in '2012 Yeosu Expo' Thematic Pavilion Competition' . 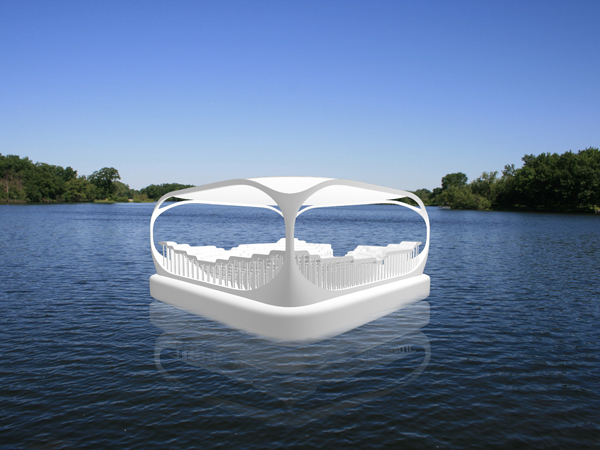 office kokiwoong presented 'Floating Pop-up Table' at 'Absolut Vodka Pop-up Party'. 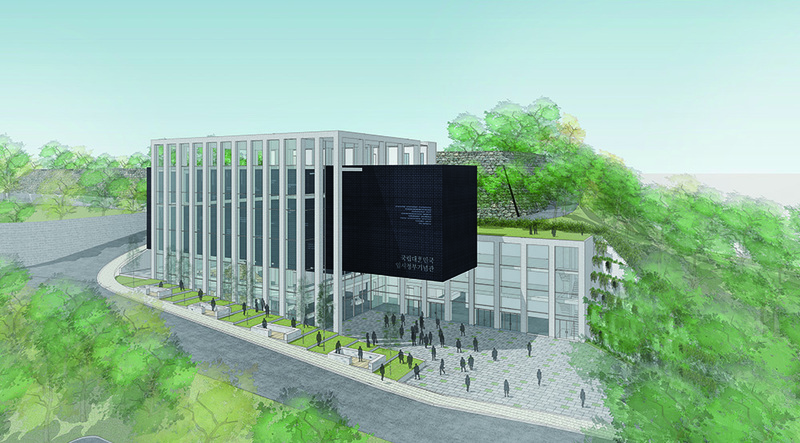 office kokiwoong desinged remodeling of 'Namsan Cable Car Station'. 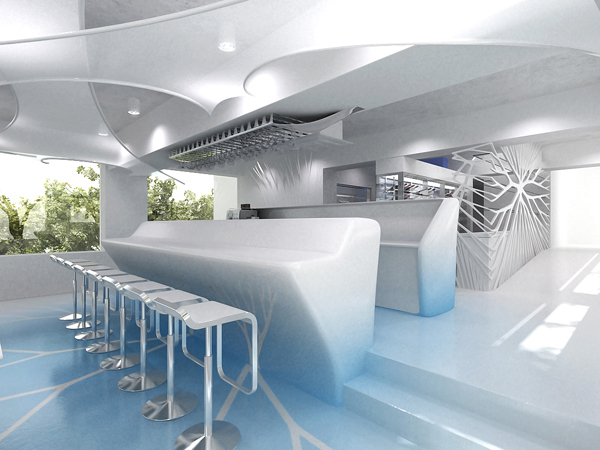 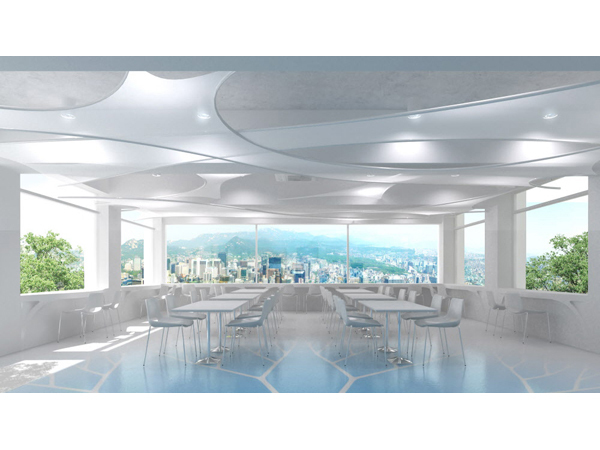 office kokiwoong designed 'CIBOCIMA, Cafe in Namsan Cable Car Station'. 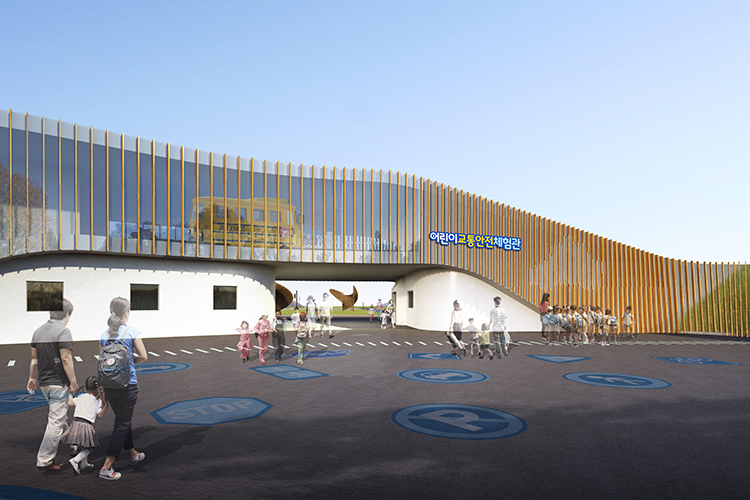 office kokiwoong won first prize in 'Public facilities design Competition for Deagu Metropolitan'. 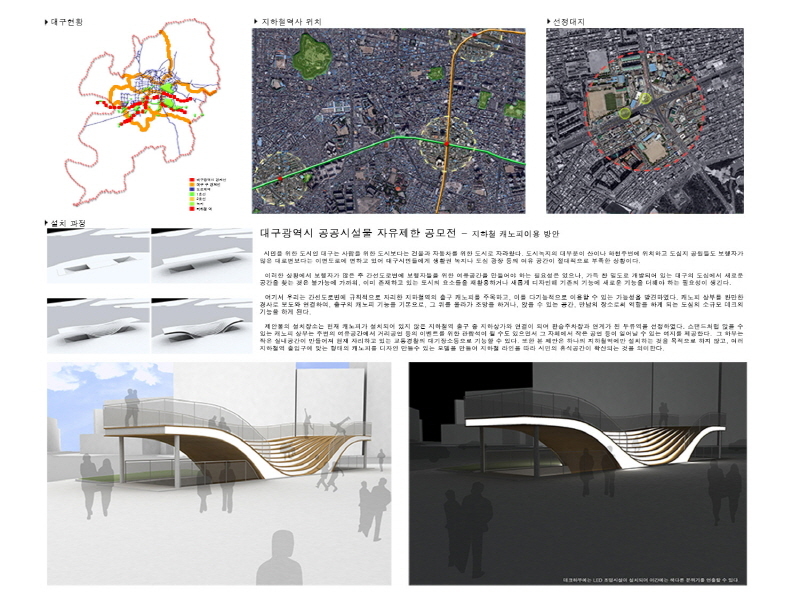 office kokiwoong & office 53427 won 3rd prize in 'Public facilities design Competition for Seoul Metropolitan'with deForm. 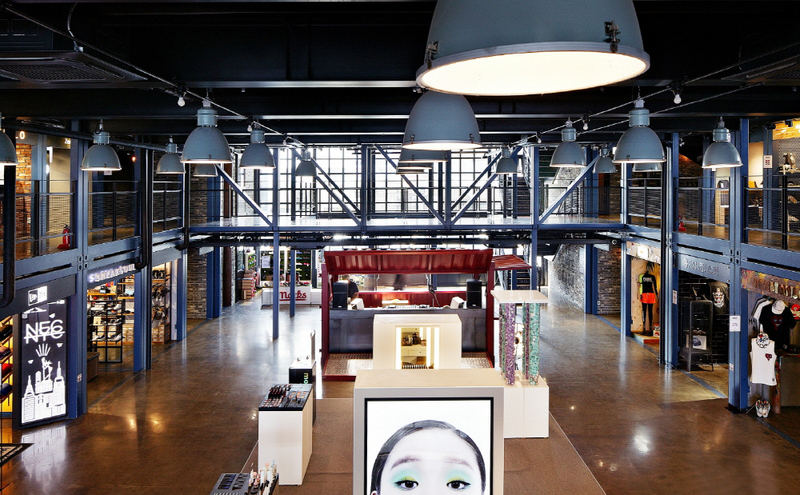 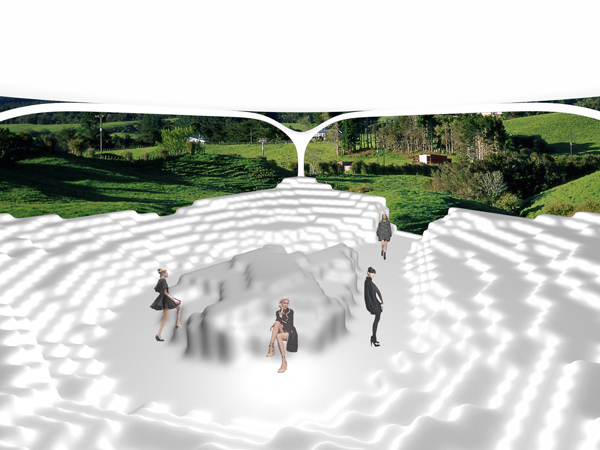 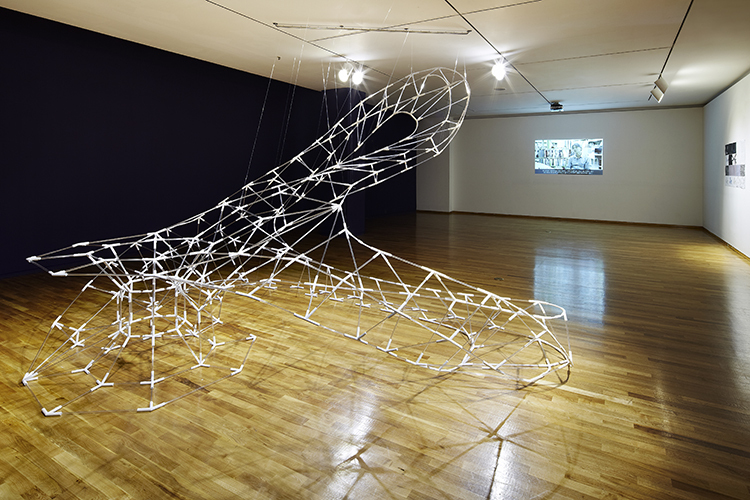 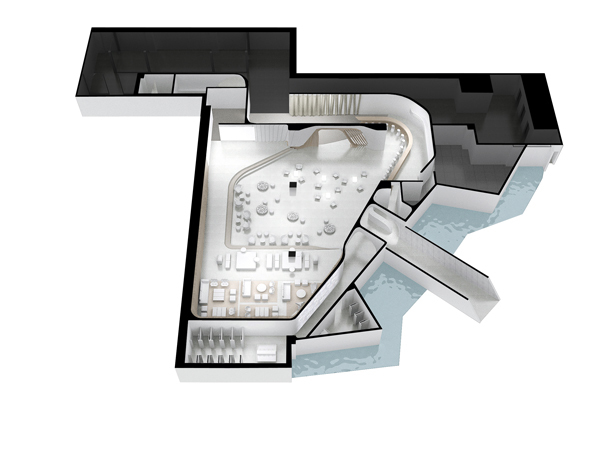 office kokiwoong designed 'Fashion show stage' for 'Show Space' for February 2009 issue of Vouge Korea. 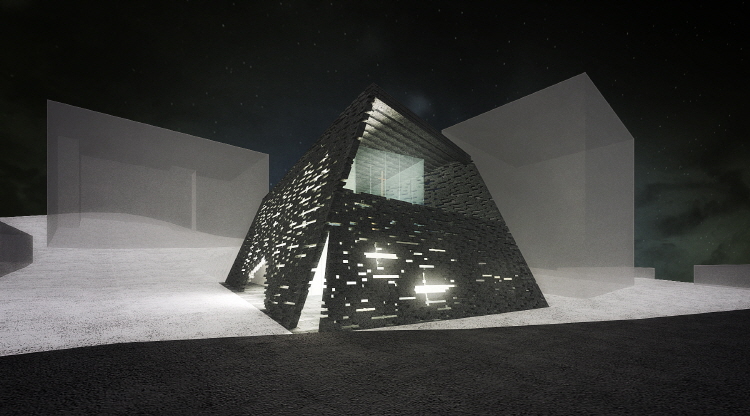 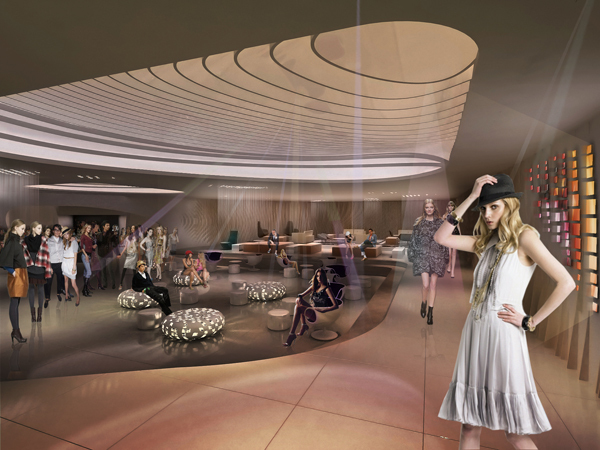 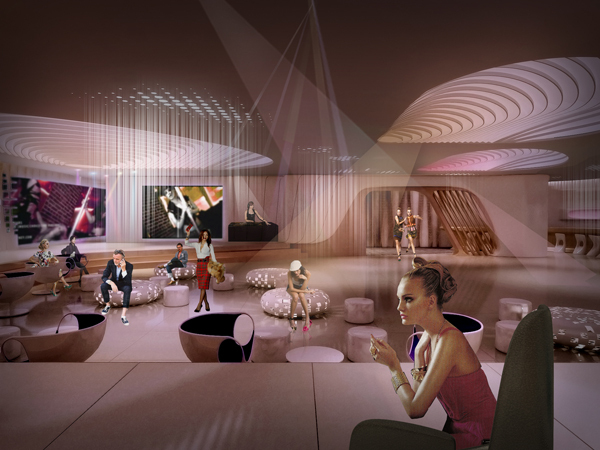 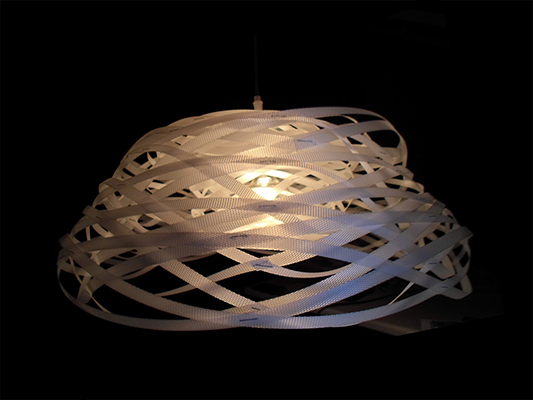 office kokiwoong designed 'A Club'with Parascope. 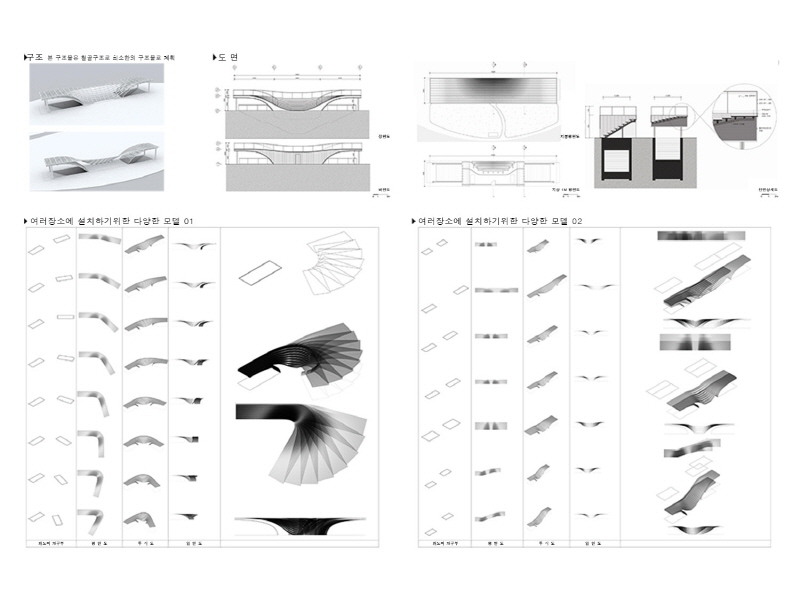 Principal Kiwoong Ko gave a lecture titled 'Use of Associative Parametric Design Application' in Building Smart Conference 2008.
office kokiwoong was invited ''A' Embassy Interior Competition'with TeamBahn. 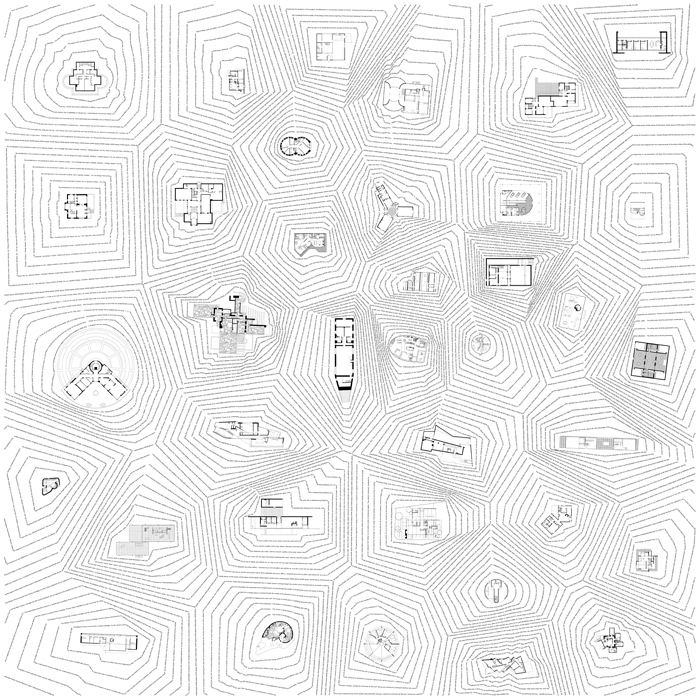 office kokiwoong participateed in The 3rd Architectural Biennial Beijin (IM) Material Processes New Digital Techniques for Architecture. 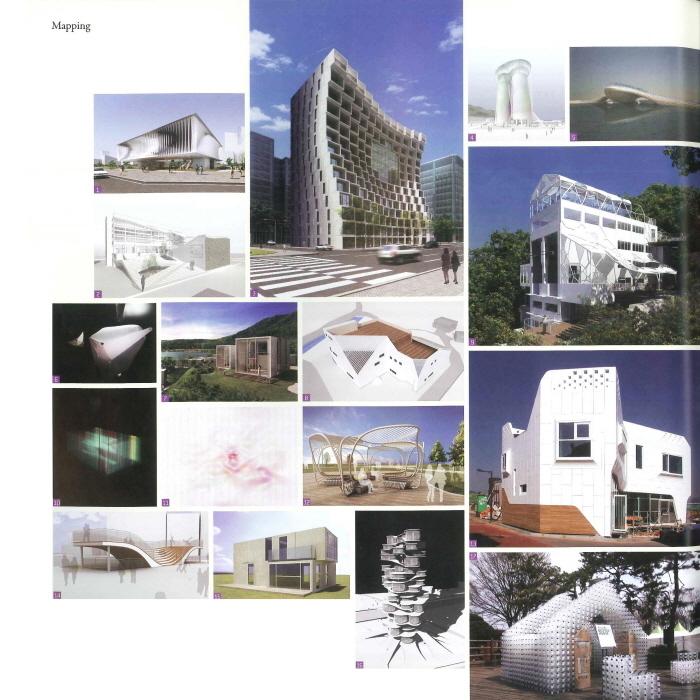 office kokiwoong designed 'Prototypes of pre-cast Concrete Building' for UB construction. 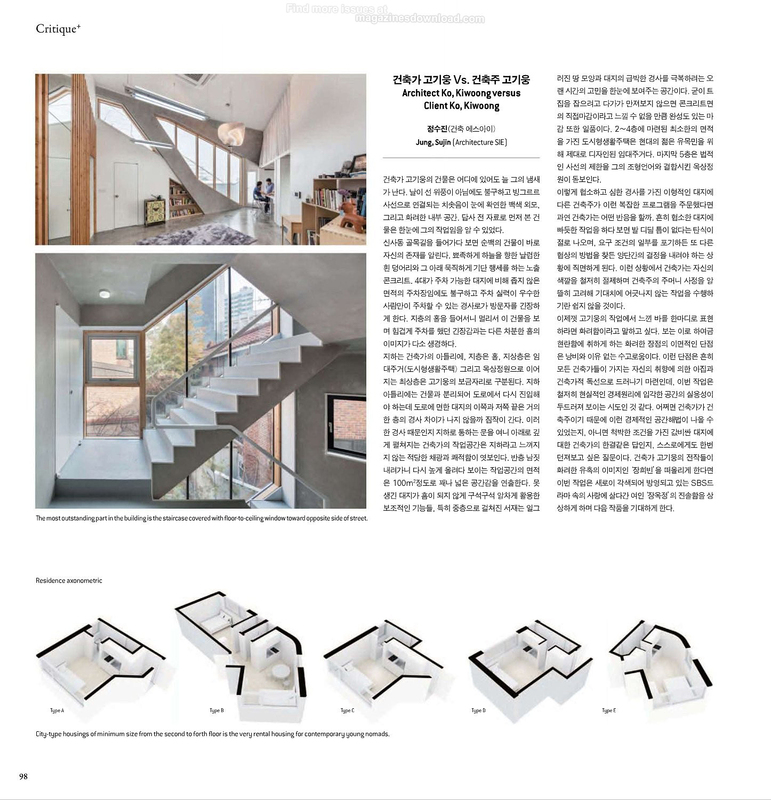 office kokiwoong designed 'Flying House' for 12th Anniversary issue of Vouge Korea. 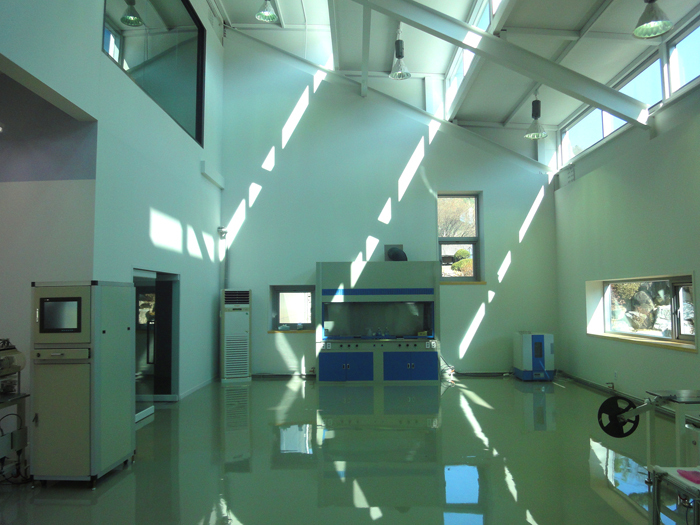 office kokiwoong and Bentley Systems Korea(Int.) 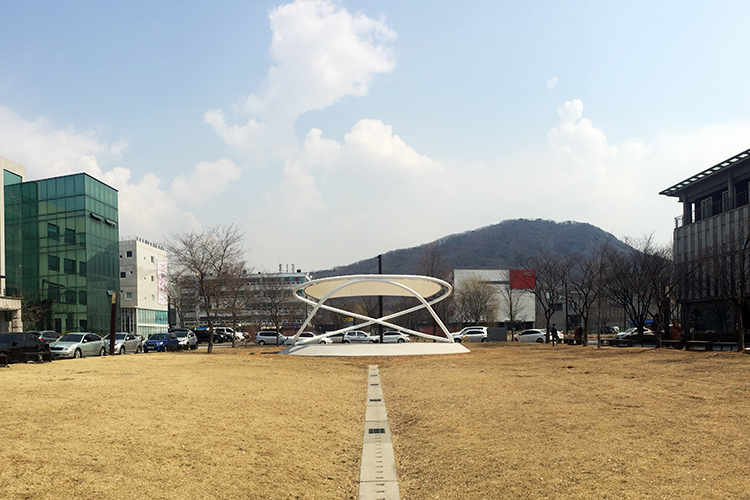 agreed on sponsorship of a software supply for the research unit of office kokiwoong. 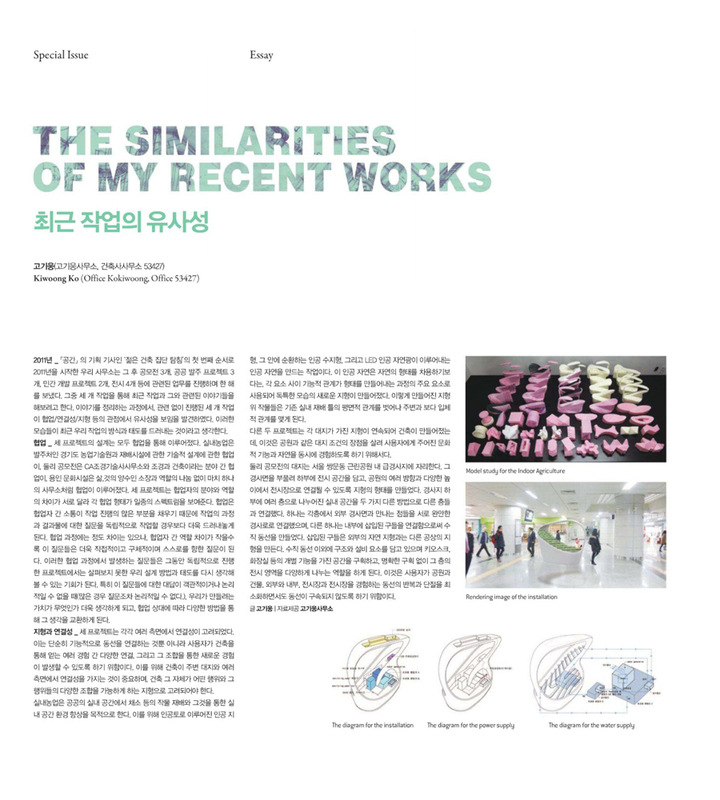 Principal Kiwoong Ko presented recent works in Technical Univ. 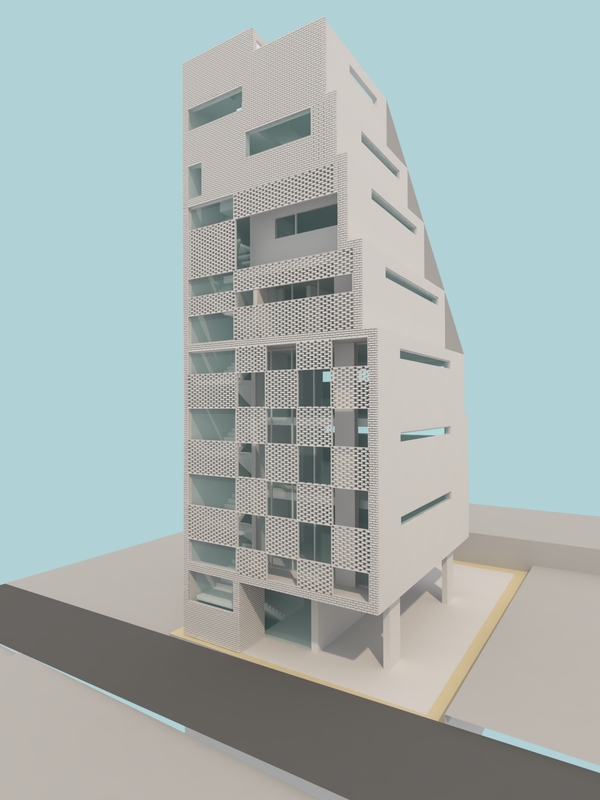 of Crete in Greece. 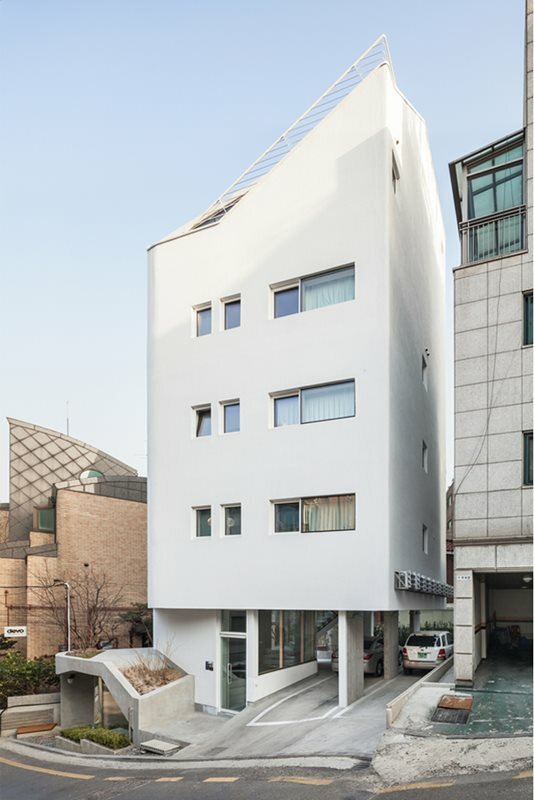 office kokiwoong moved to 2F 534 - 27 Sinsa-Dong, Gangnam-gu, Seoul, Korea (135-120). 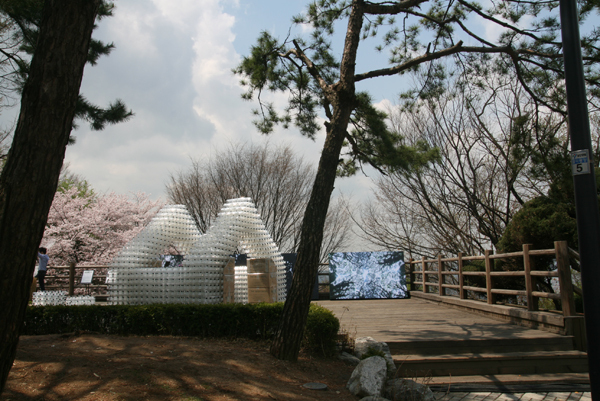 Principal Kiwoong Ko presented recent projects at 'N'Gene Festival' hosted by Seoul Architecture. 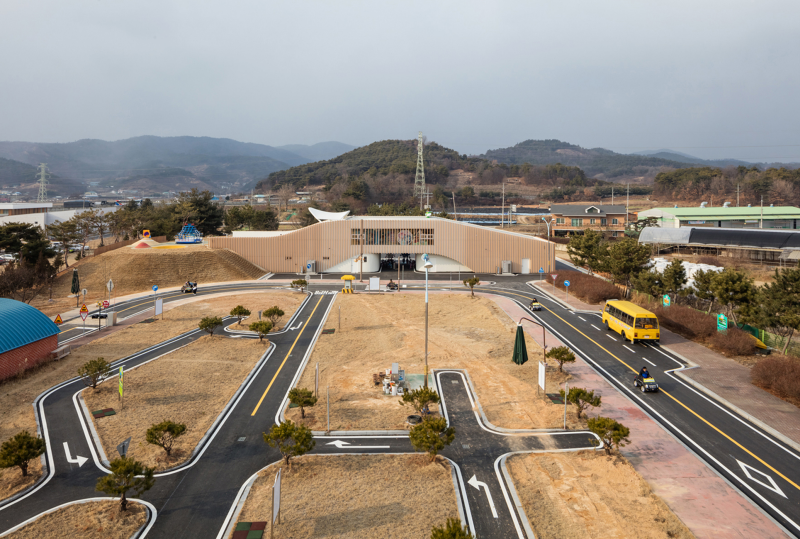 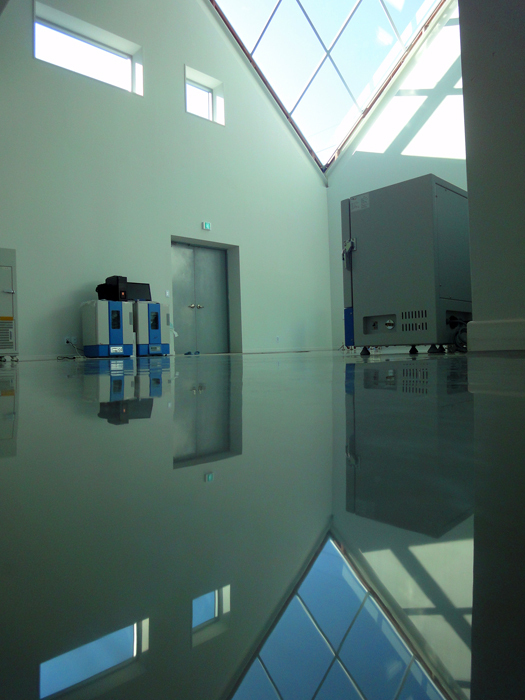 R&Sie appointed office kokiwoong as local firm for Heyri Project. 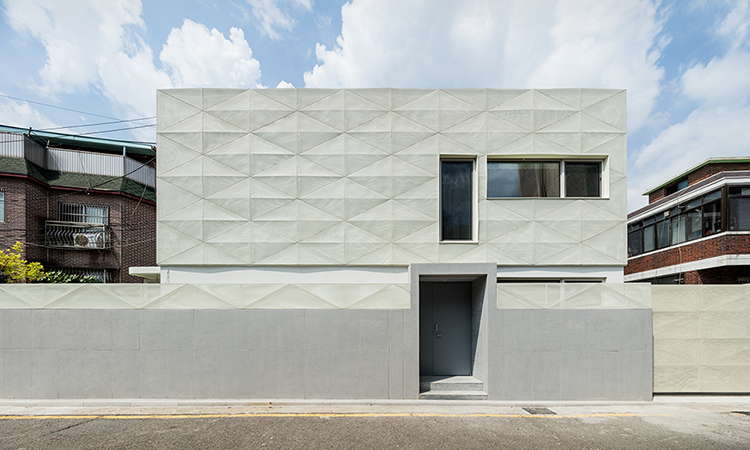 office kokiwoong designed a traditional house in Sagan-dong. 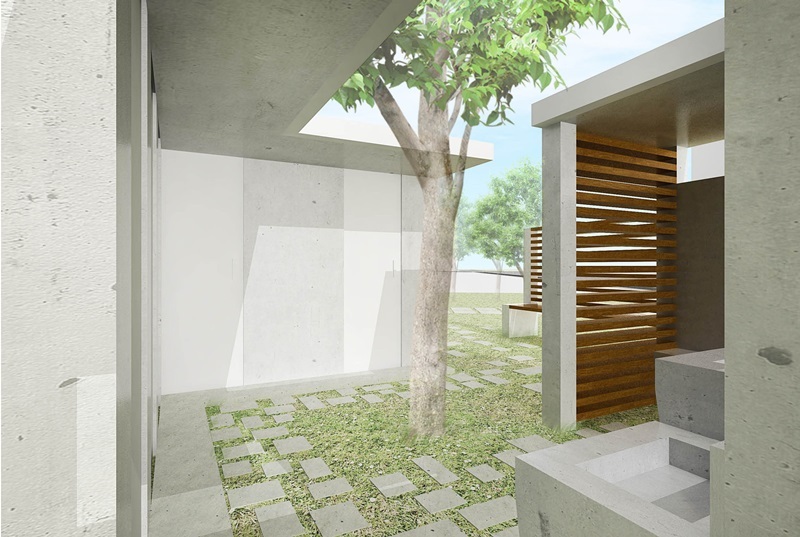 Toilet House - Inauguration Ceremony. 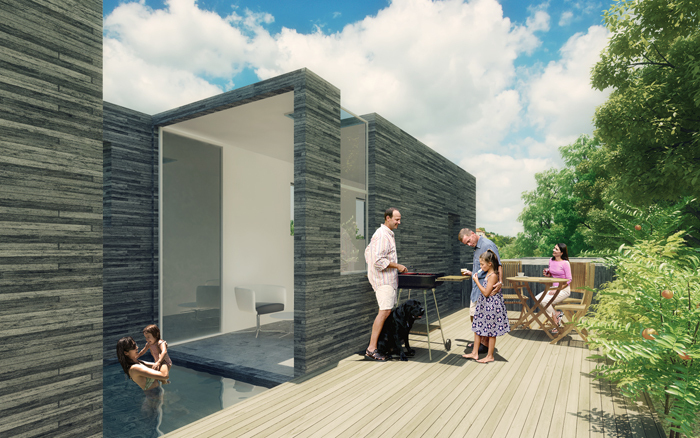 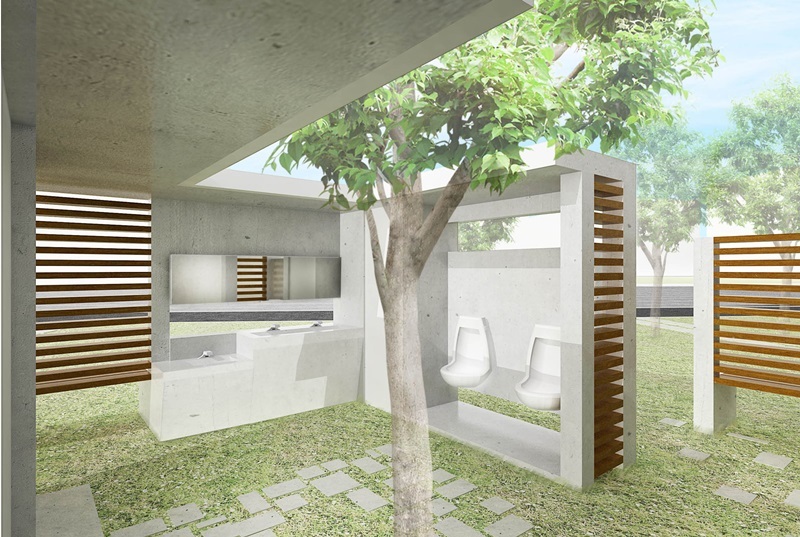 Toilet House - Celebration of the Completion of the Framework. 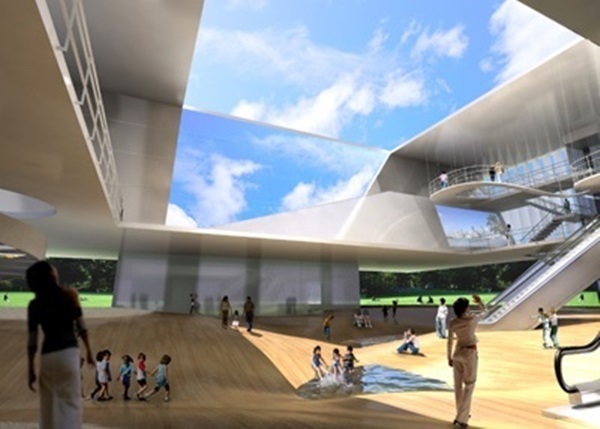 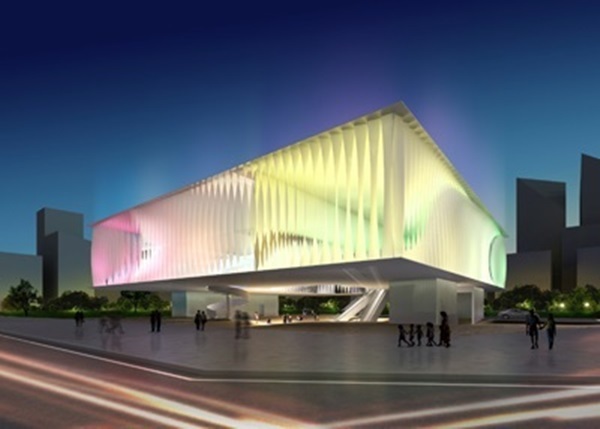 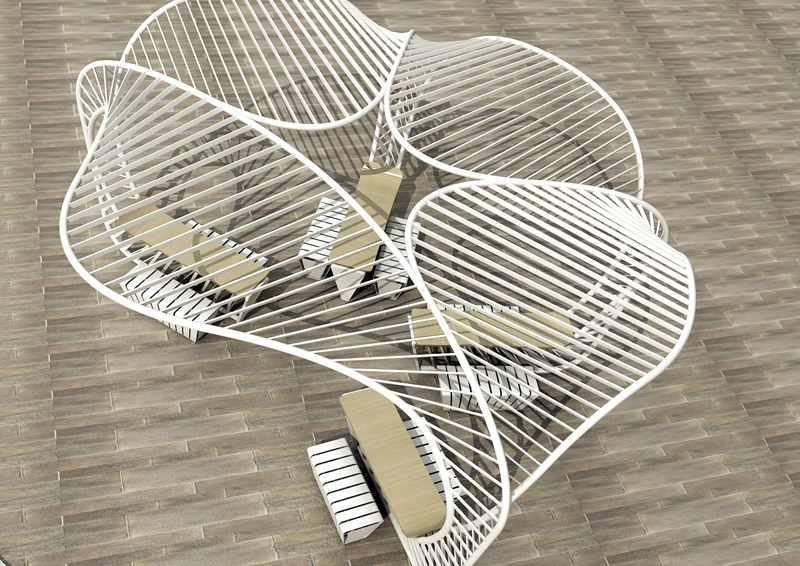 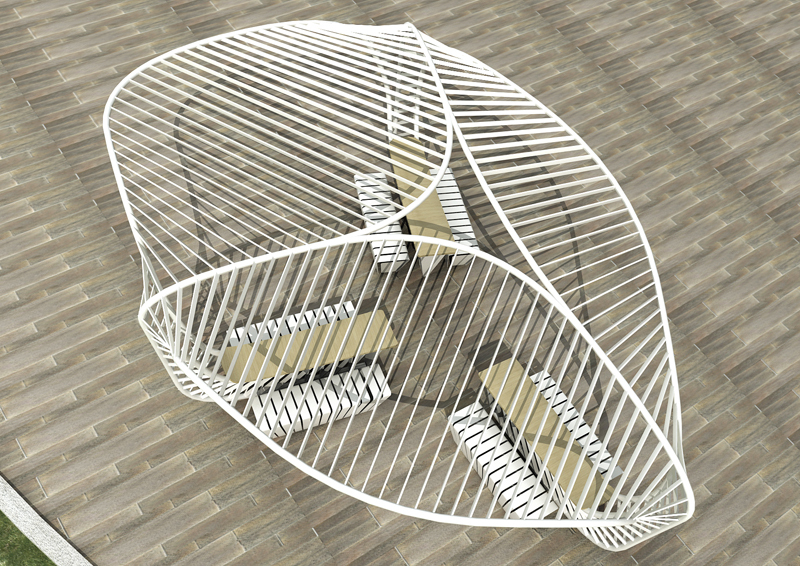 office kokiwoong designed 'Pavillion for Urban Expo'. 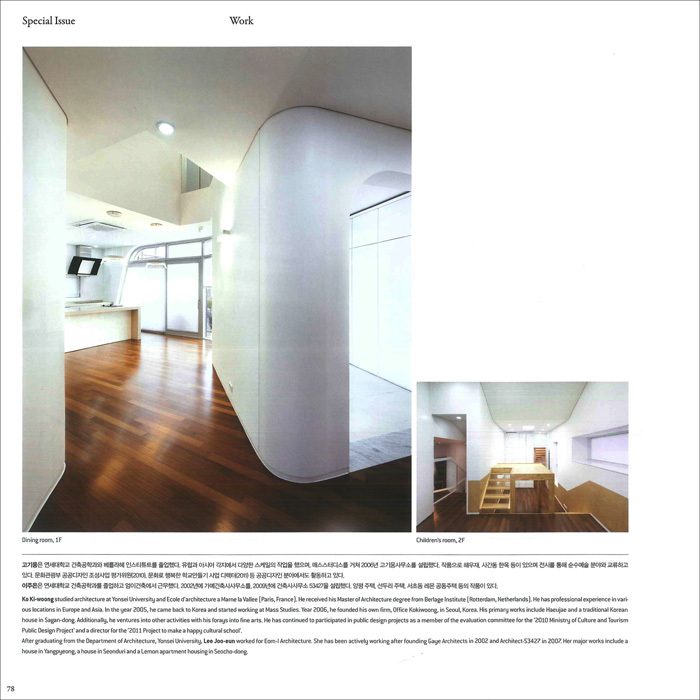 office kokiwoong participated in 'San Isidro Apartment Competiton' with Junkoo Kang. 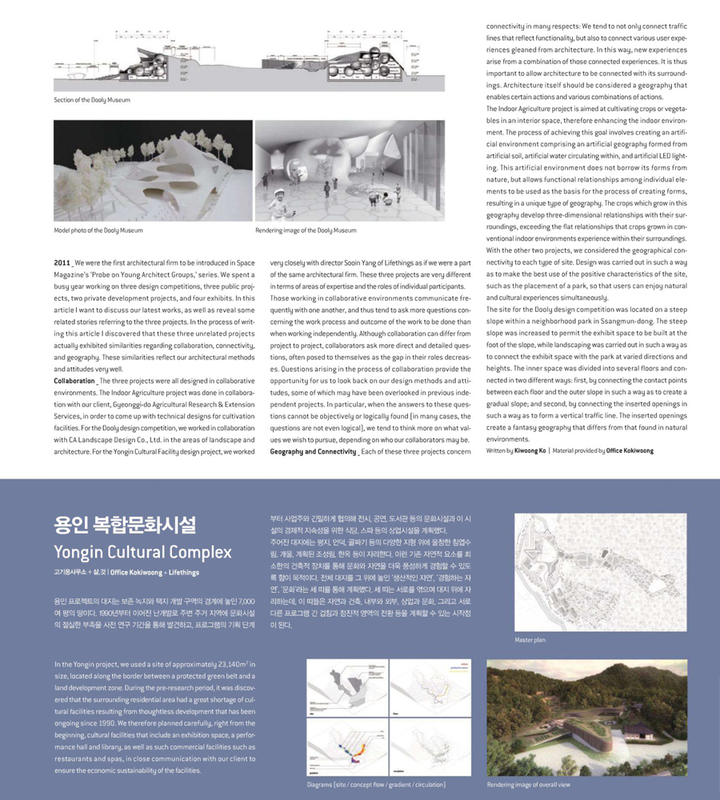 office kokiwoong participated in 'Young Architect Seminar' sponsored by Lonchel. 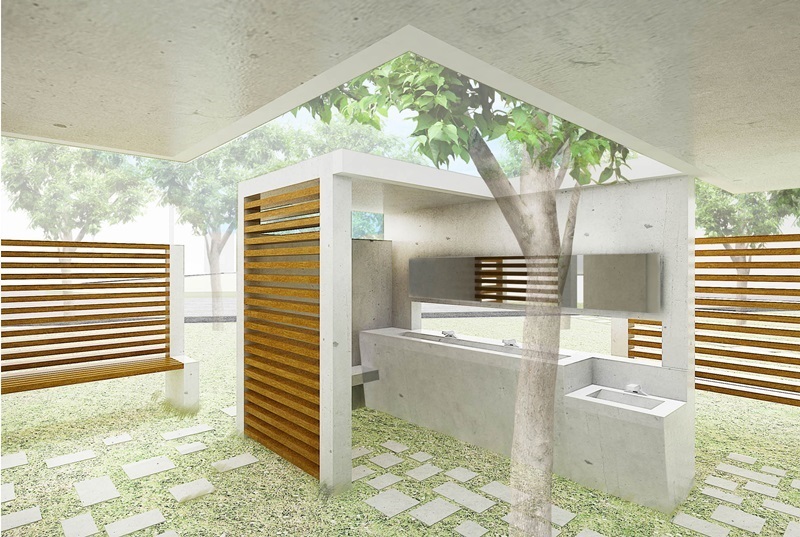 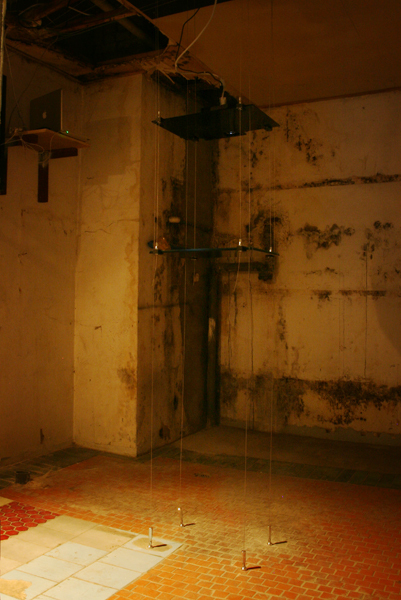 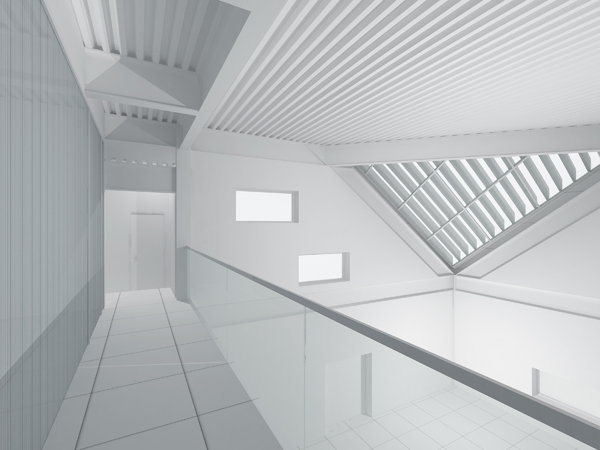 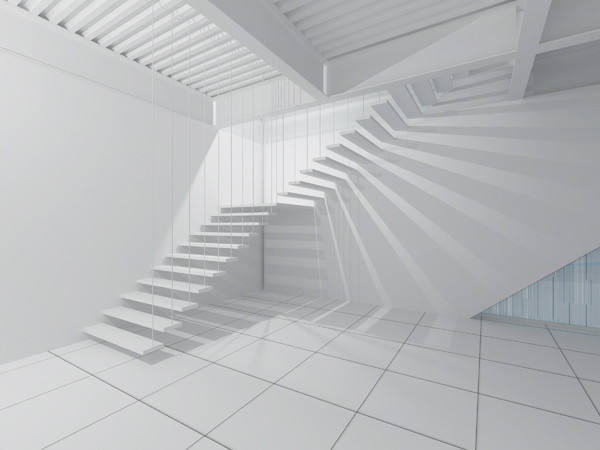 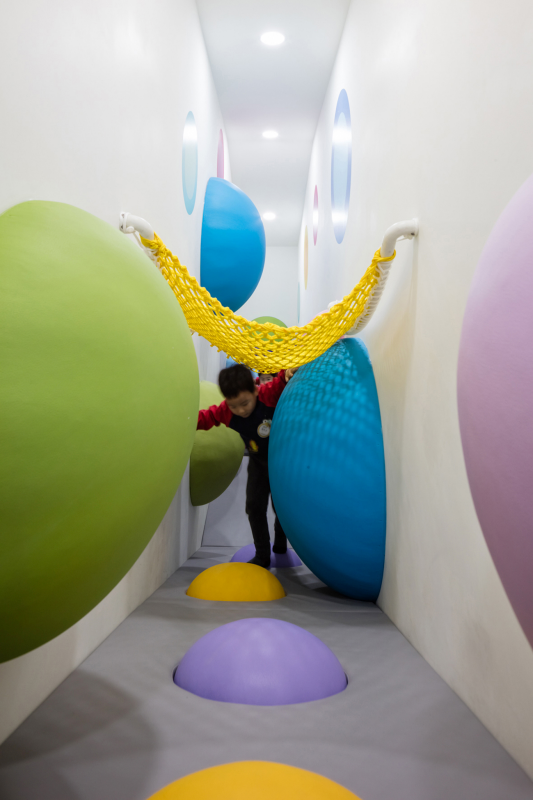 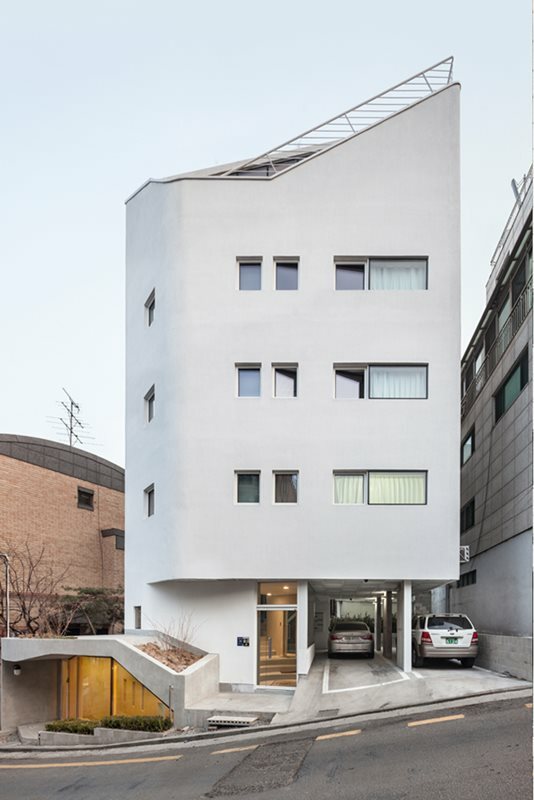 office kokiwoong designed 'Toilet house' in Suwon. 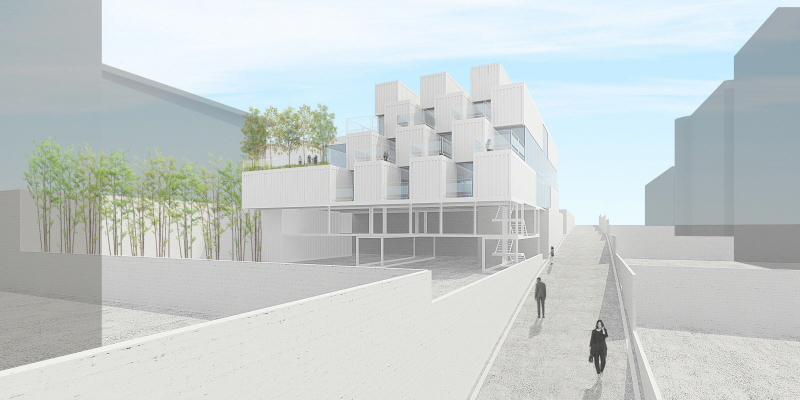 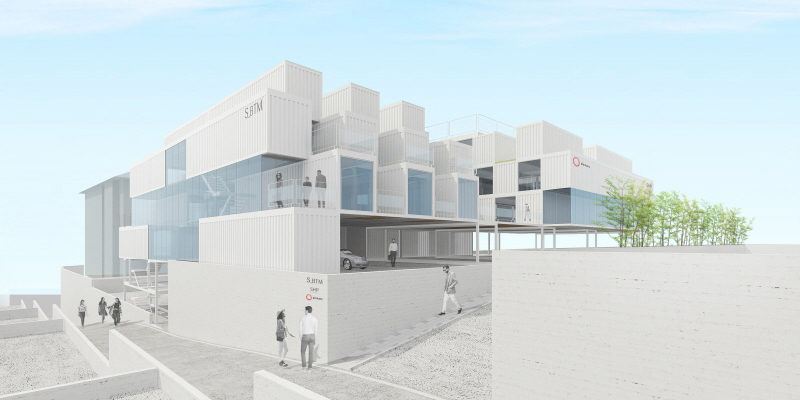 Dae-Gu Mixed Use Block Concept Design - stopped. 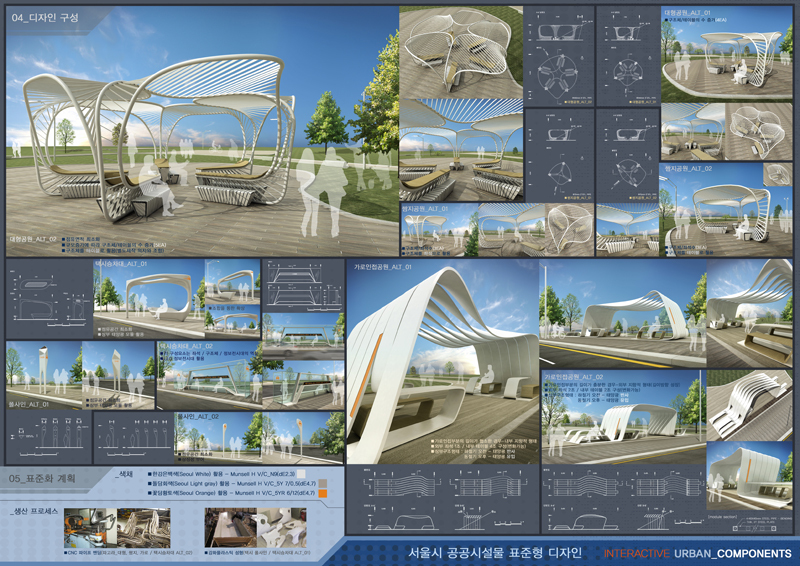 office kokiwoong participated in 'Boryoung Power Plant Pavilion Competition' . 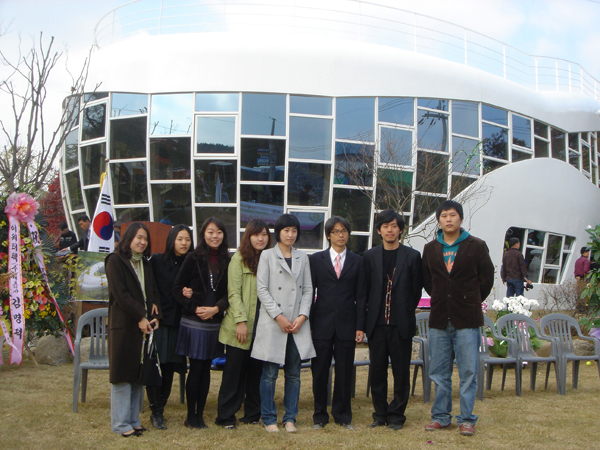 Kim seon dong(25. absent from school-Yonsei University) participated in office. 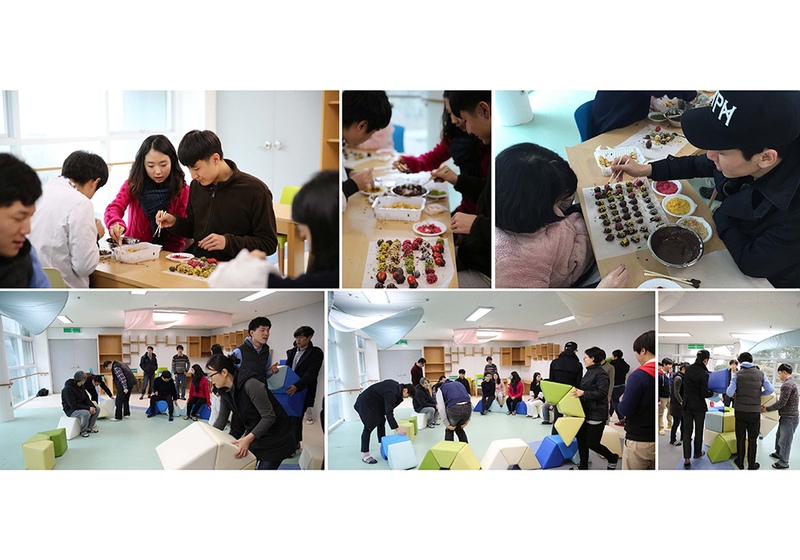 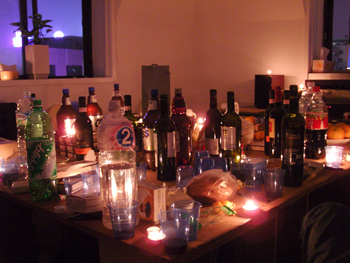 There was a party for the opening of office kokiwoong. 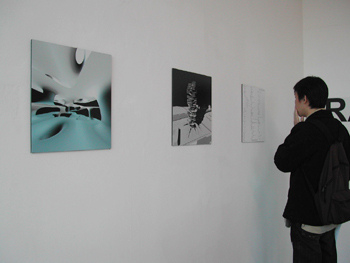 Thank you for coming and nice gifts. 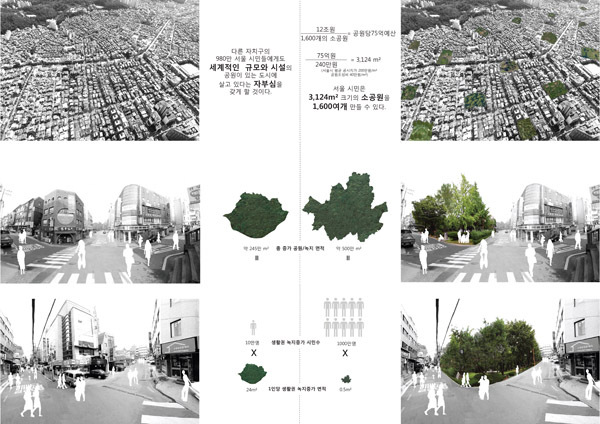 office kokiwoong joined a competition team, composed of professor Kwang soo Kim, Team 153, Yamazaki Korea) for 'International Master Plan Competition for Public Administration Town'.